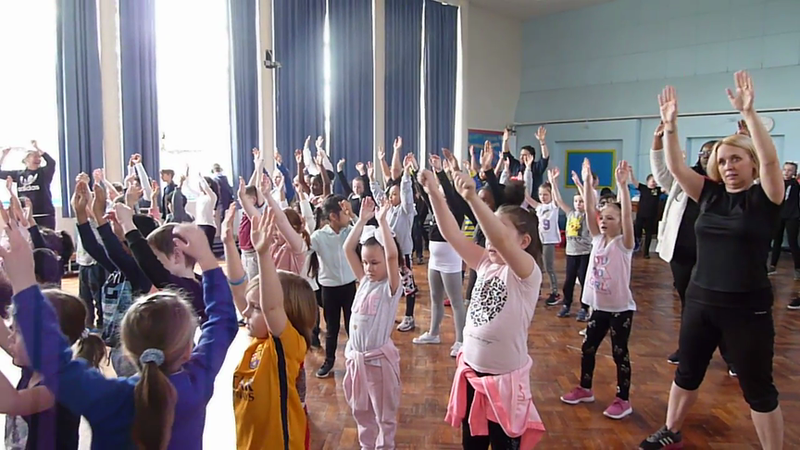 Welcome to our Health for Life Page! 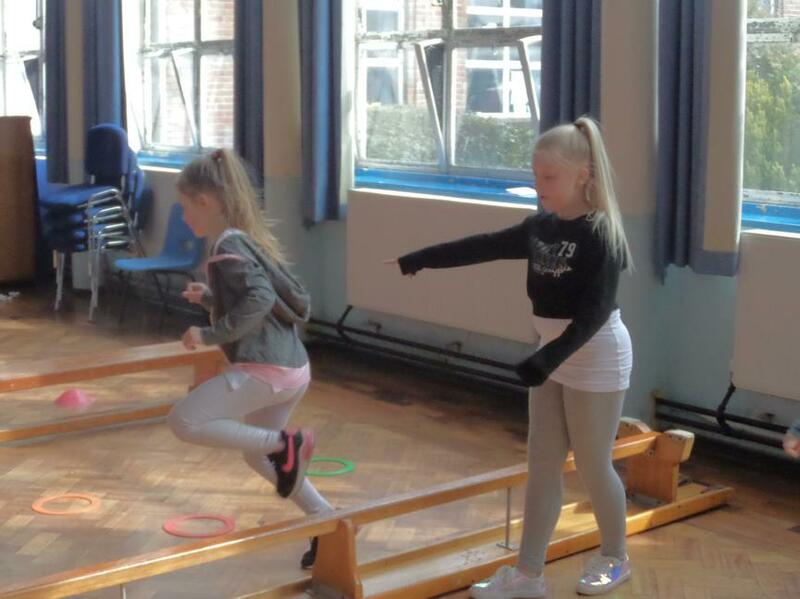 engage in a range of physical activity to help keep them fit and healthy. 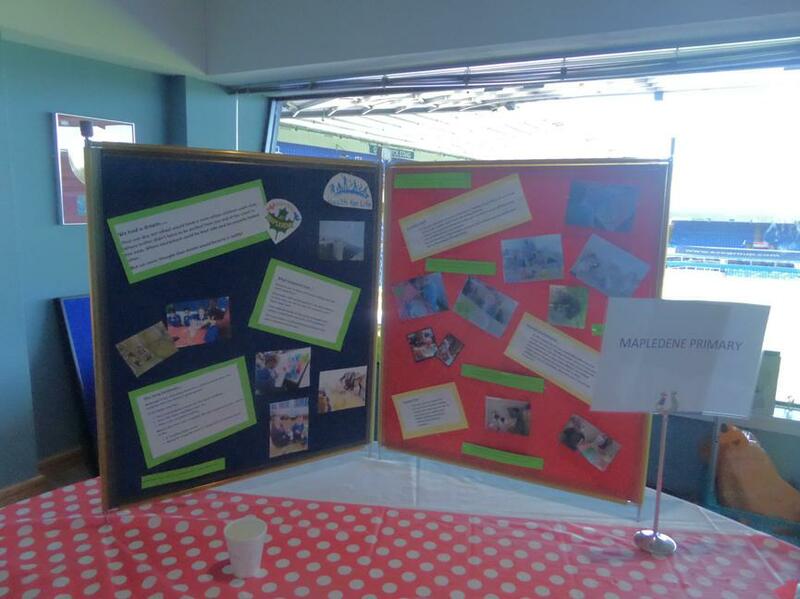 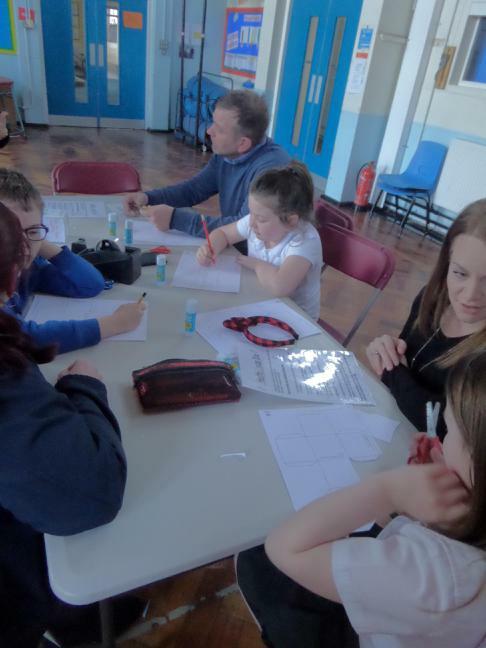 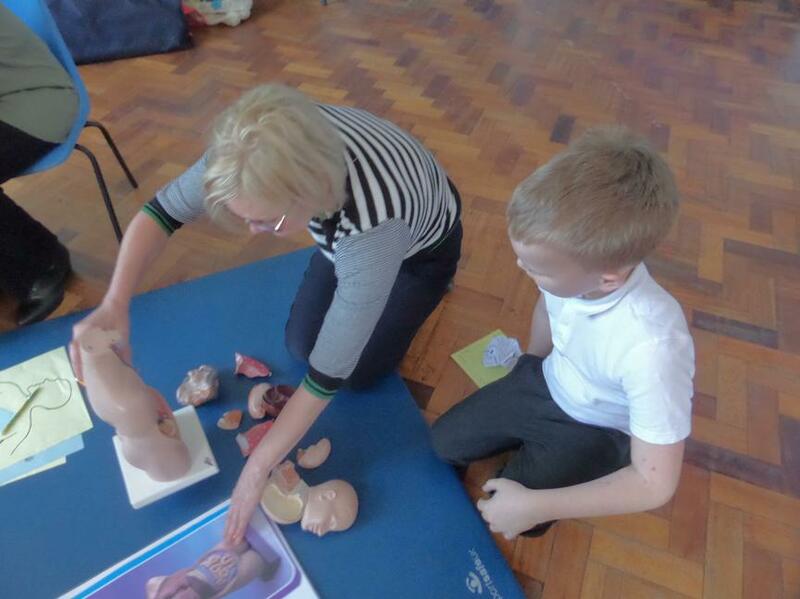 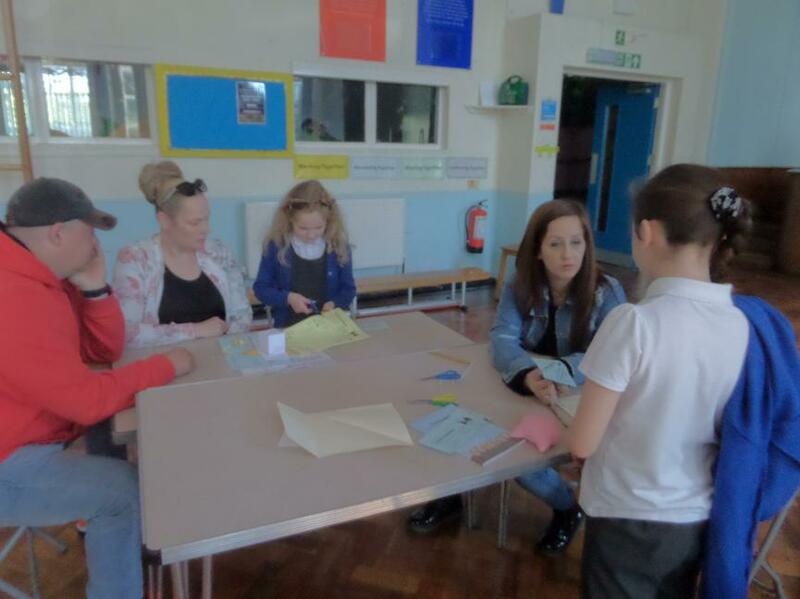 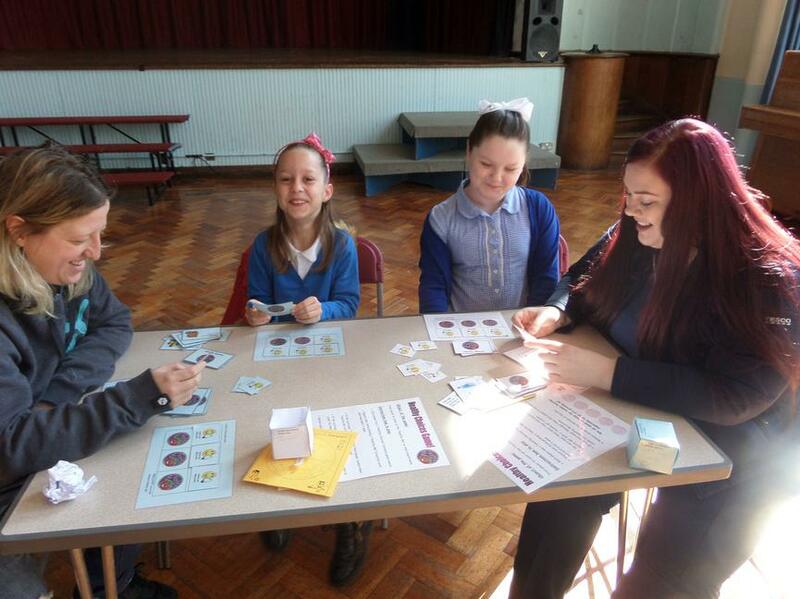 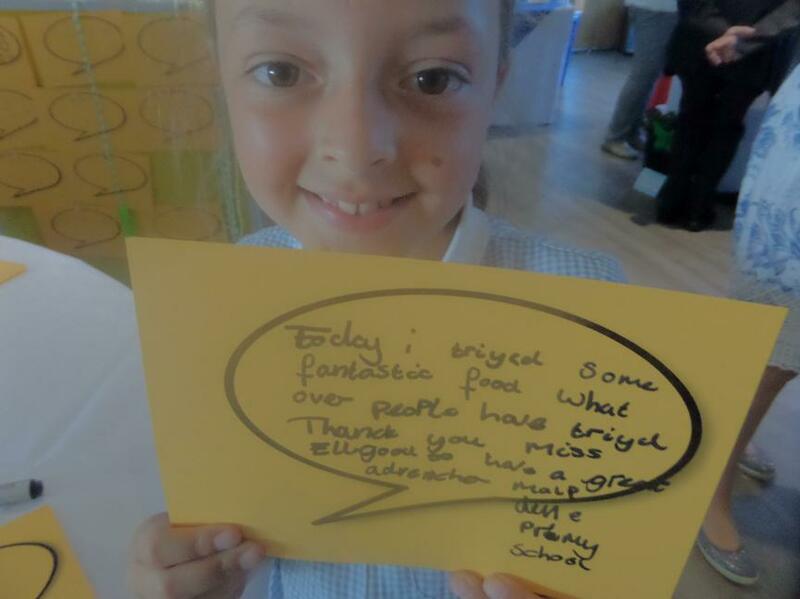 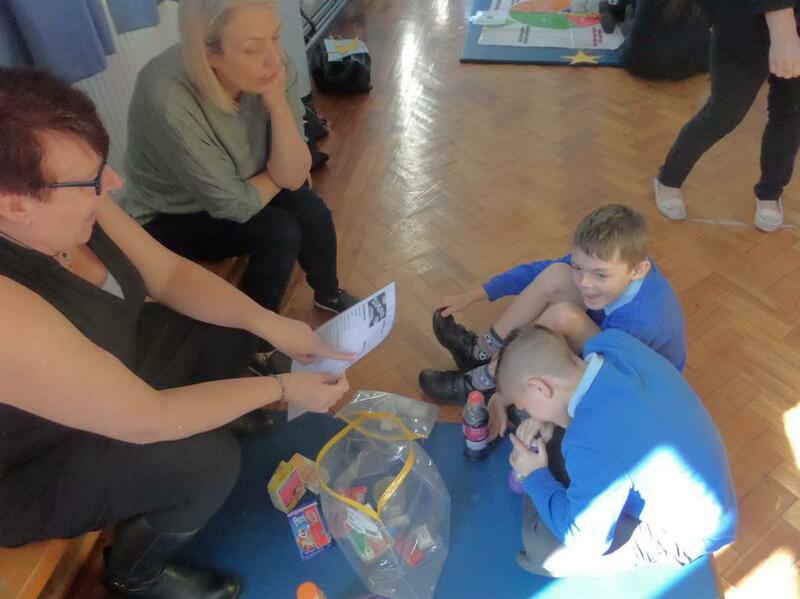 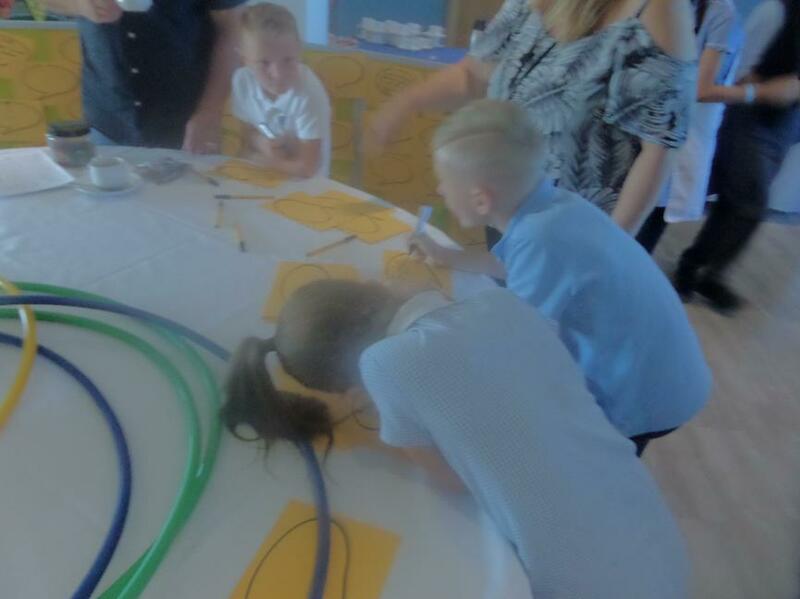 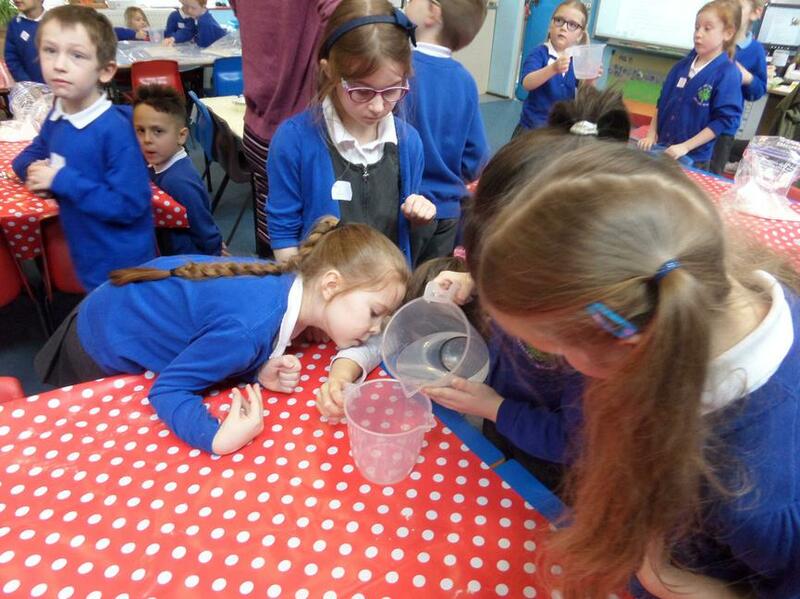 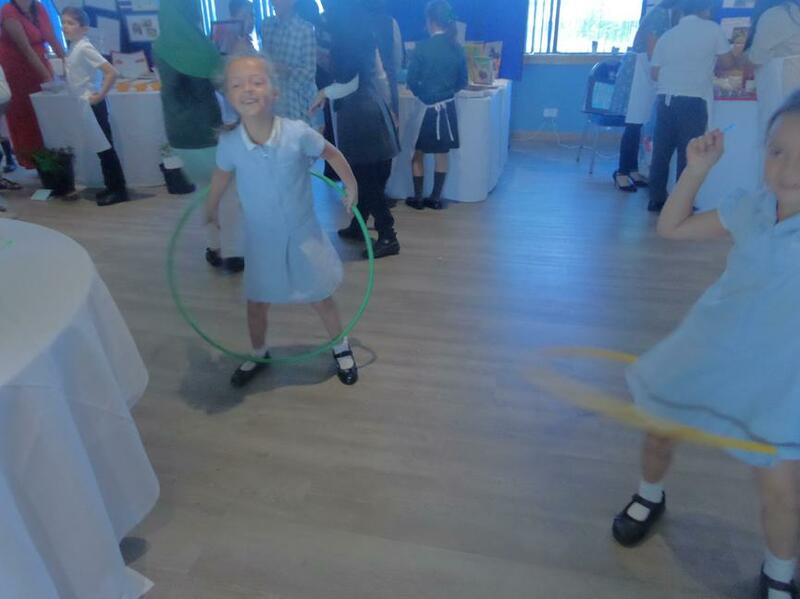 It was lovely to share our progress with other school and to see what they have being doing for Health for Life. 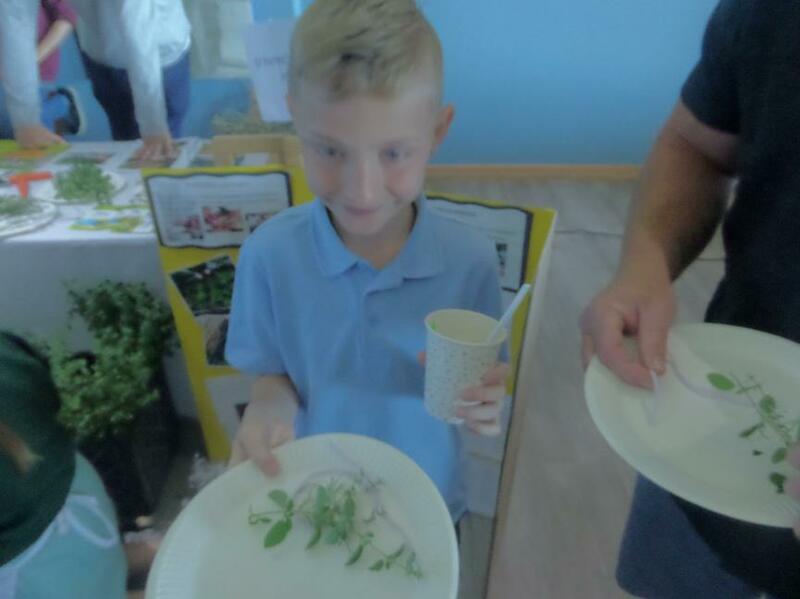 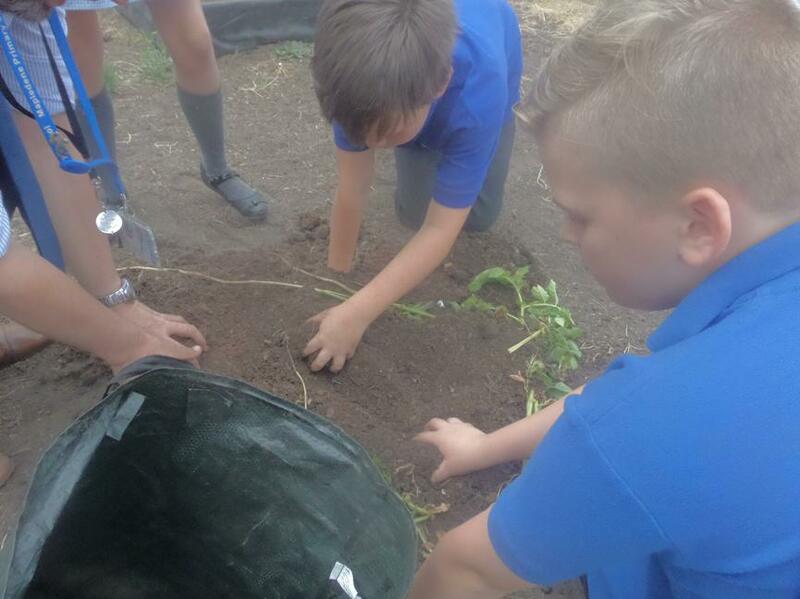 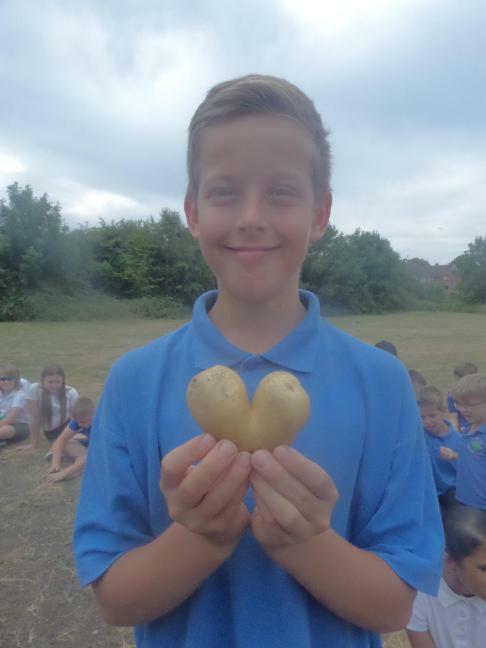 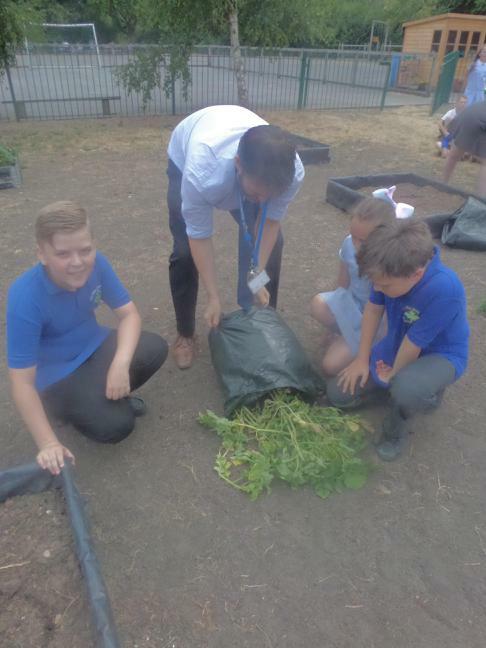 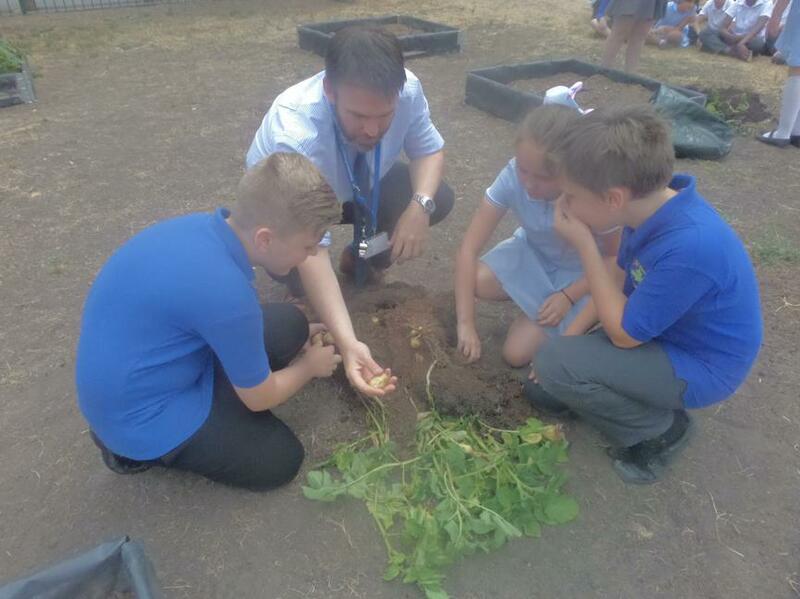 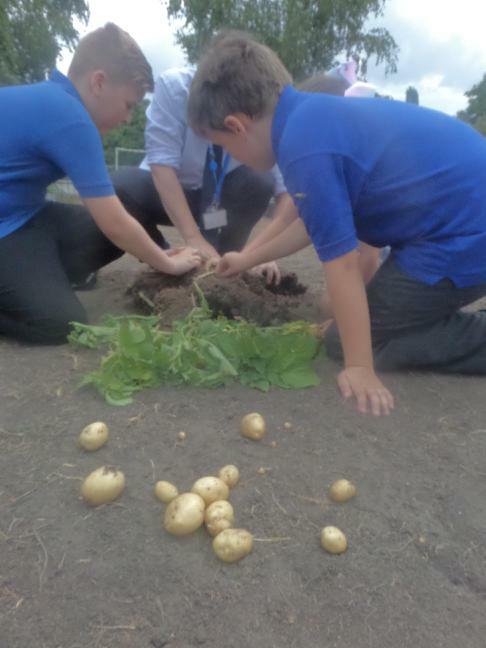 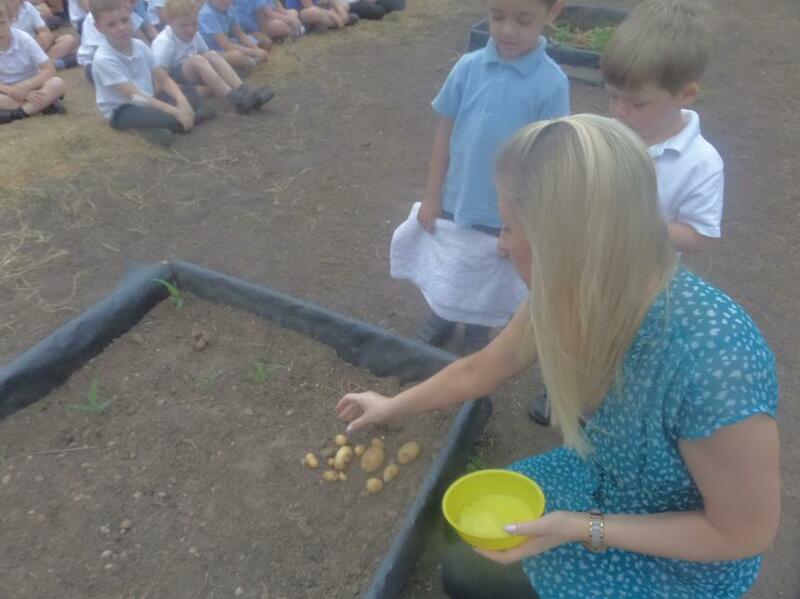 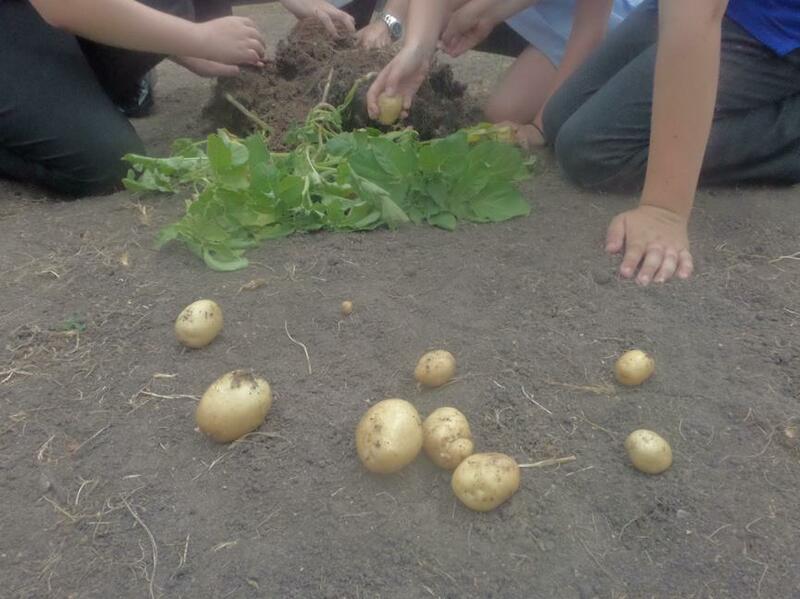 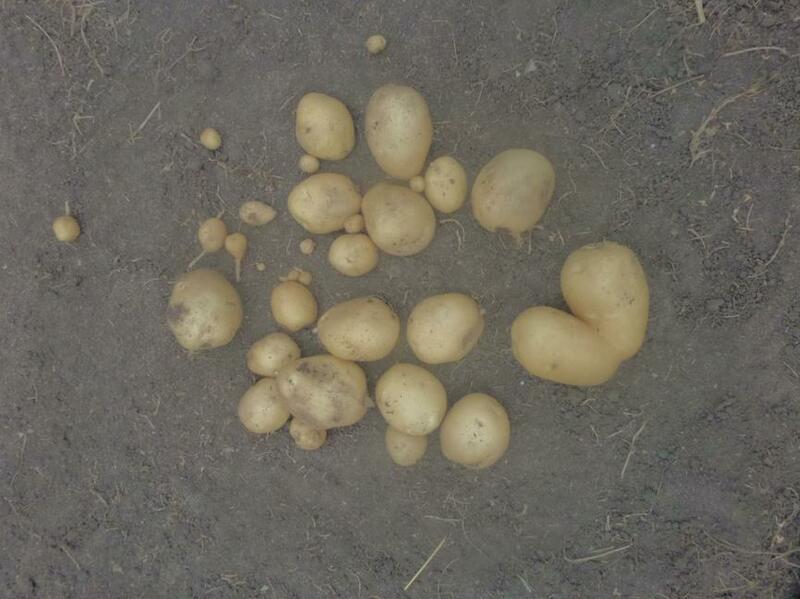 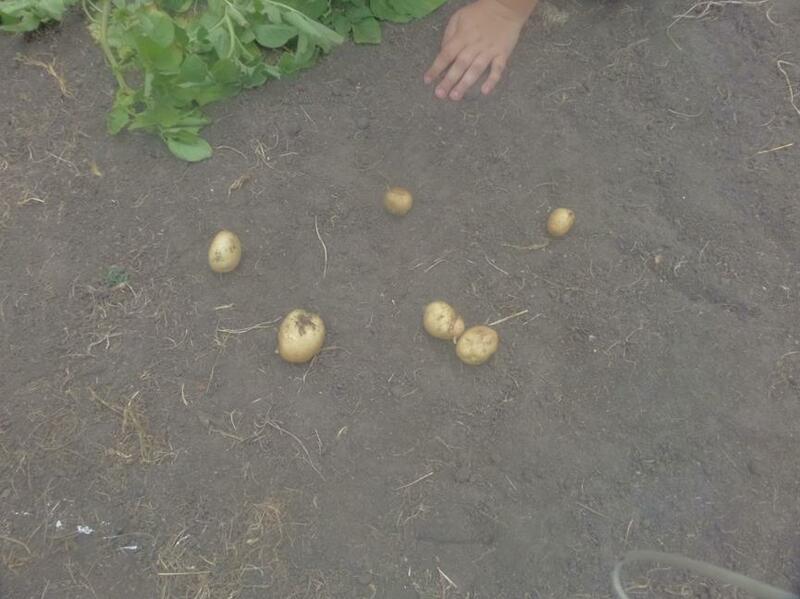 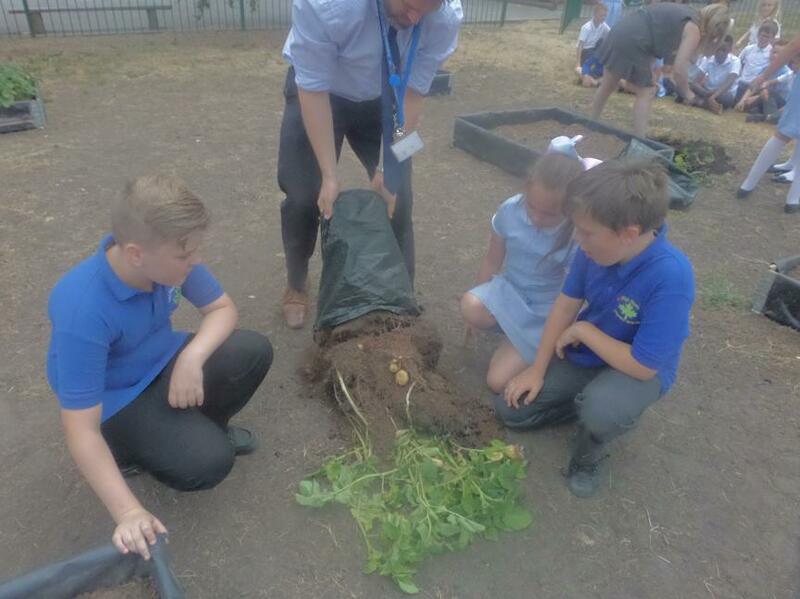 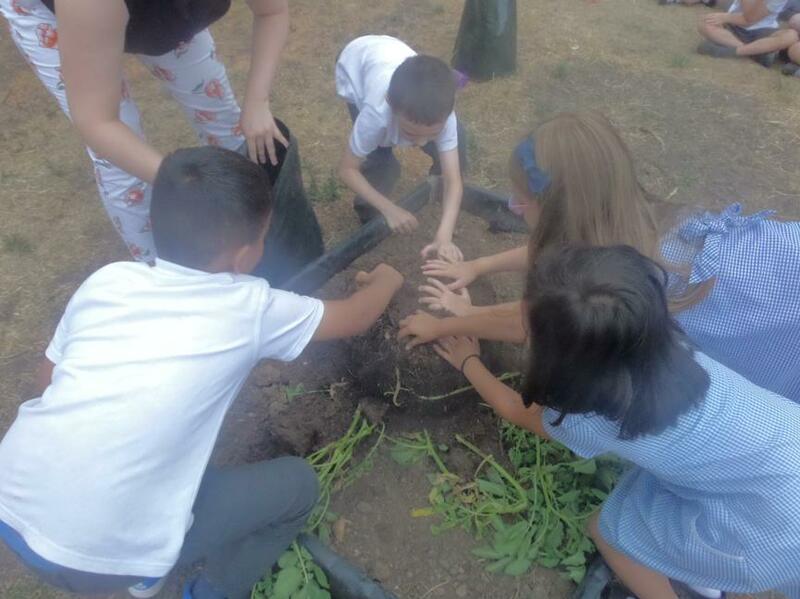 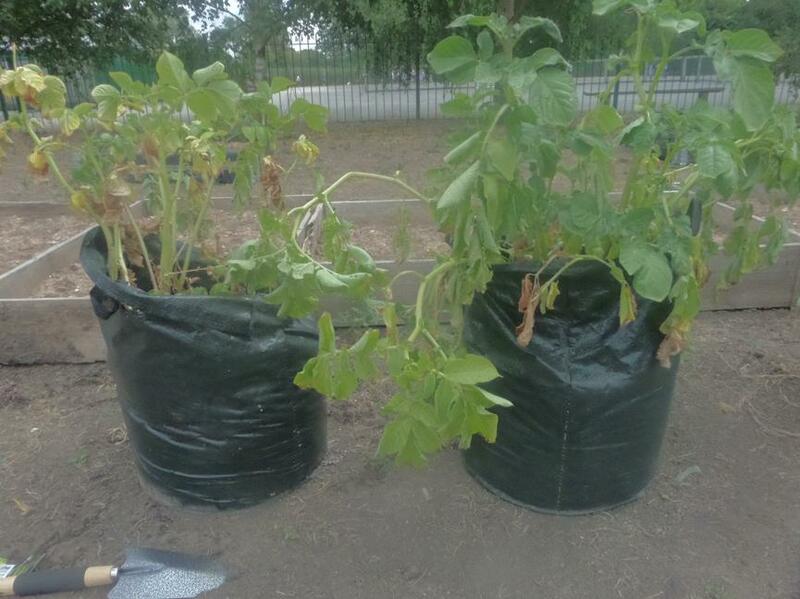 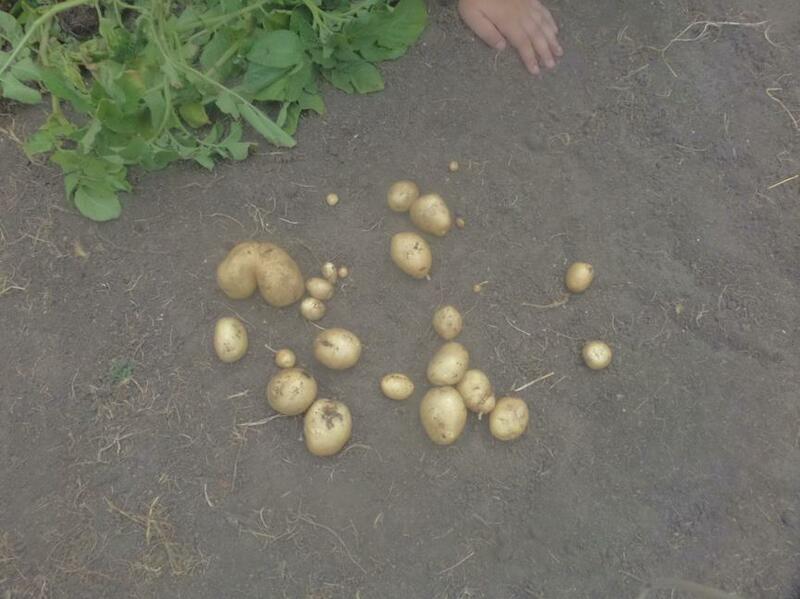 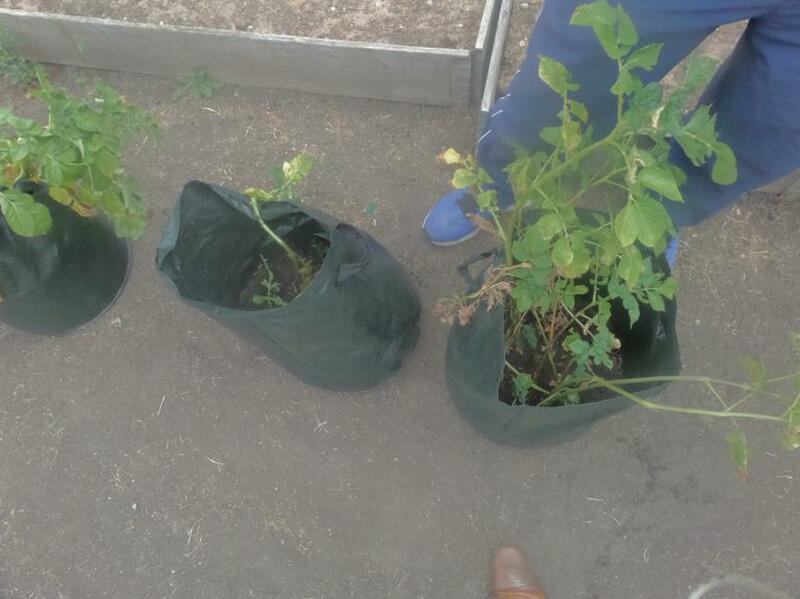 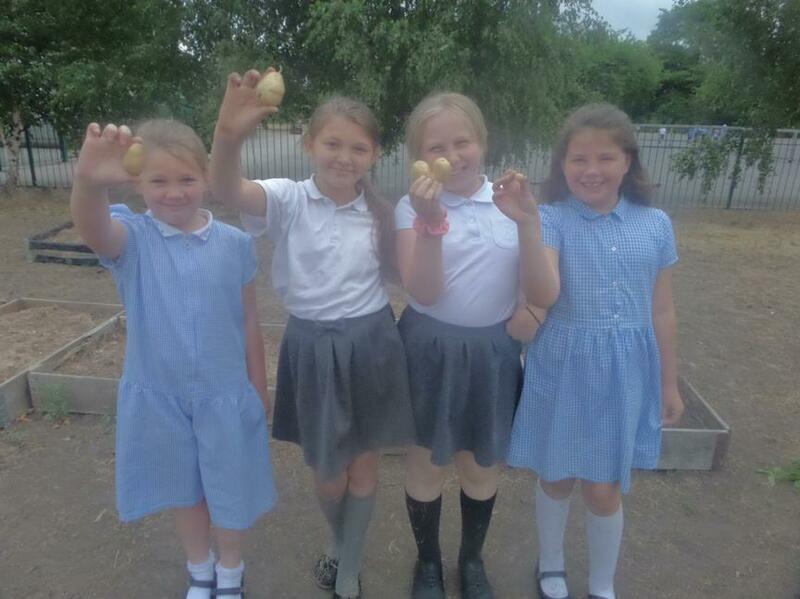 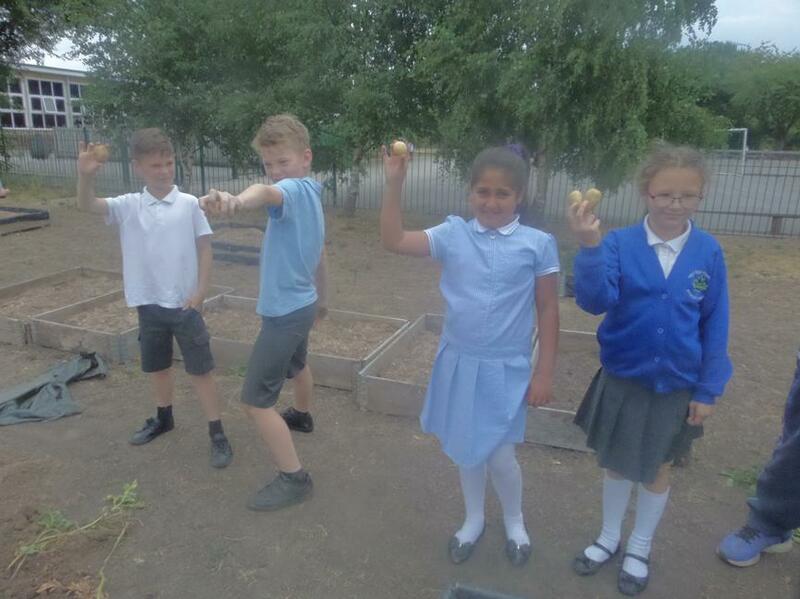 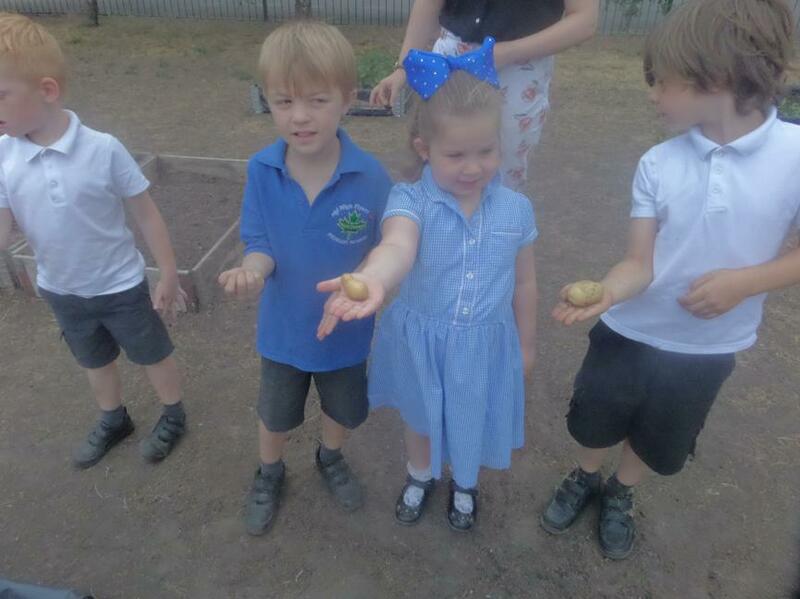 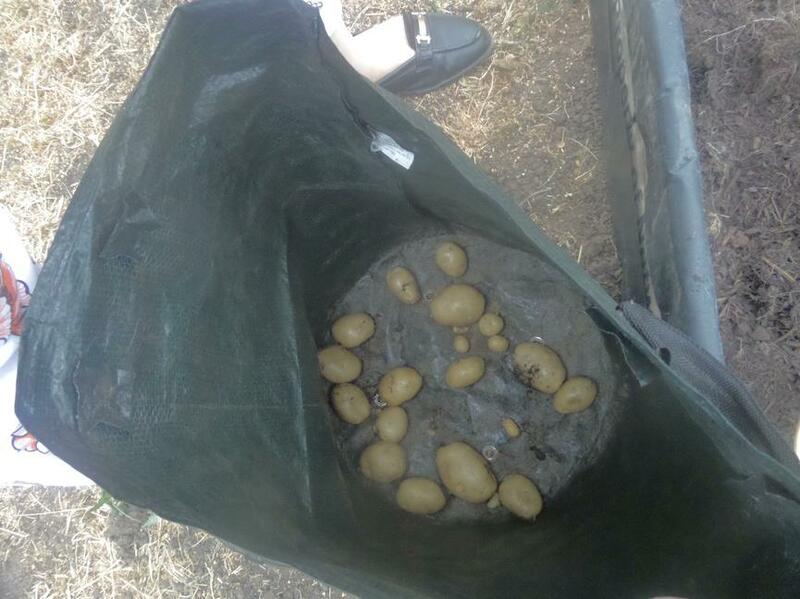 Each year group has started to grow some potatoes in a bag as part of our growing aspect of 'Health for Life', I wonder who will win? 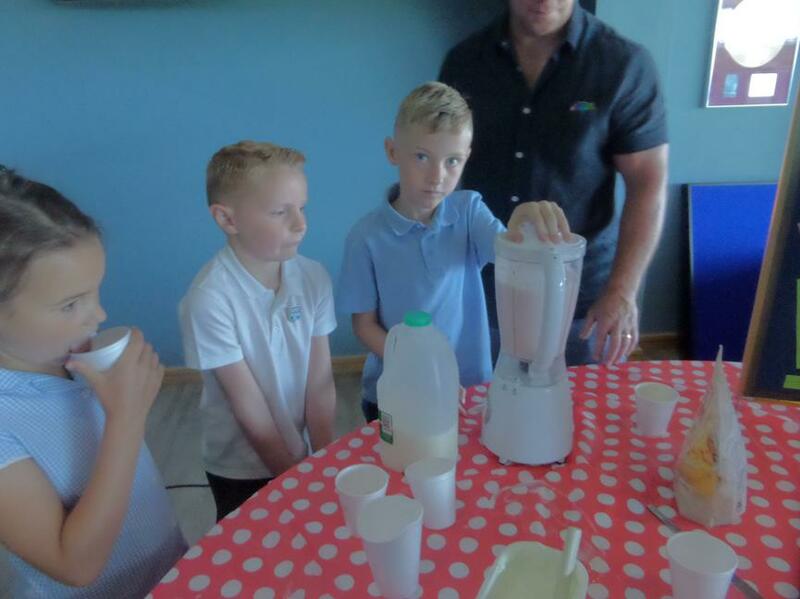 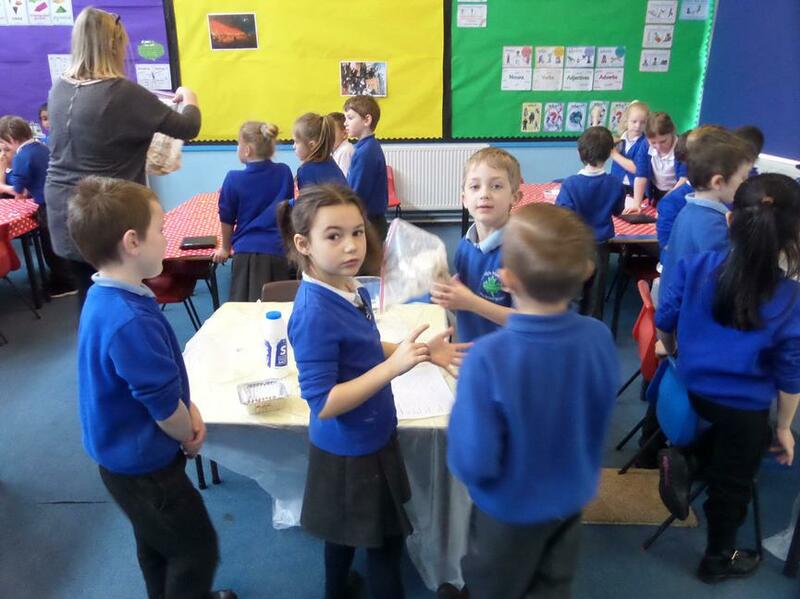 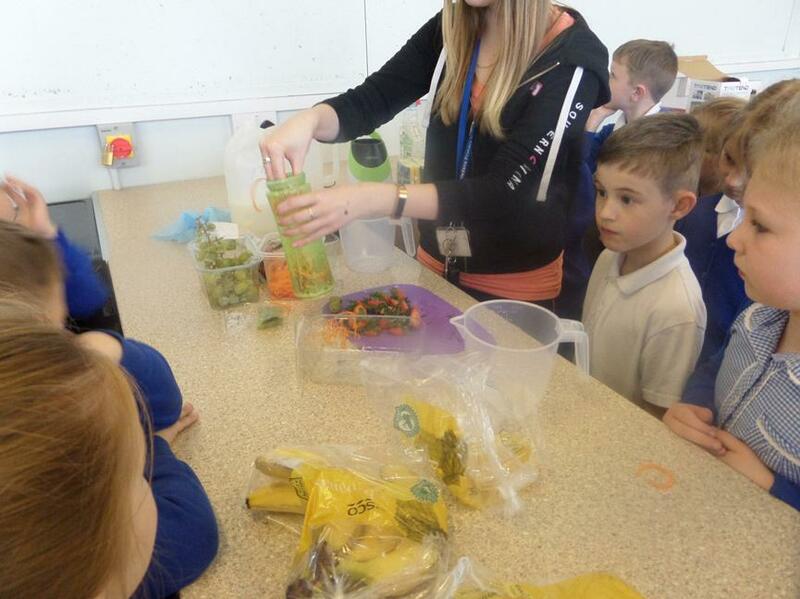 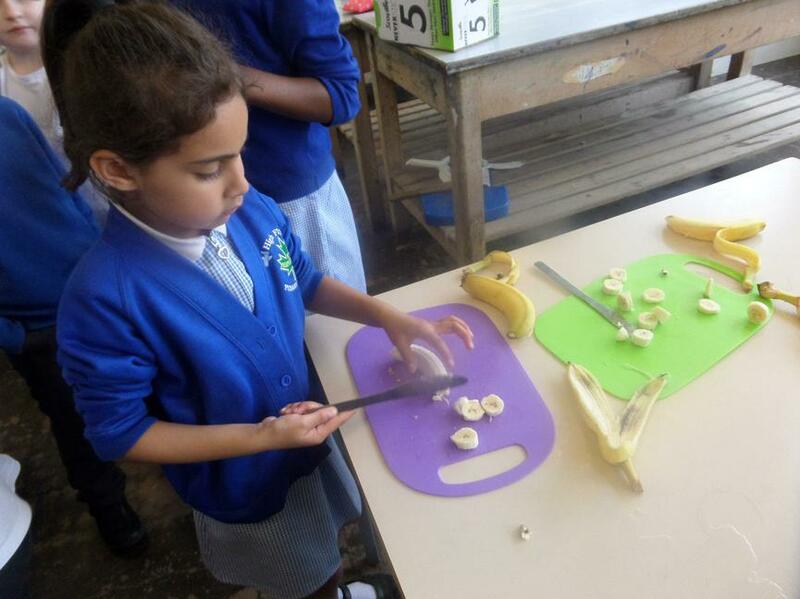 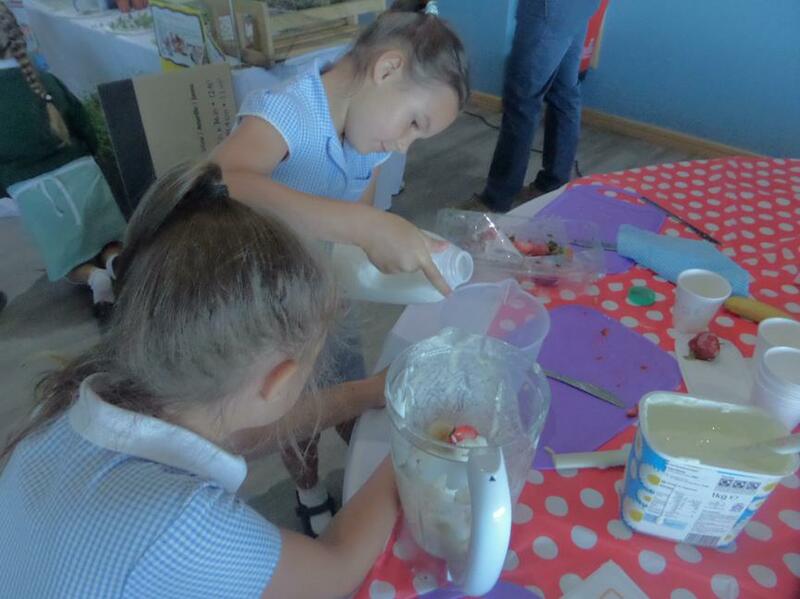 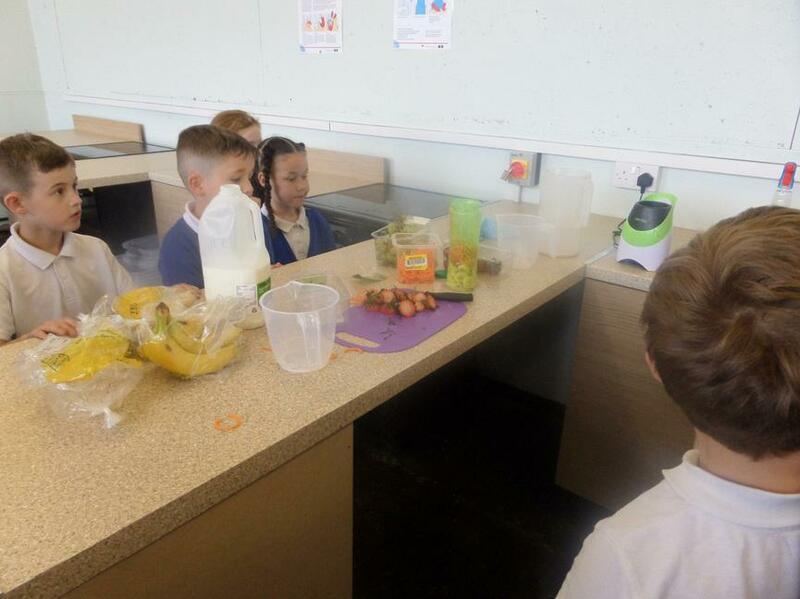 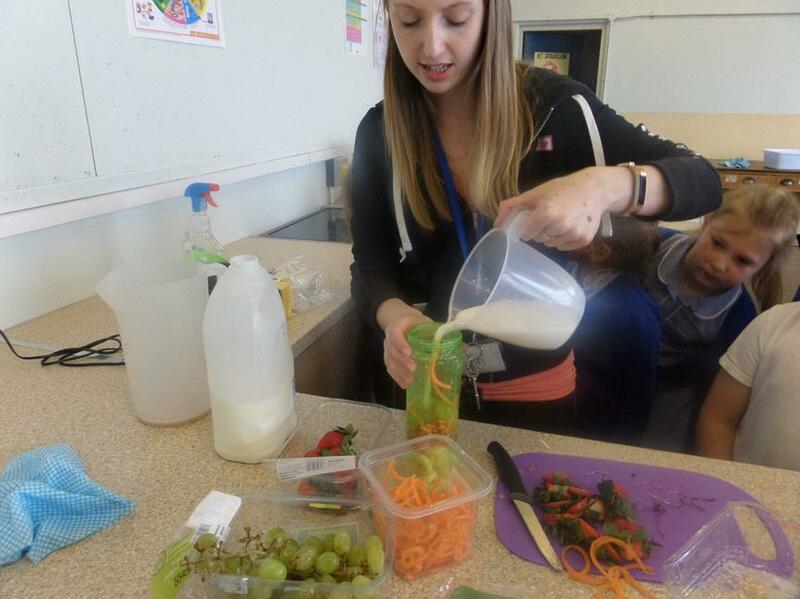 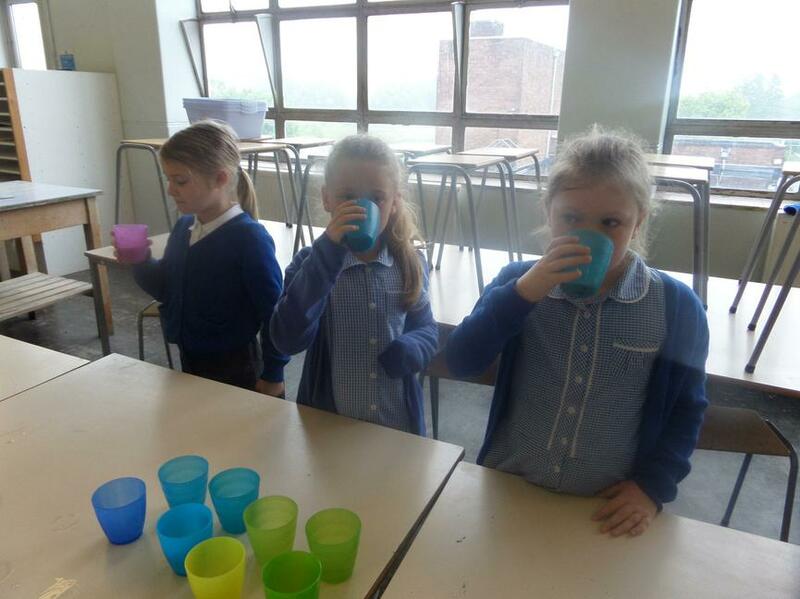 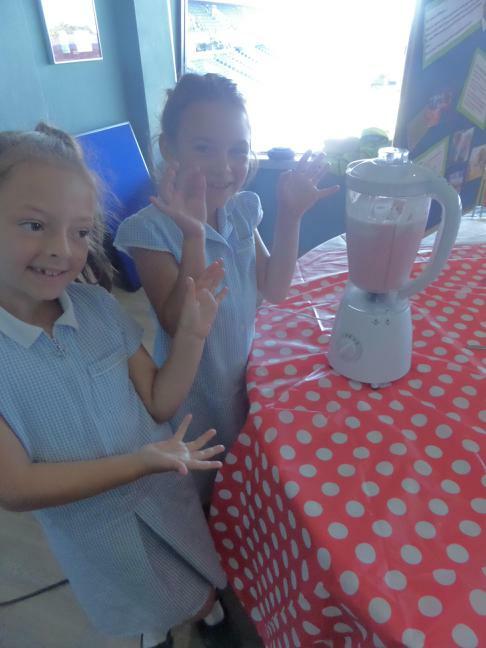 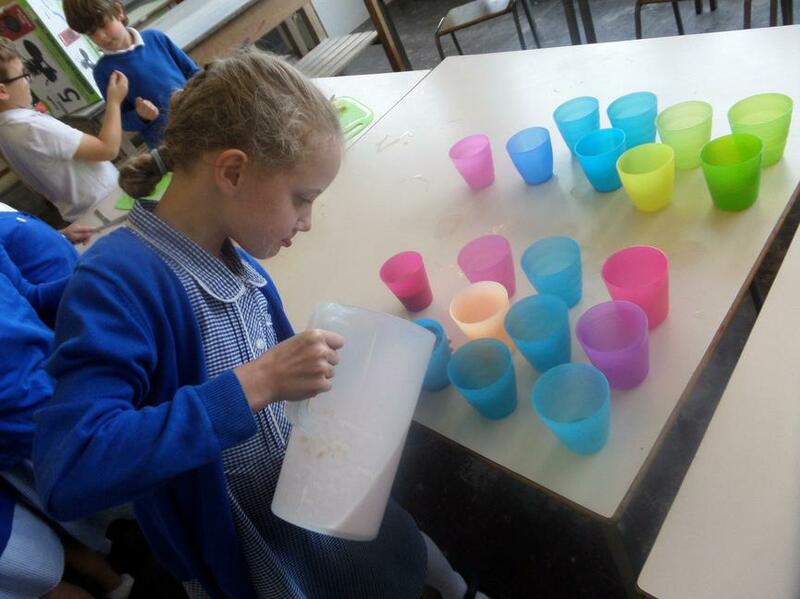 Year 2 enjoyed making healthy smoothies at snack time today! 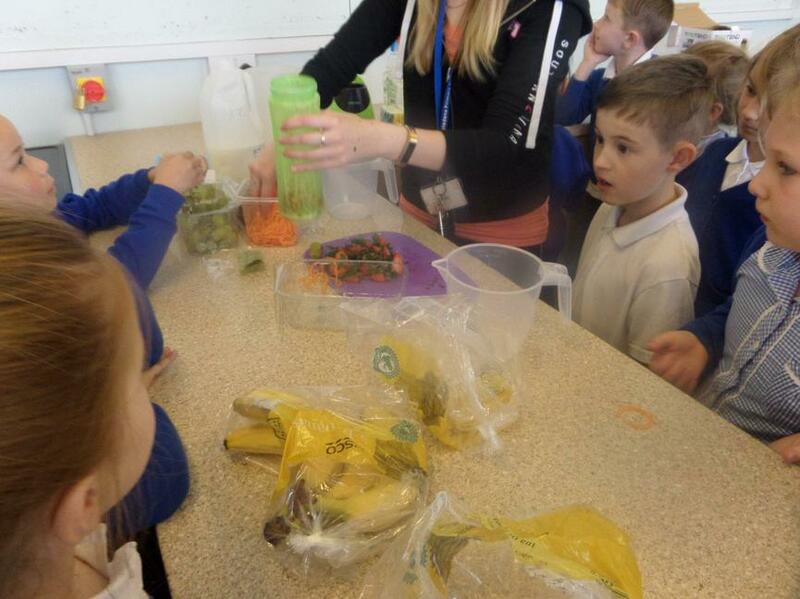 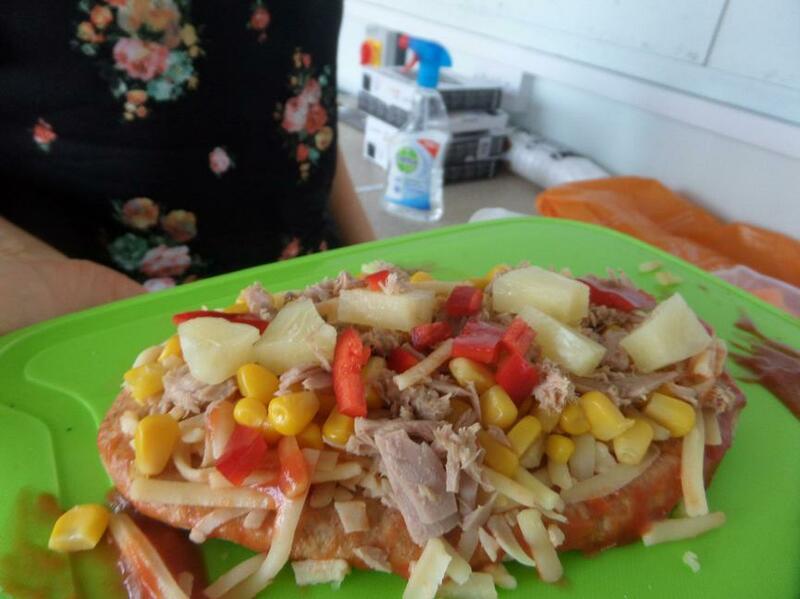 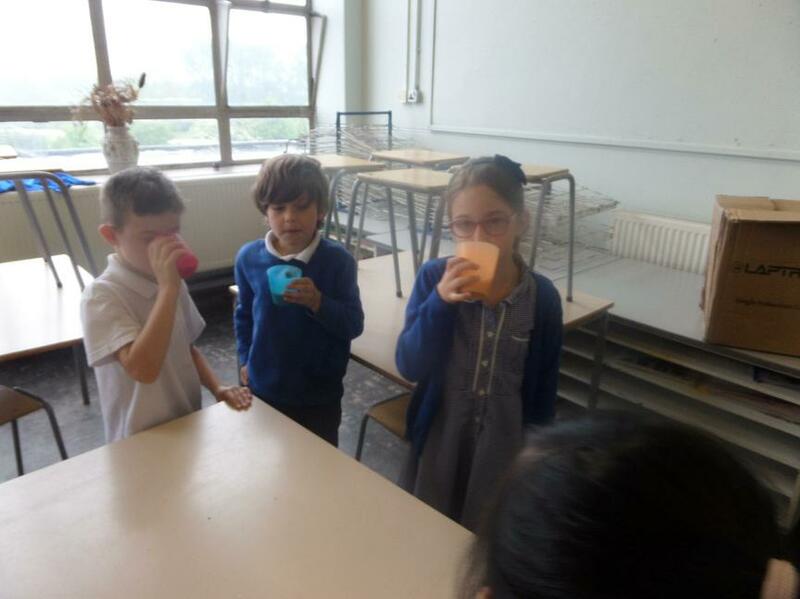 They used strawberries, bananas, grapes, milk and even a bit of carrot! 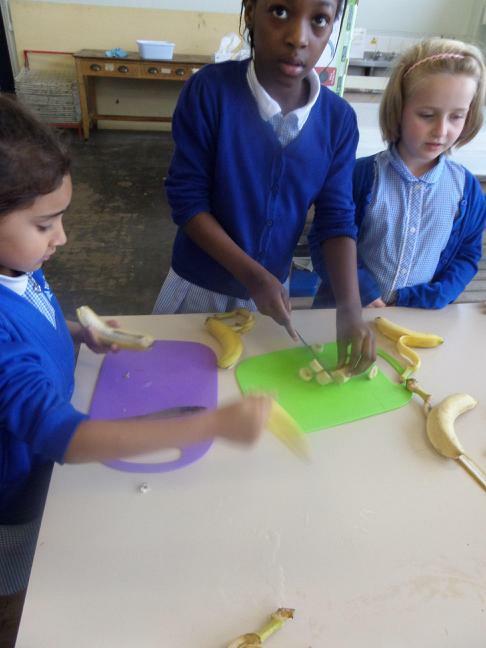 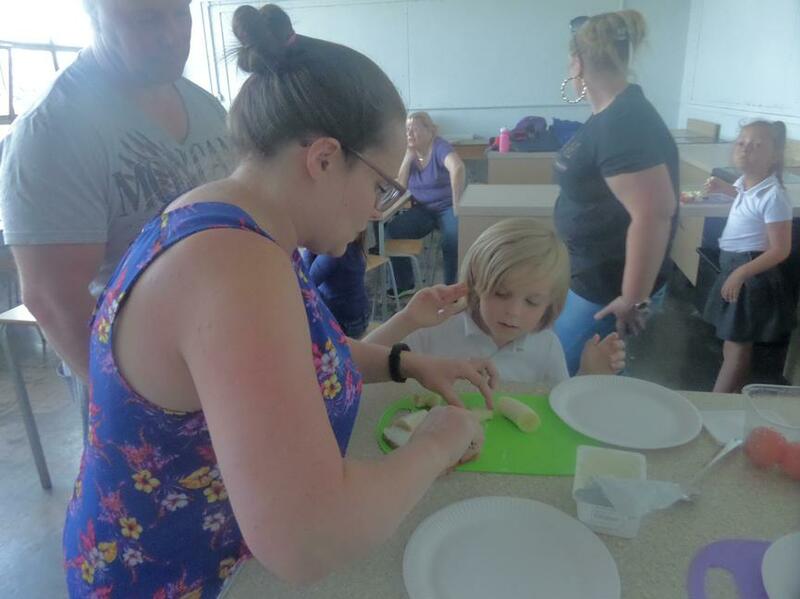 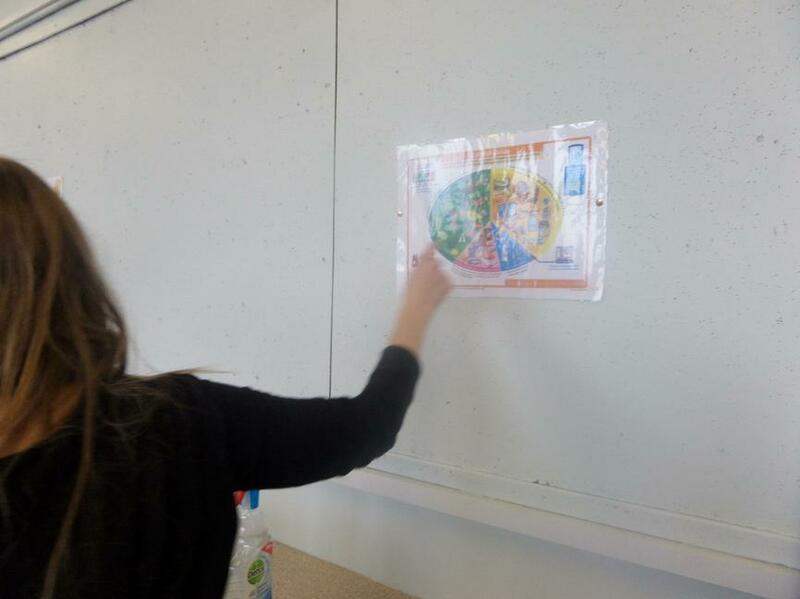 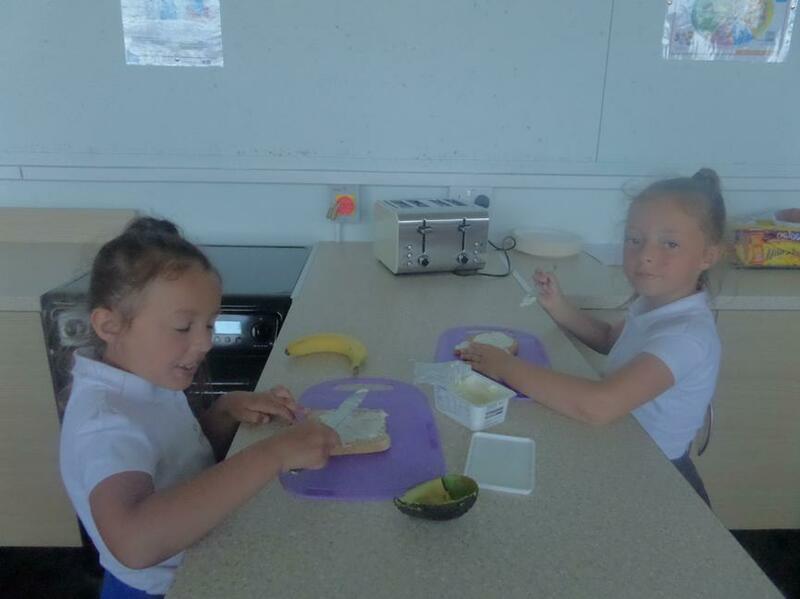 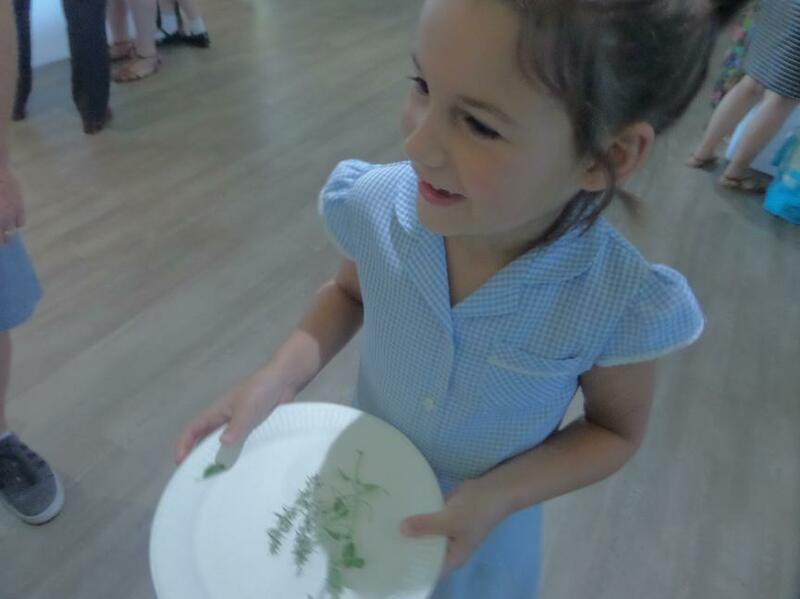 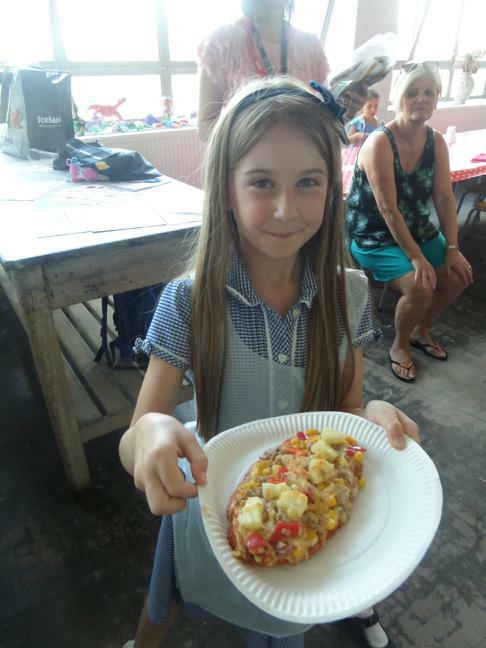 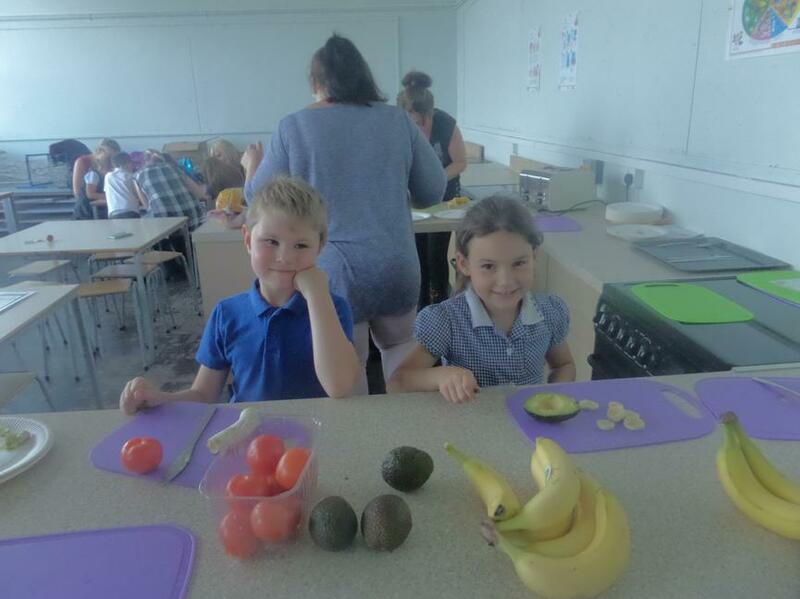 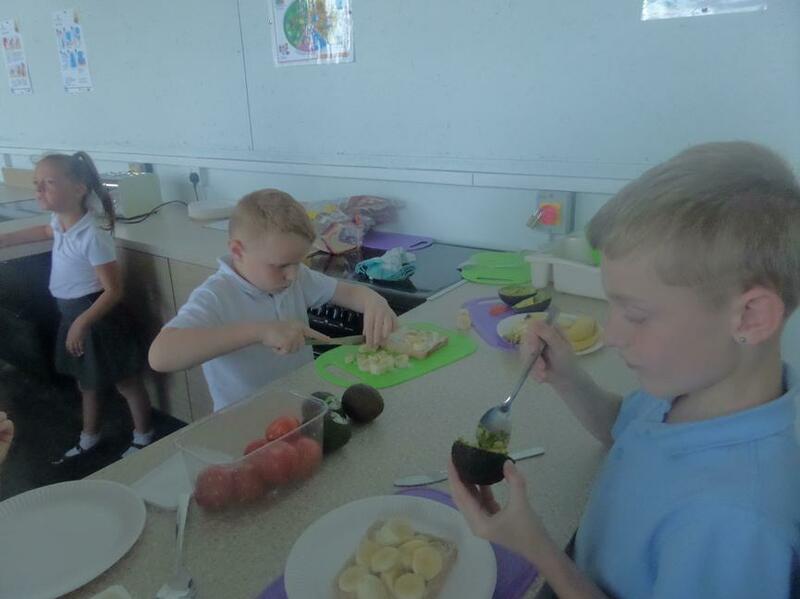 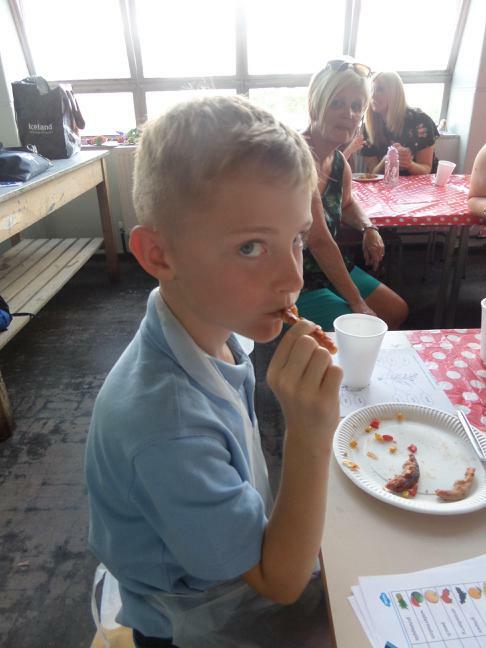 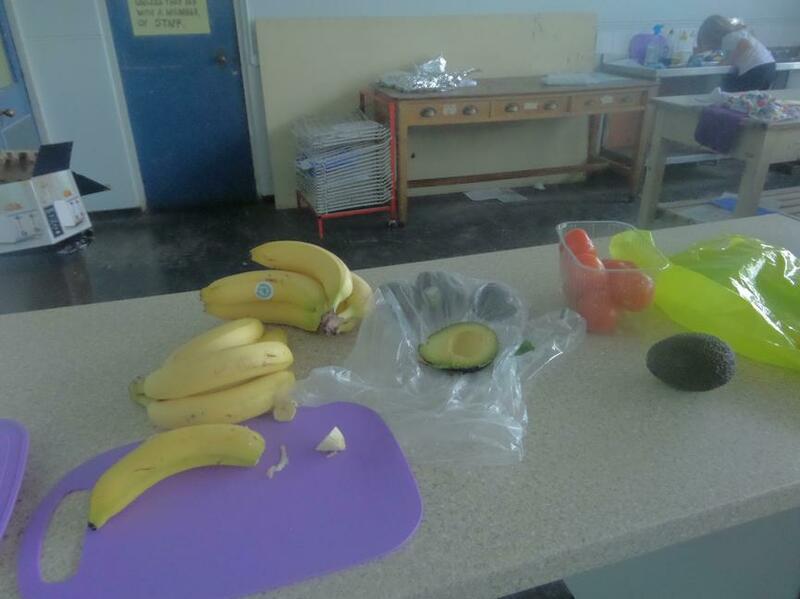 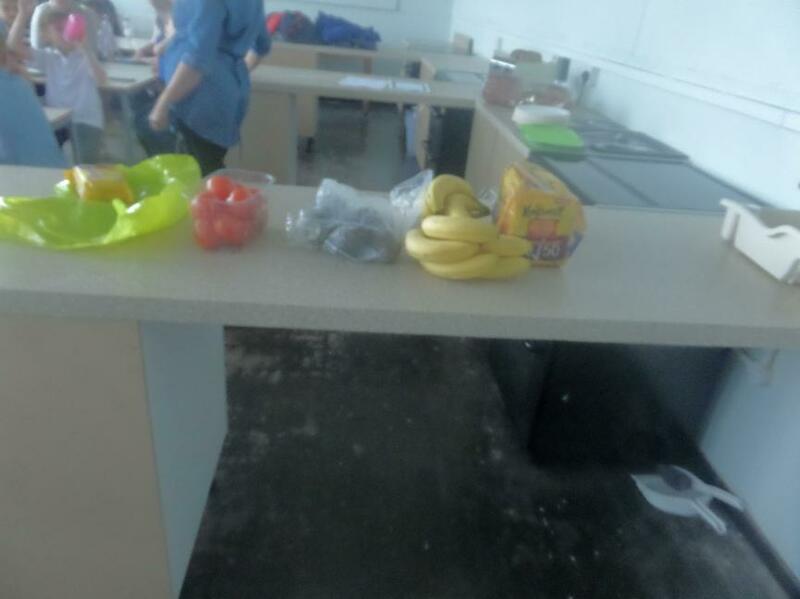 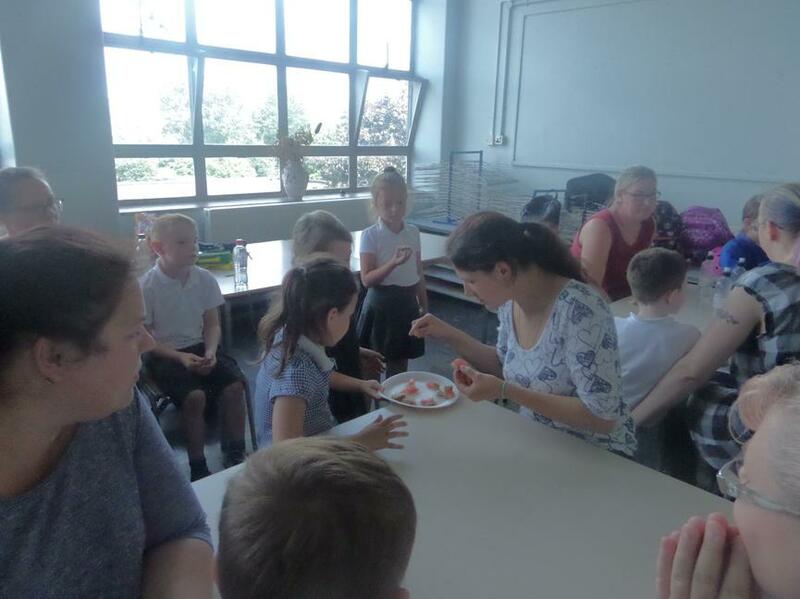 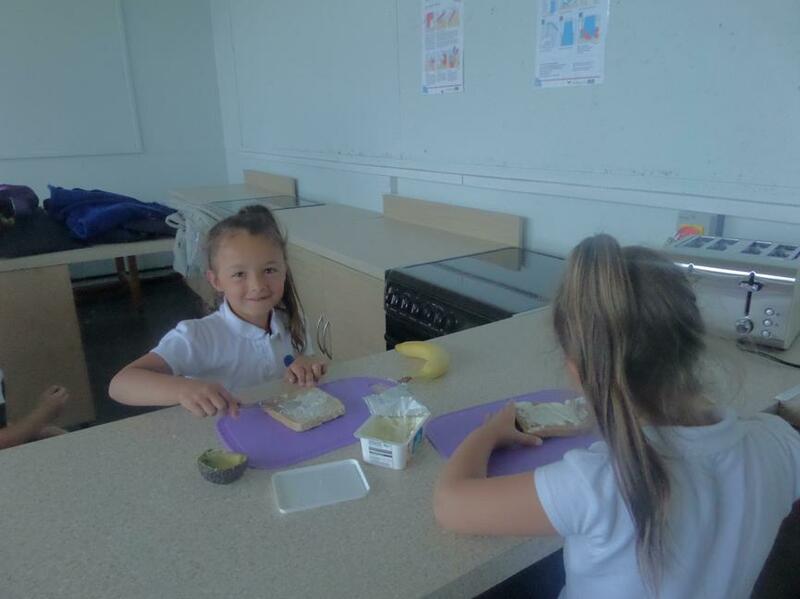 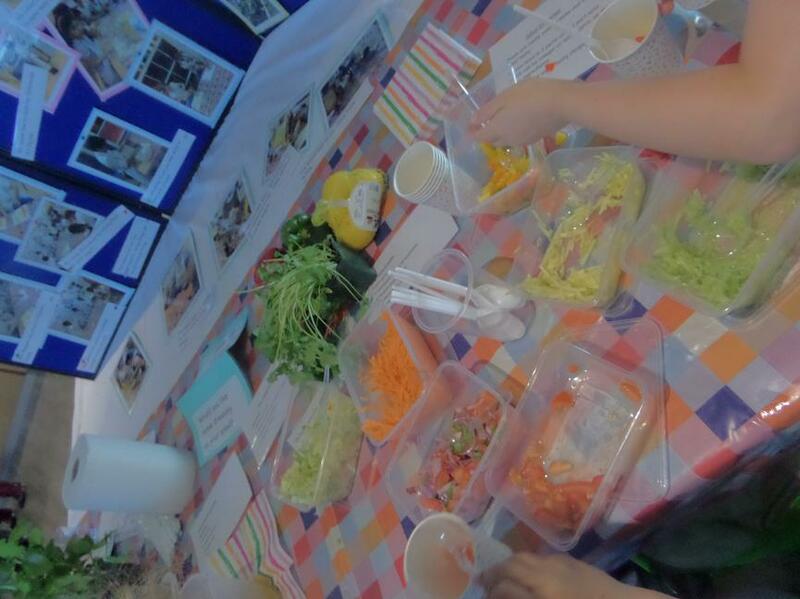 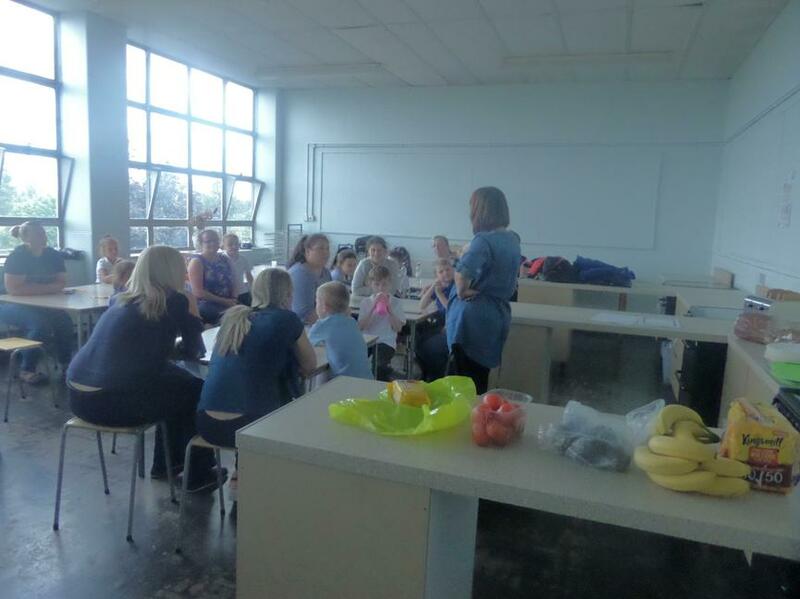 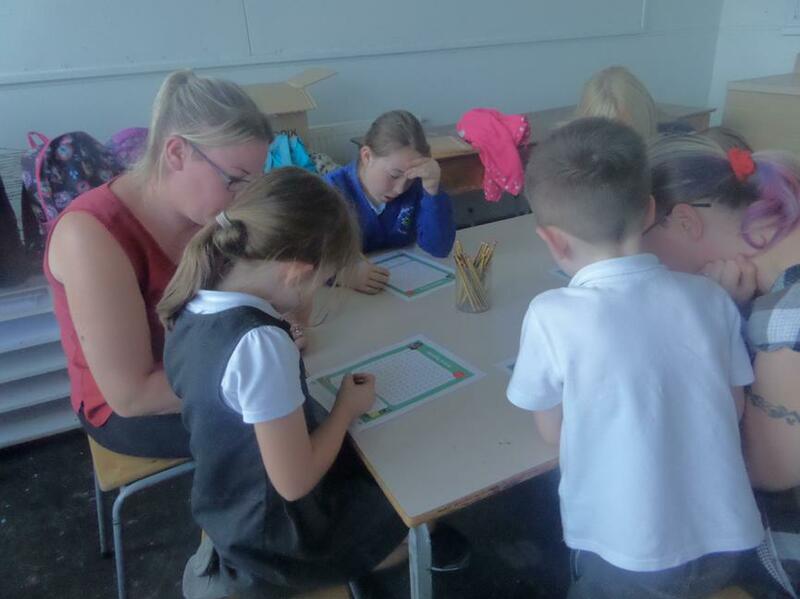 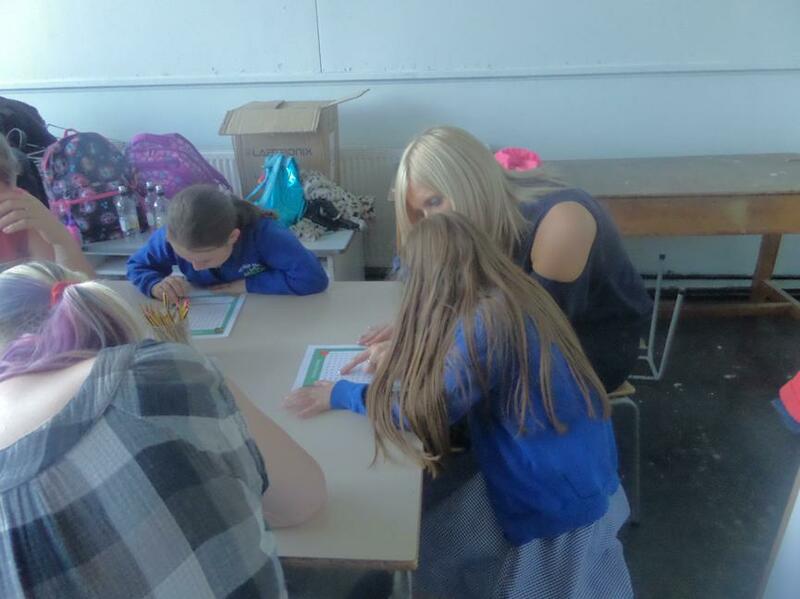 They talked about how dairy and fruit/veg are 2 key areas of the eat well plate. 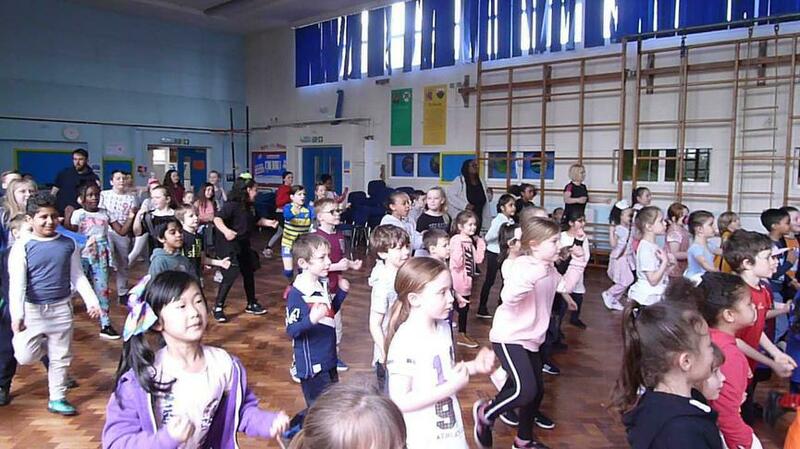 Last aerobics of the year! 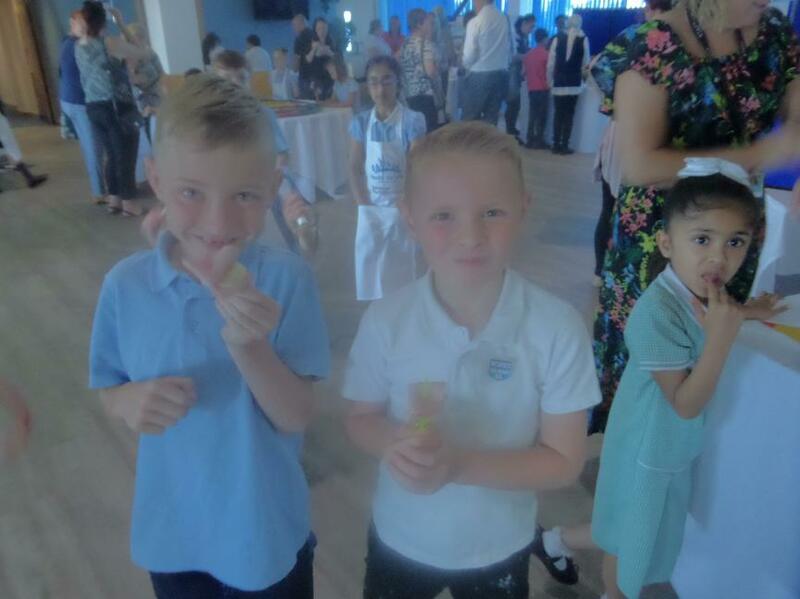 Well done to everyone that has attended this year. 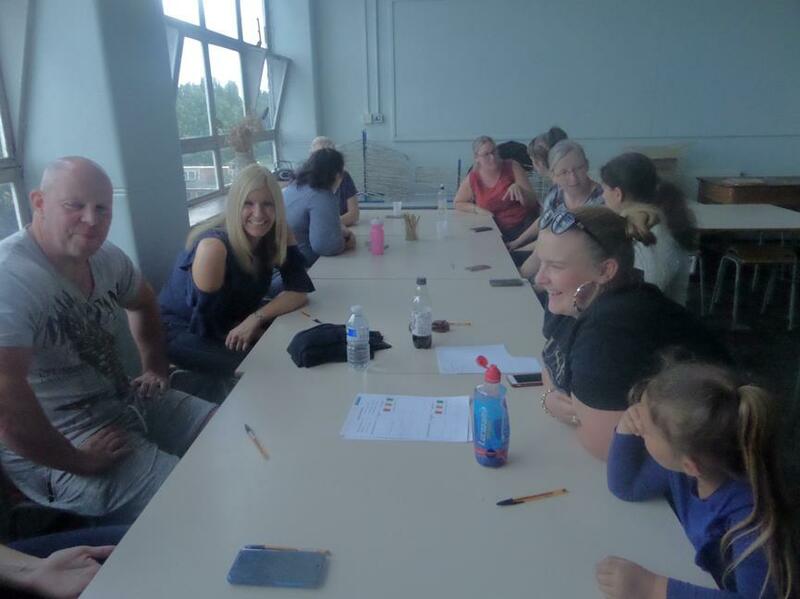 I hope to see even more of you in September! 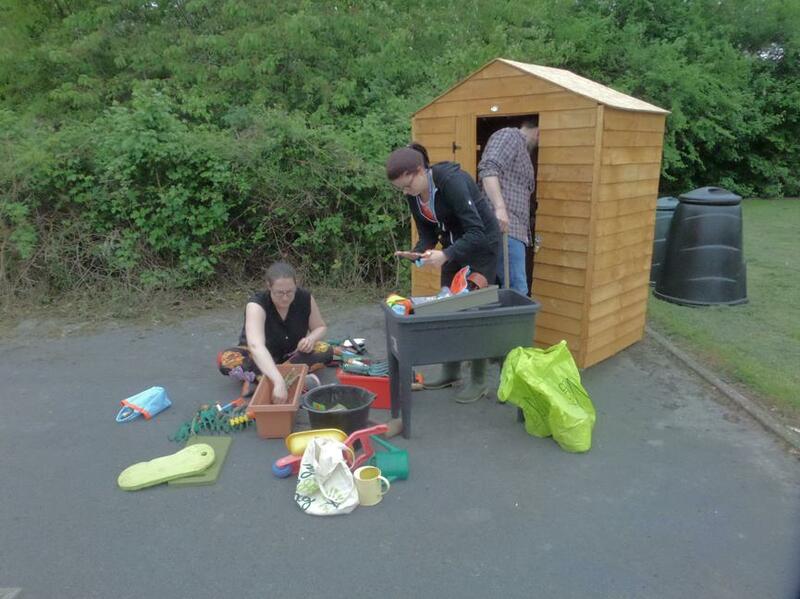 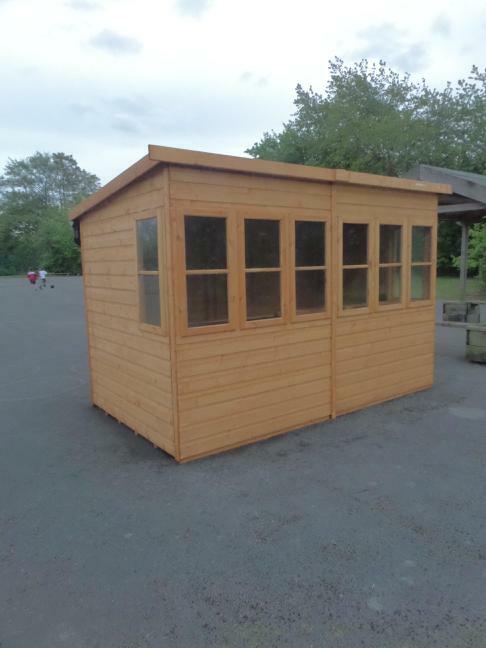 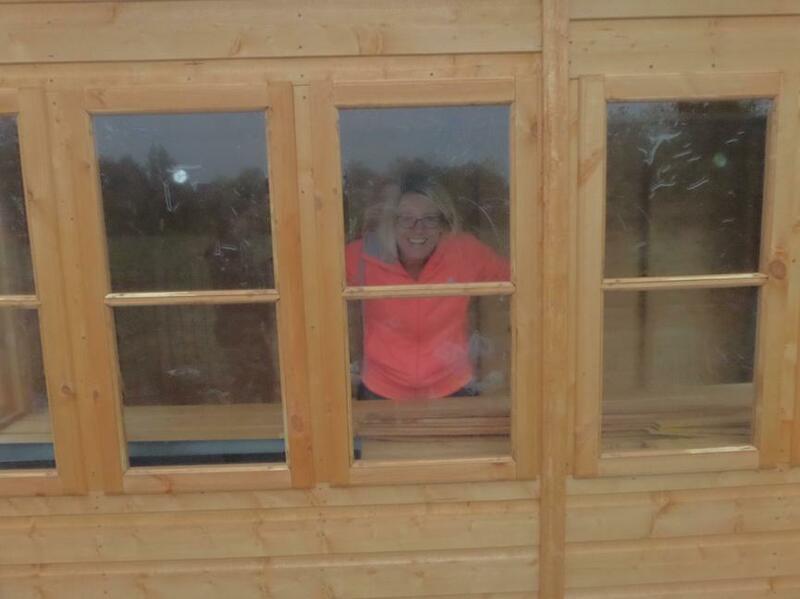 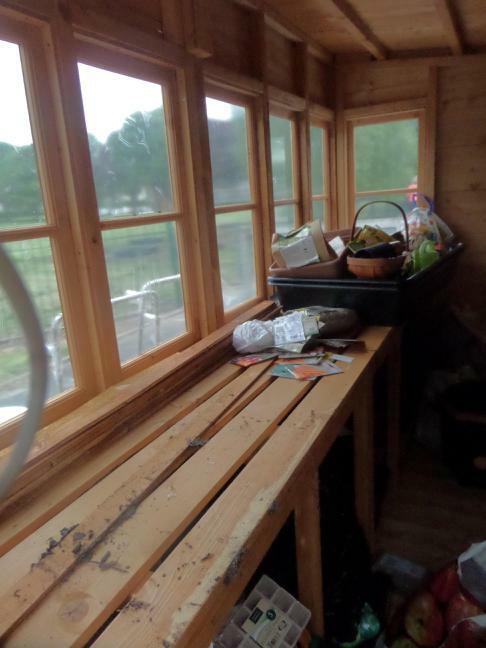 It was a great team effort sorting out all of the donated items to go in our new sheds. 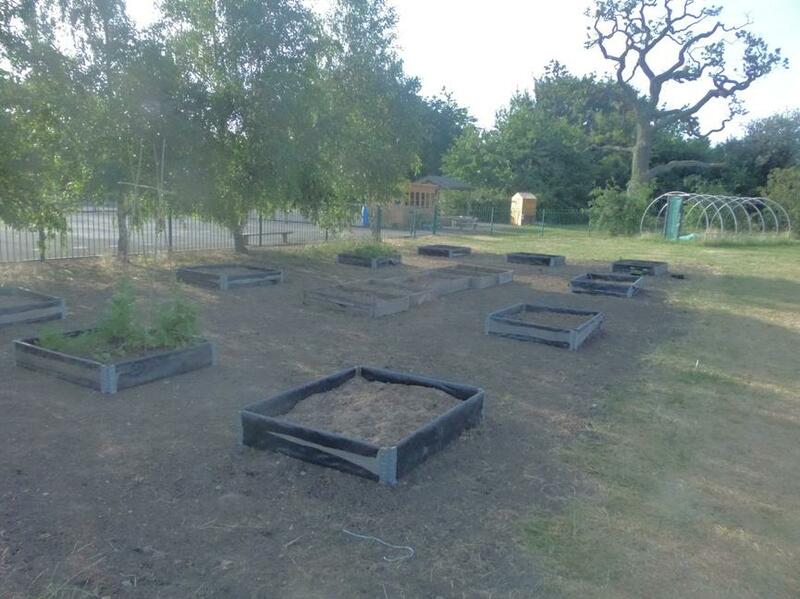 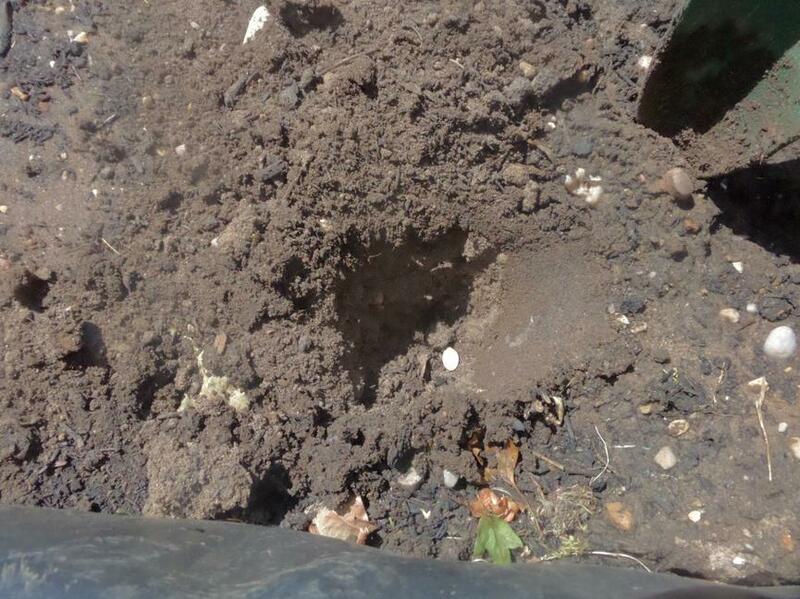 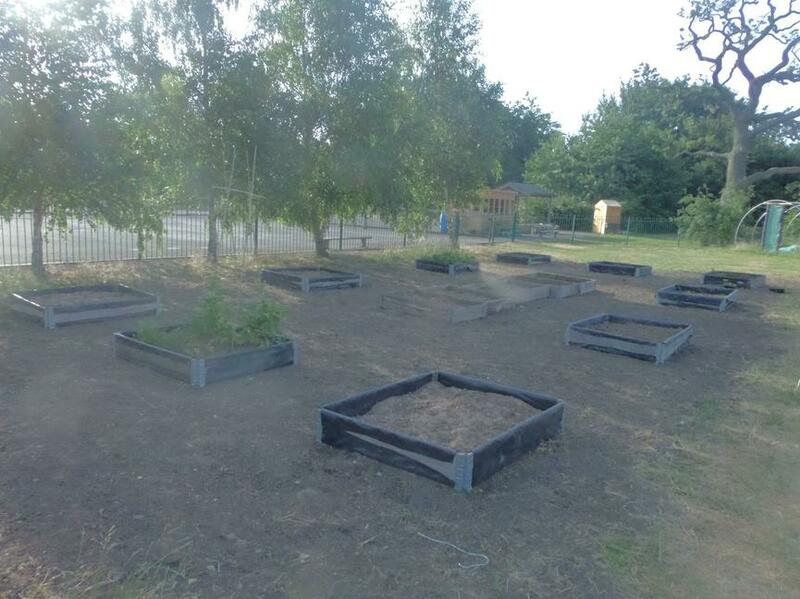 We also filled our raised beds with soil so they are ready to go. 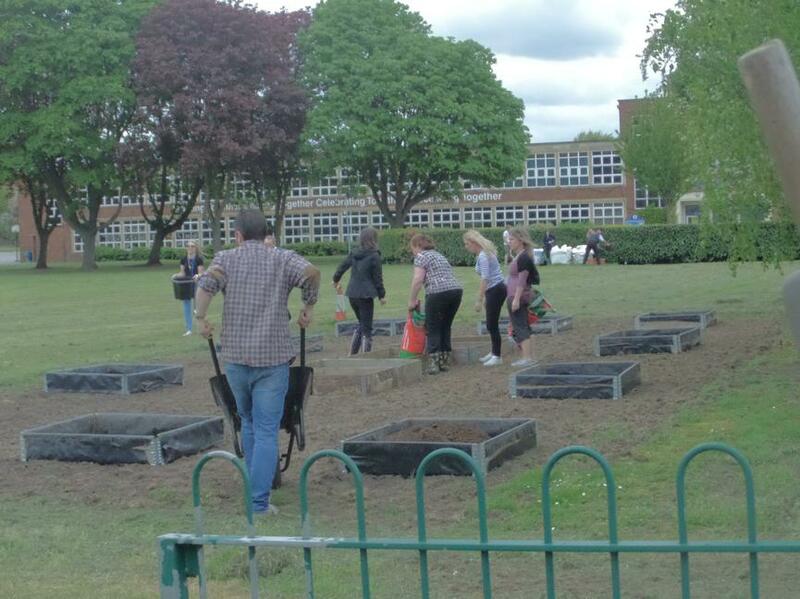 Well done staff! 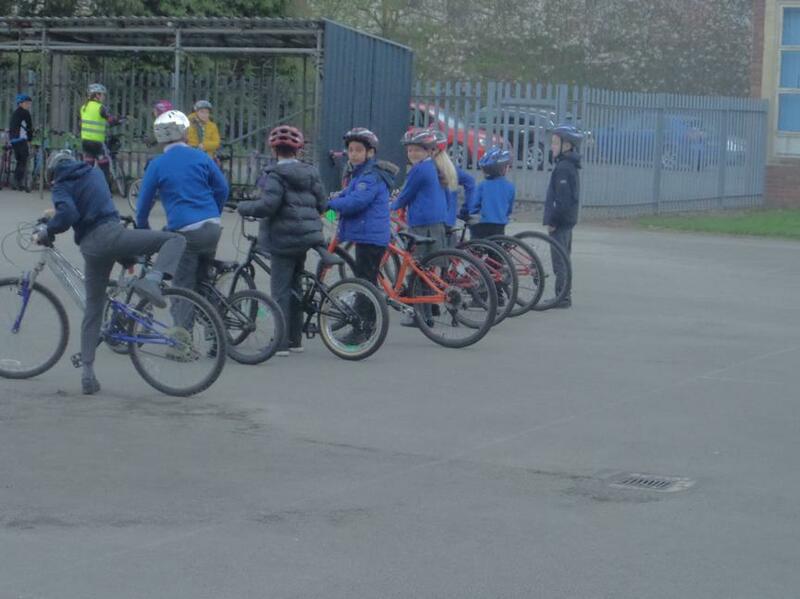 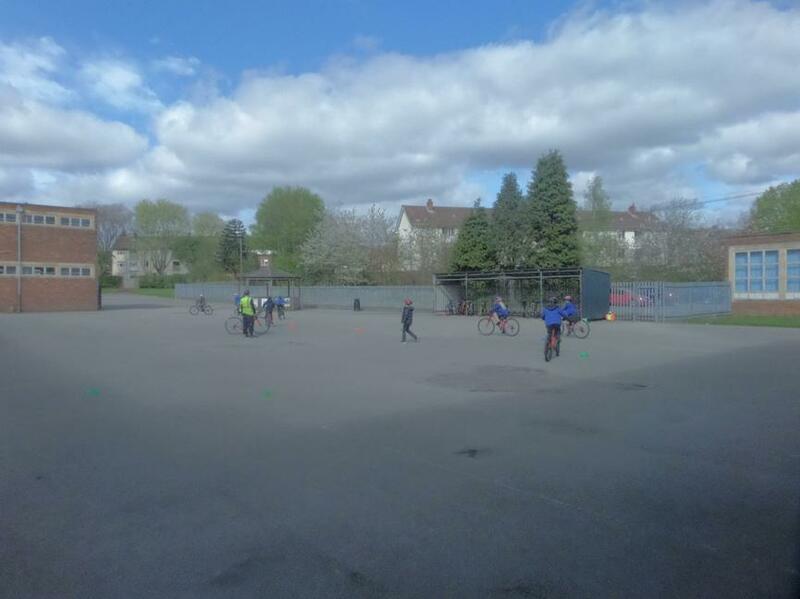 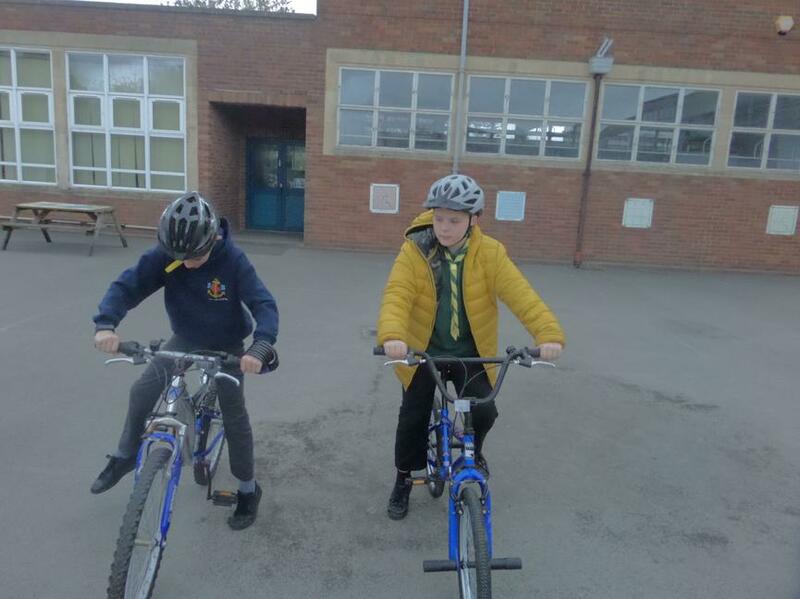 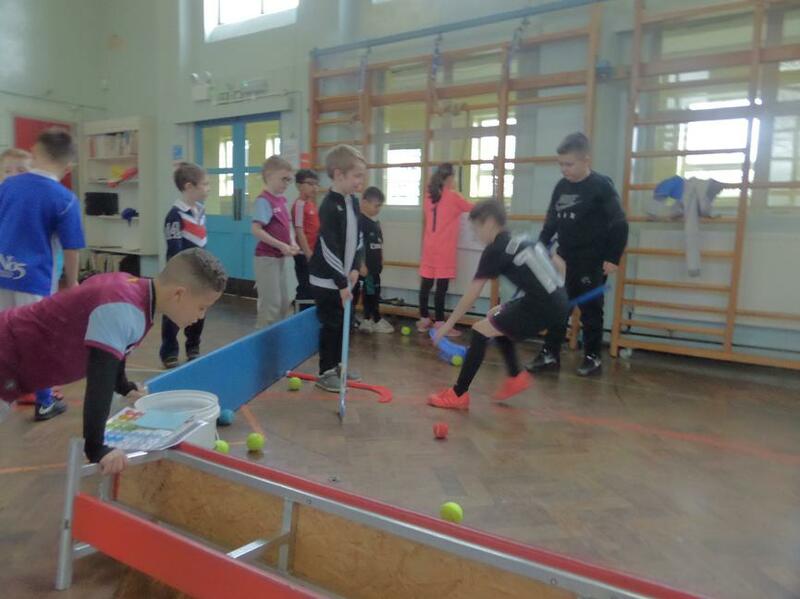 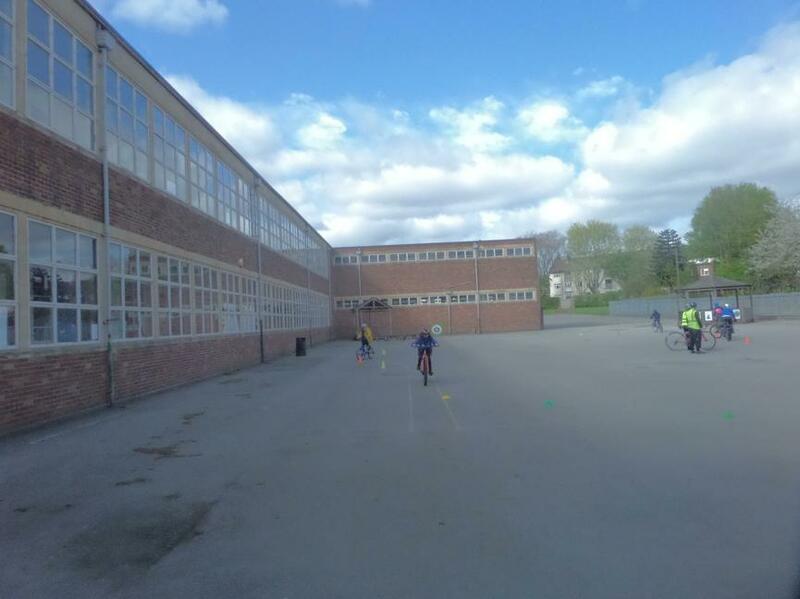 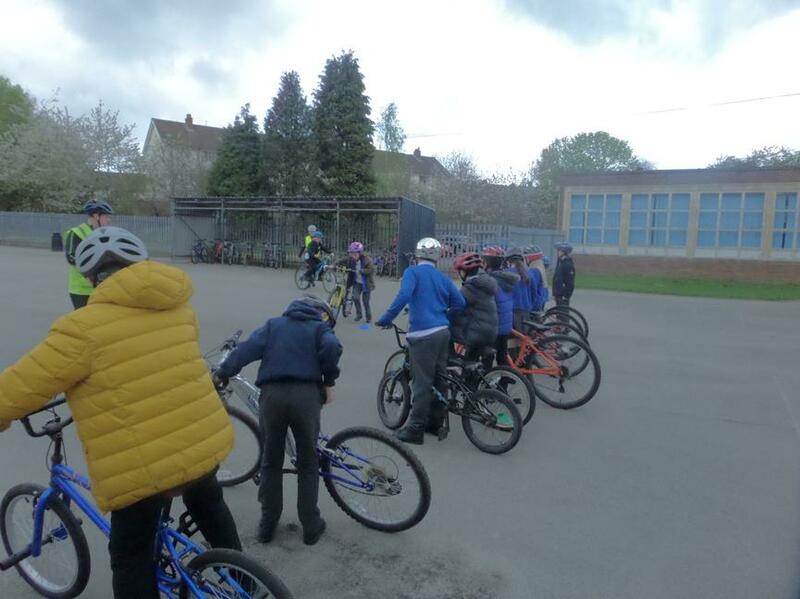 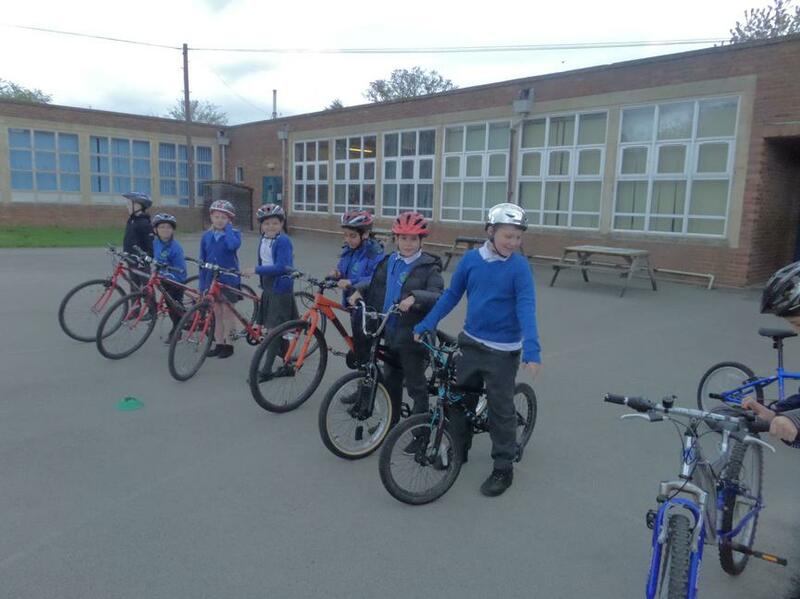 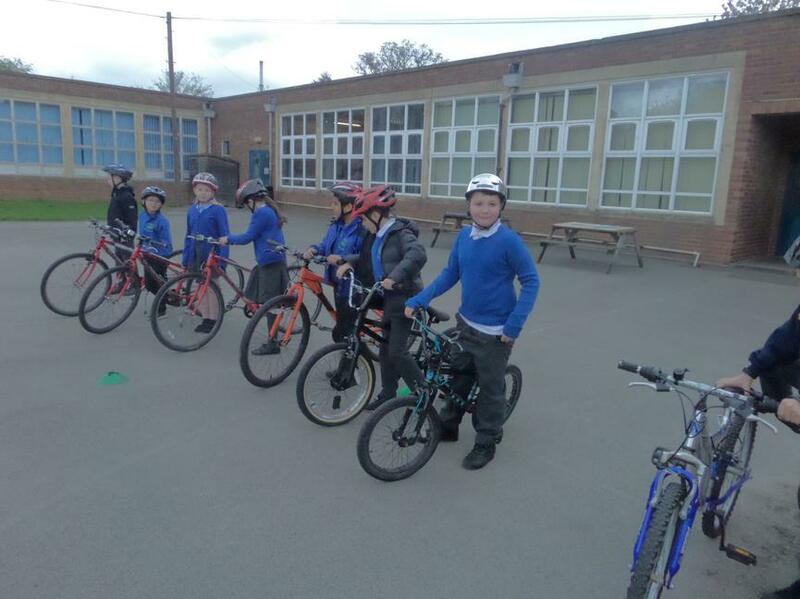 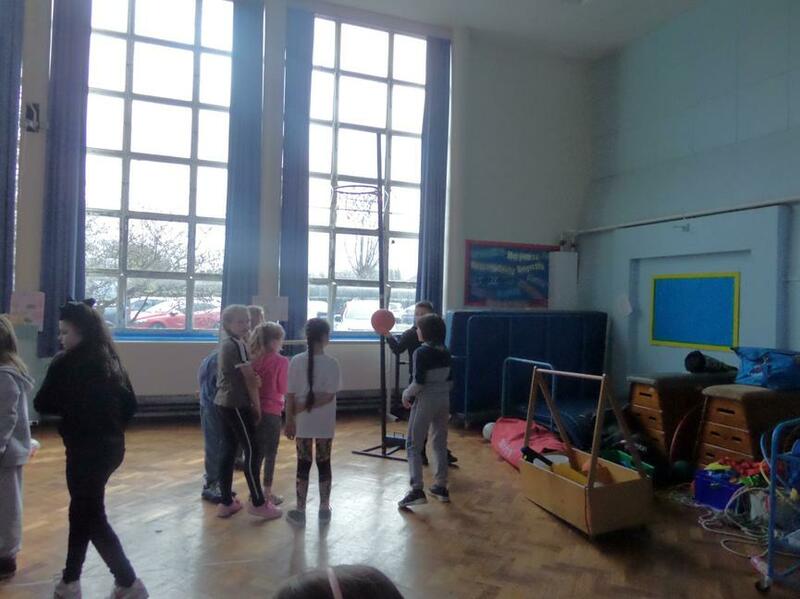 The whole school got active today! 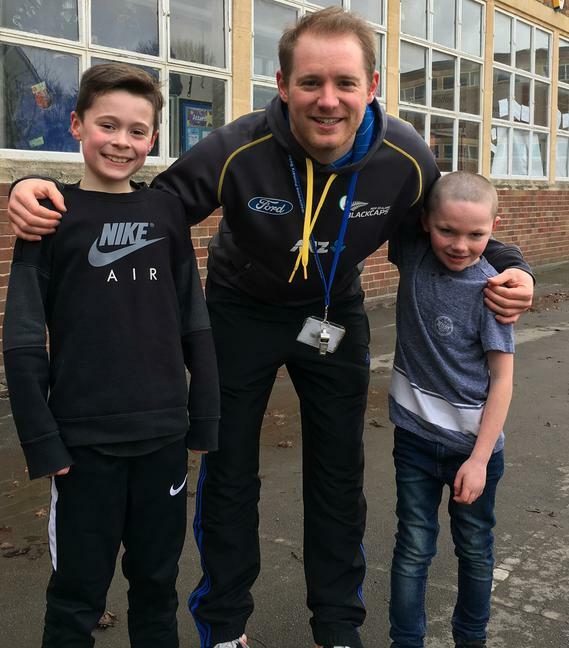 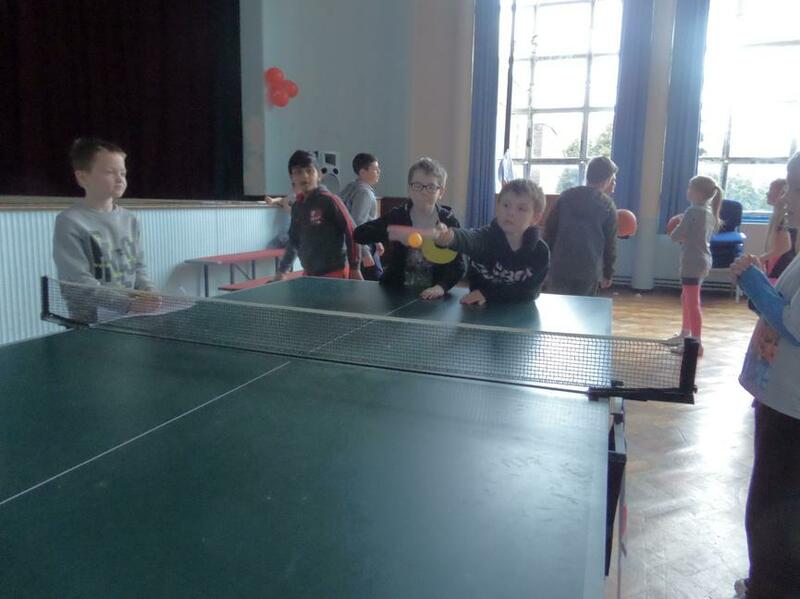 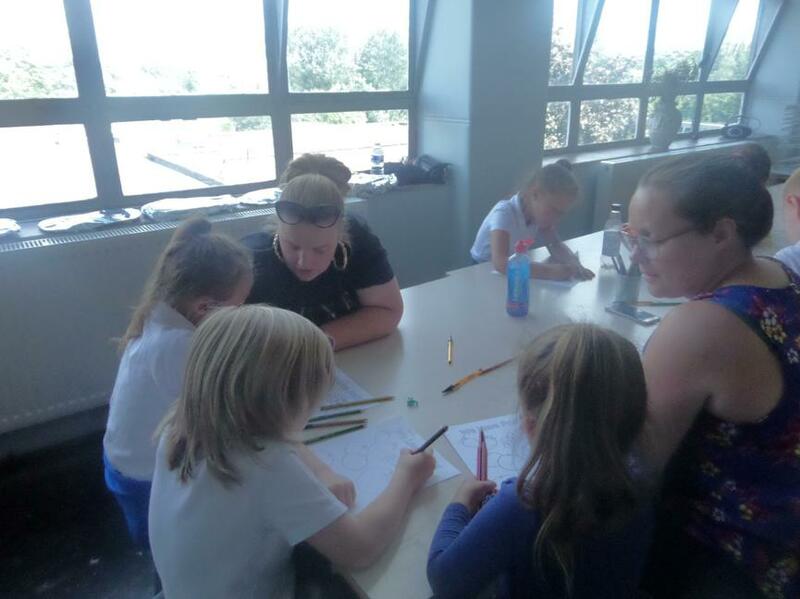 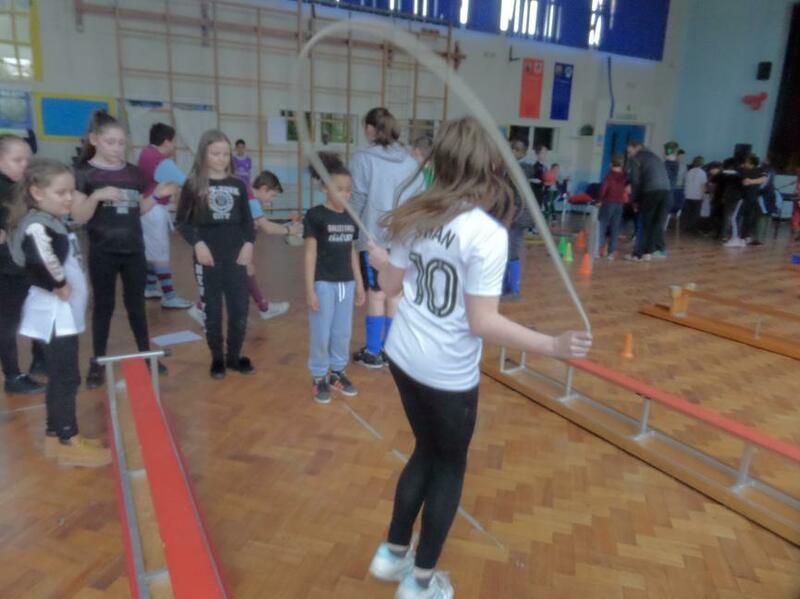 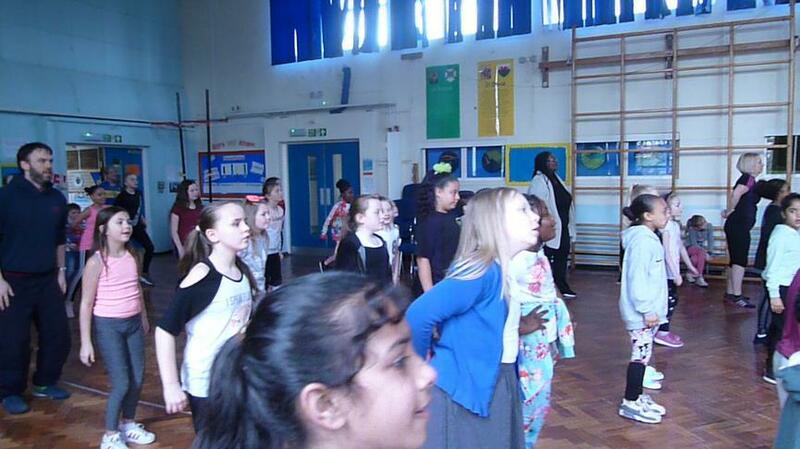 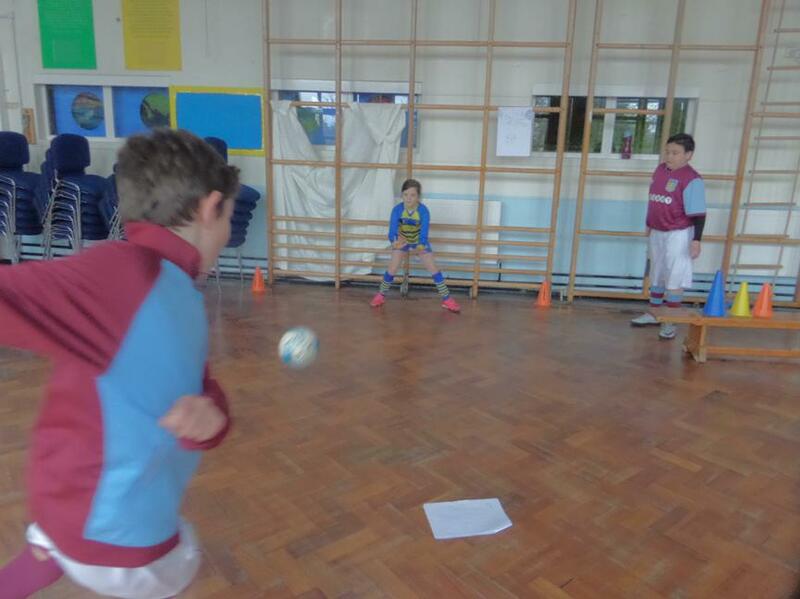 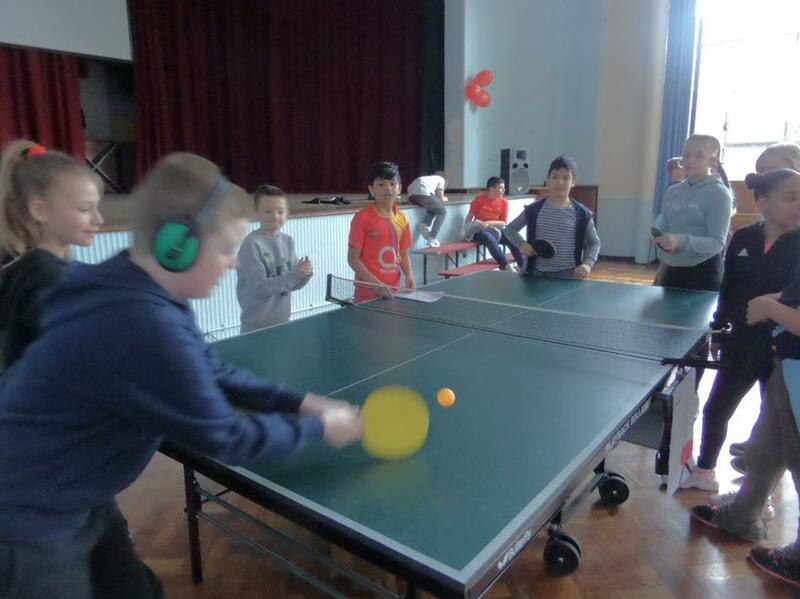 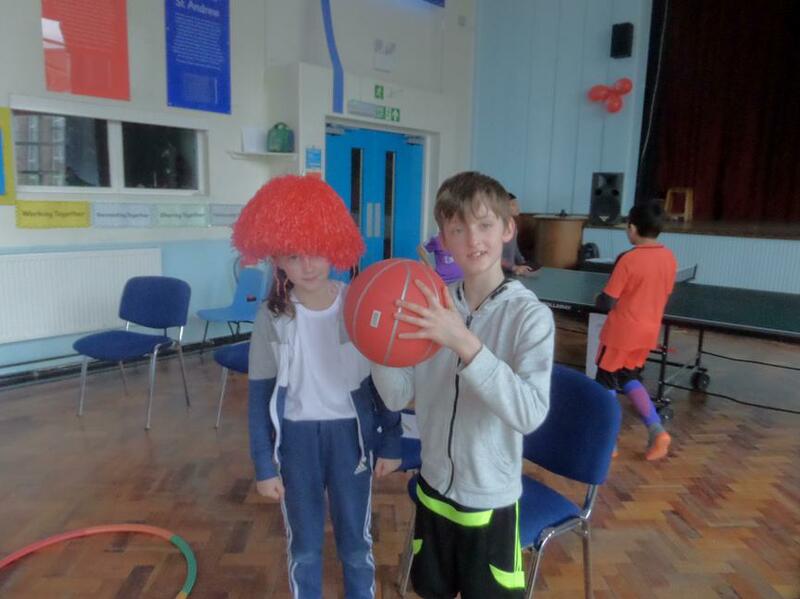 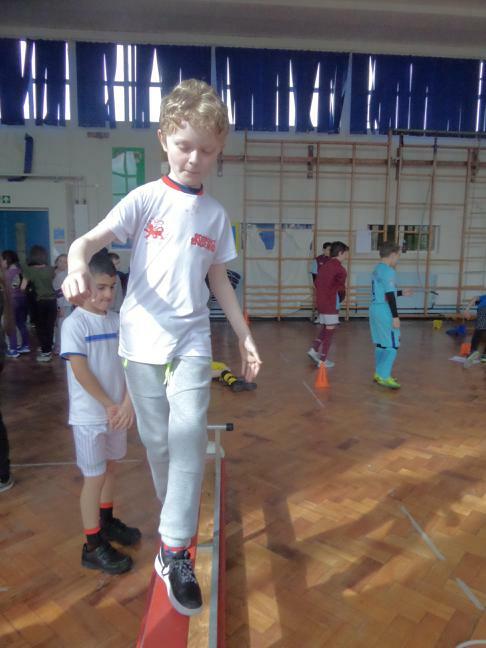 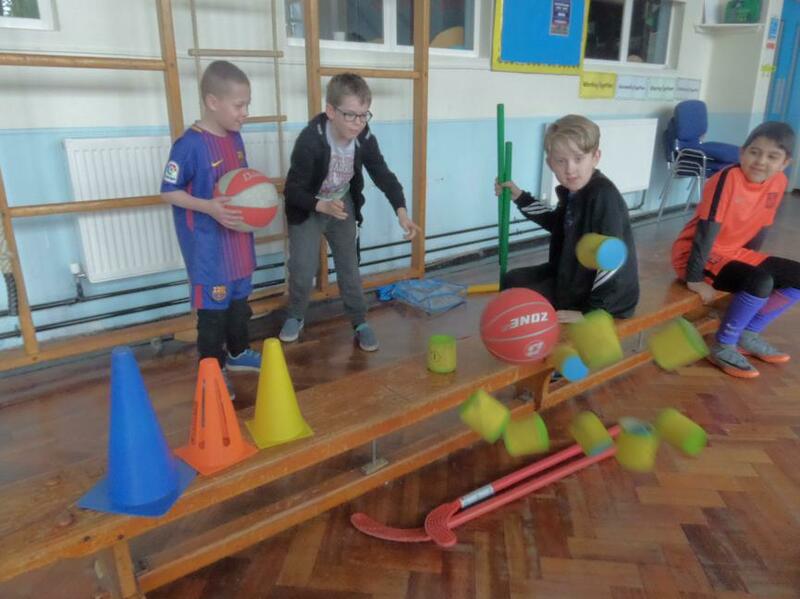 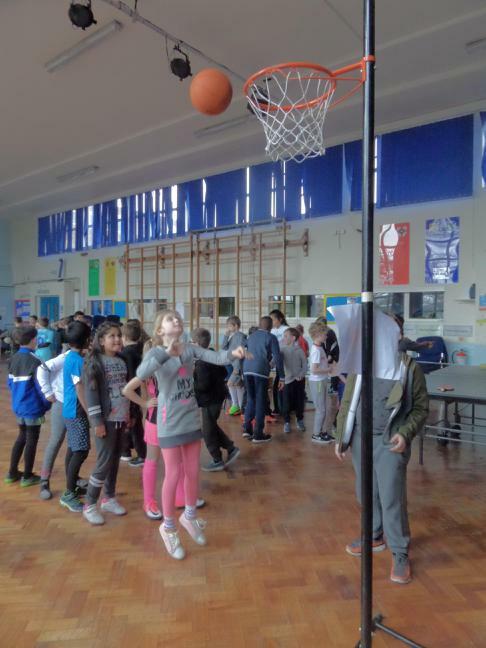 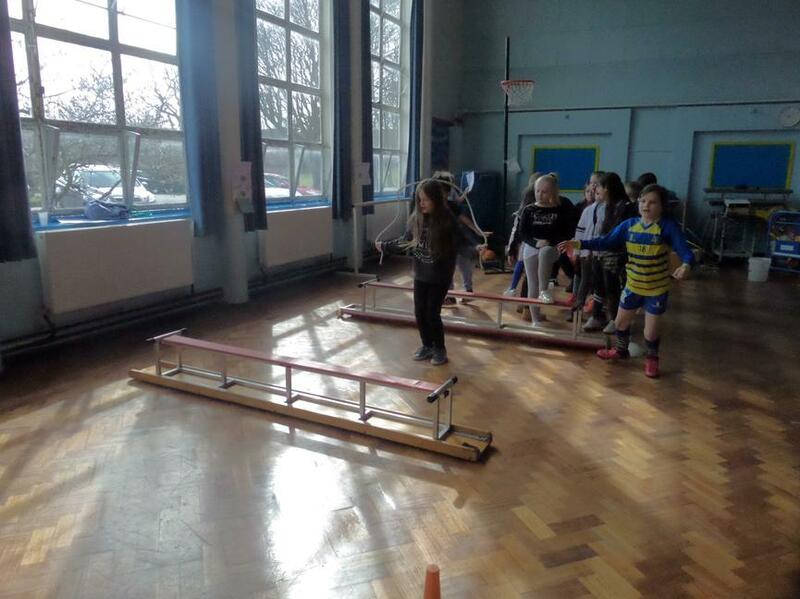 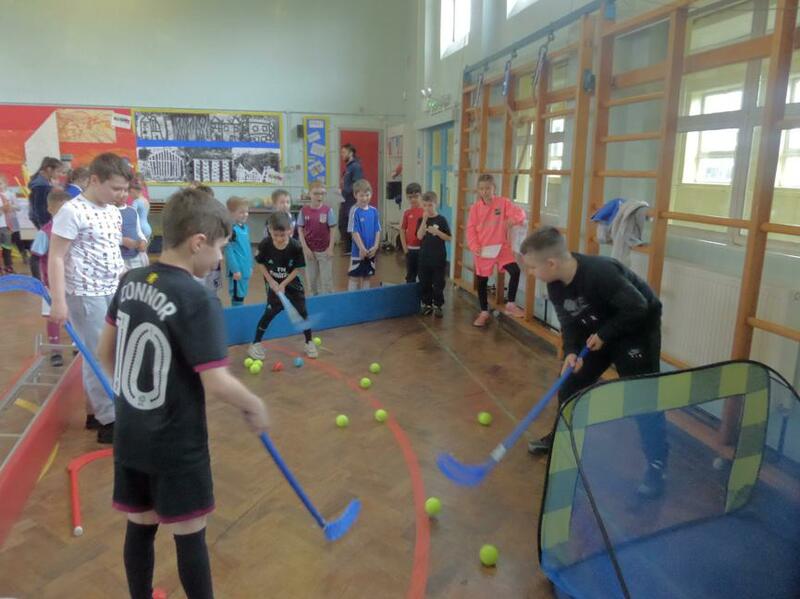 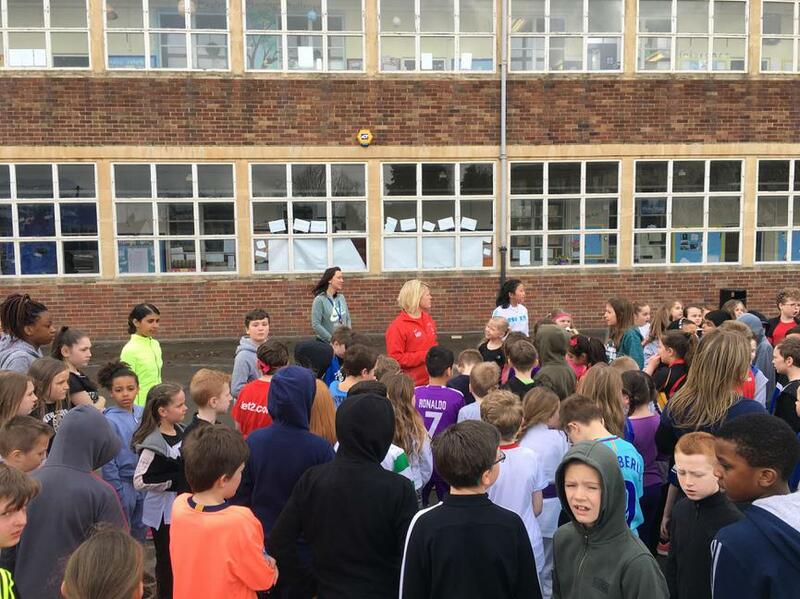 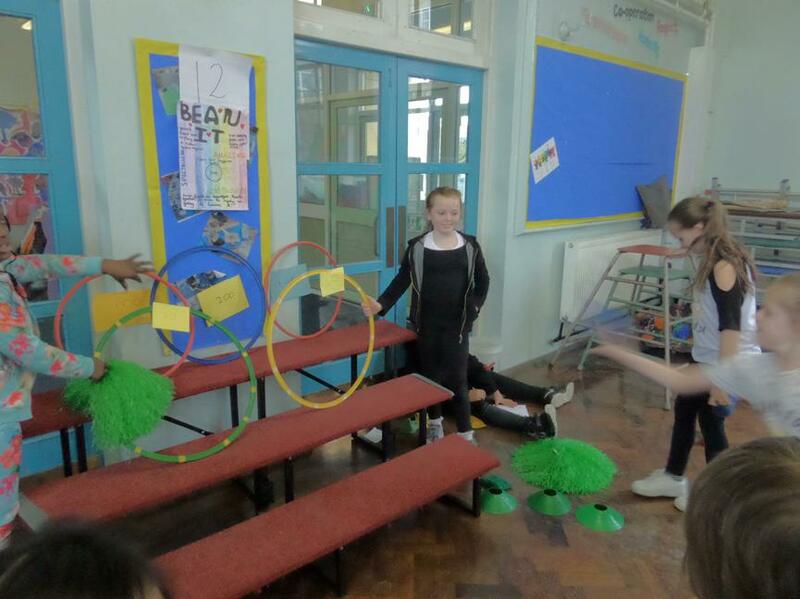 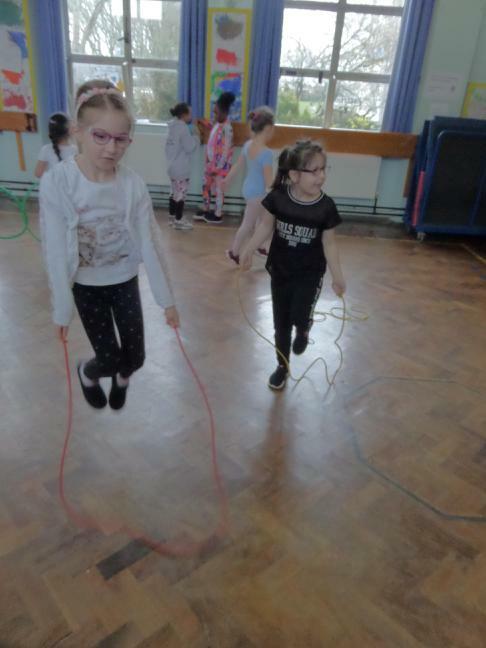 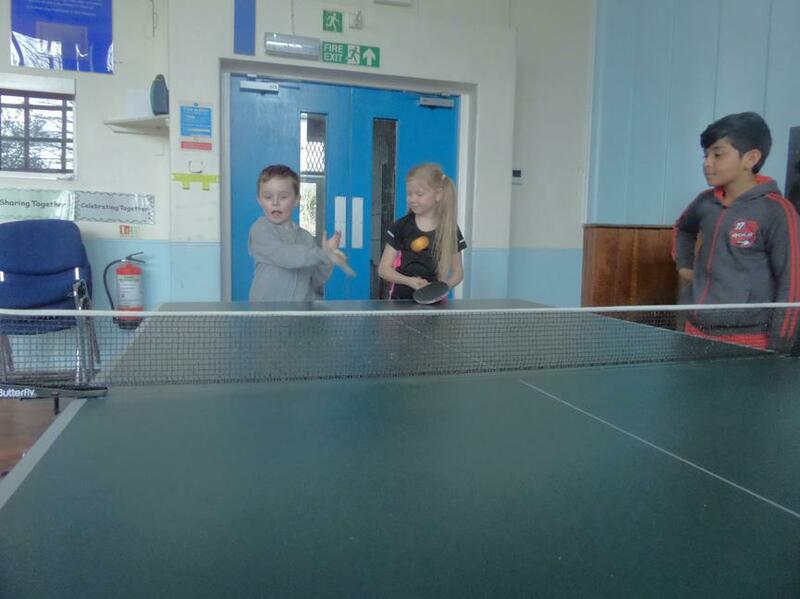 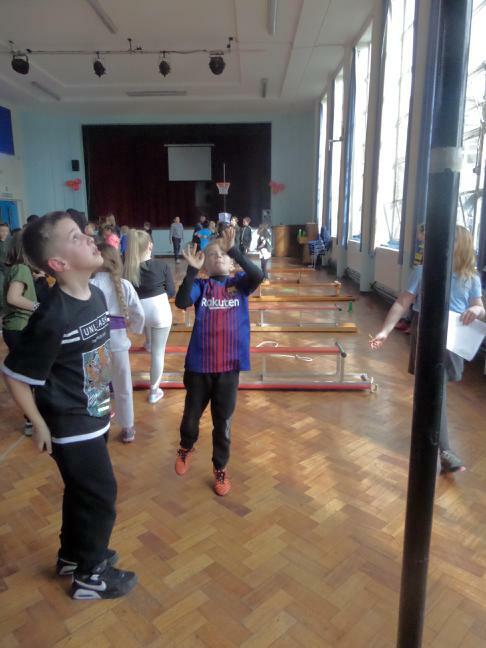 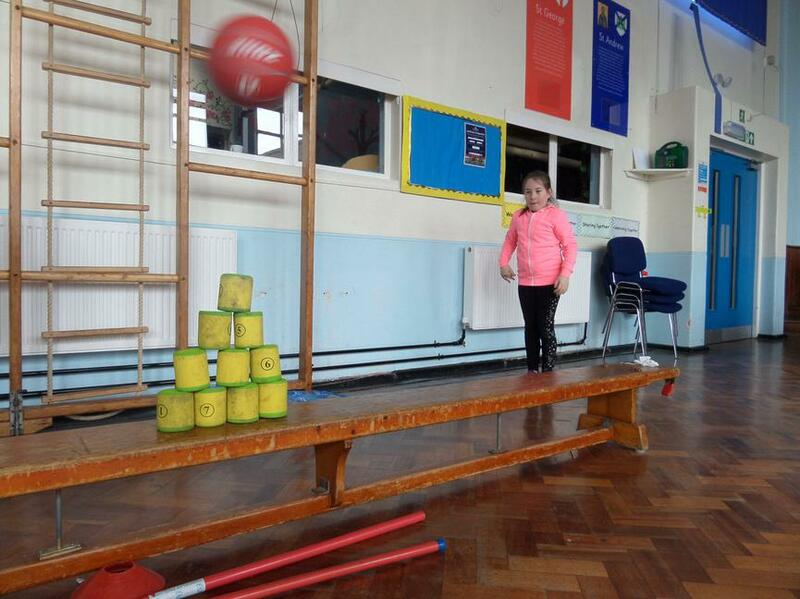 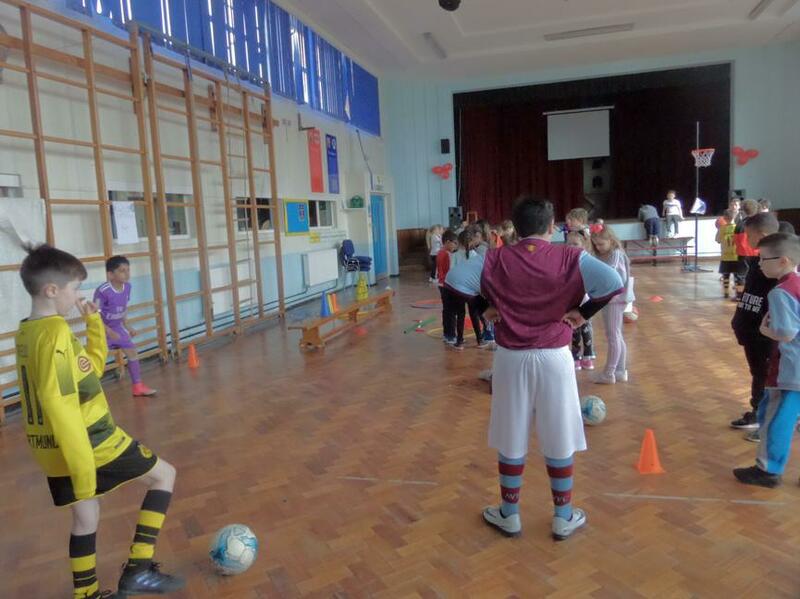 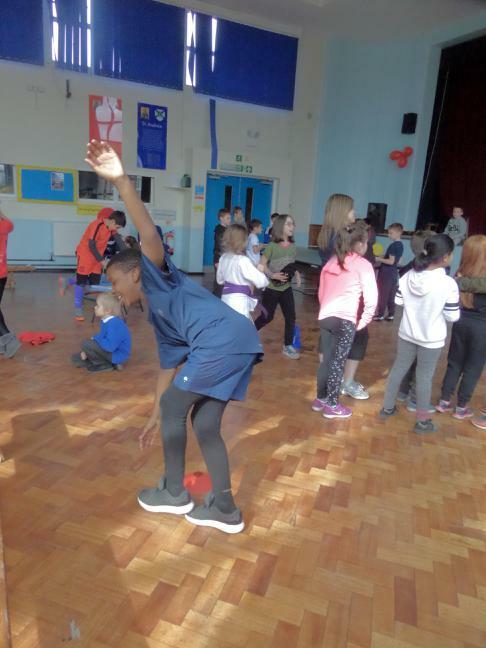 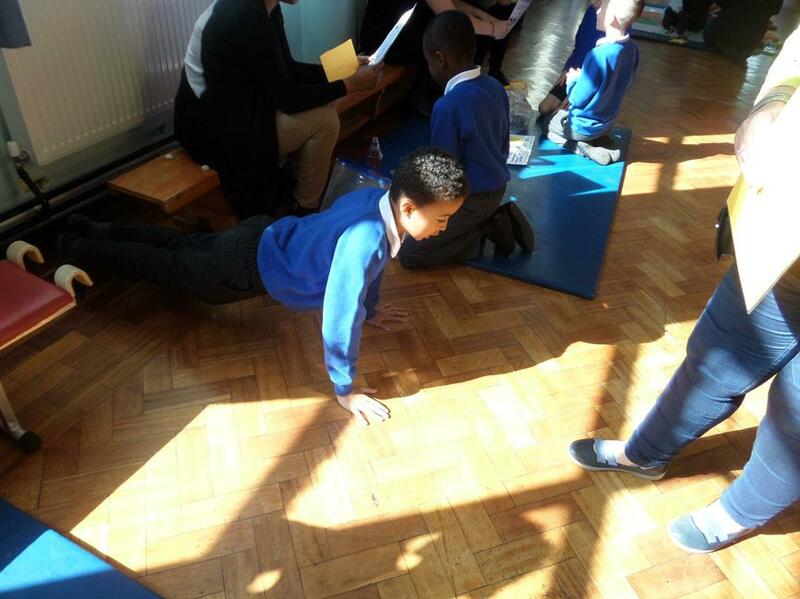 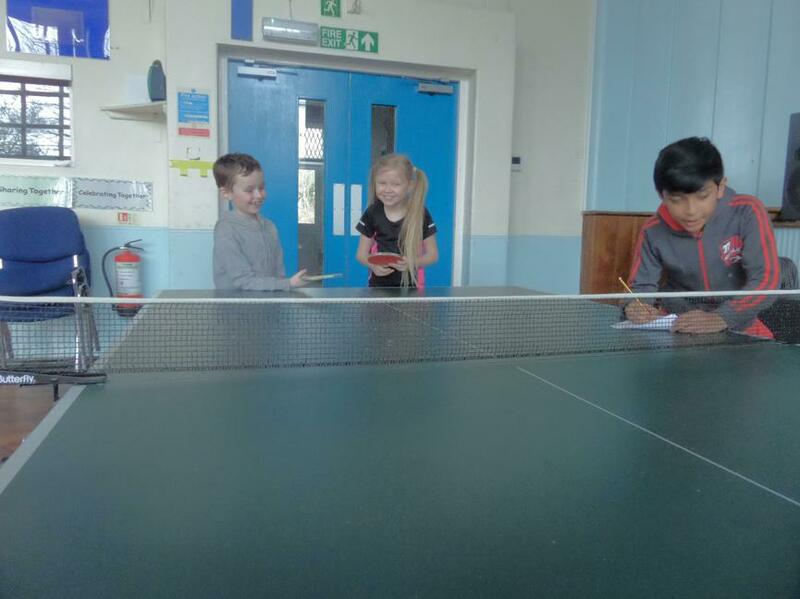 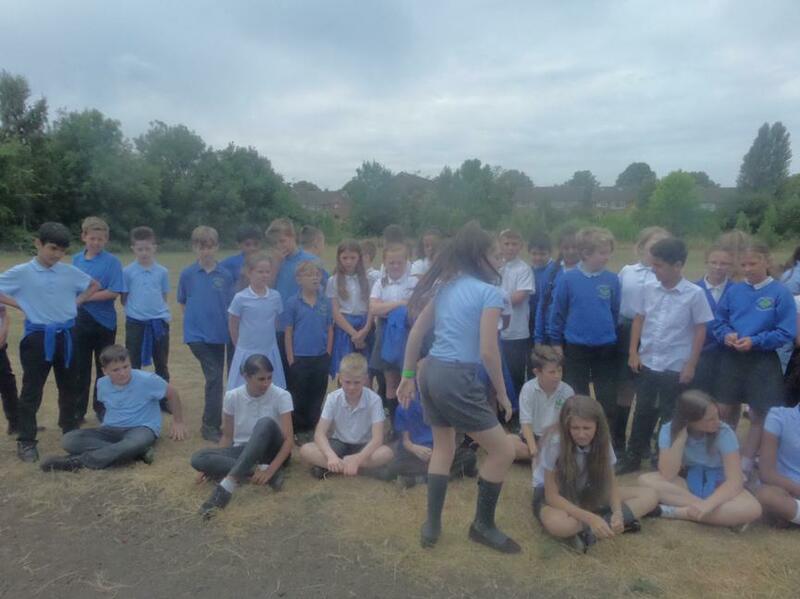 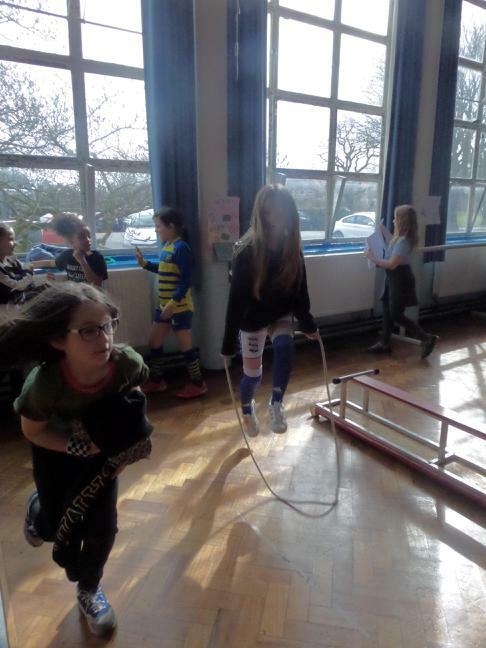 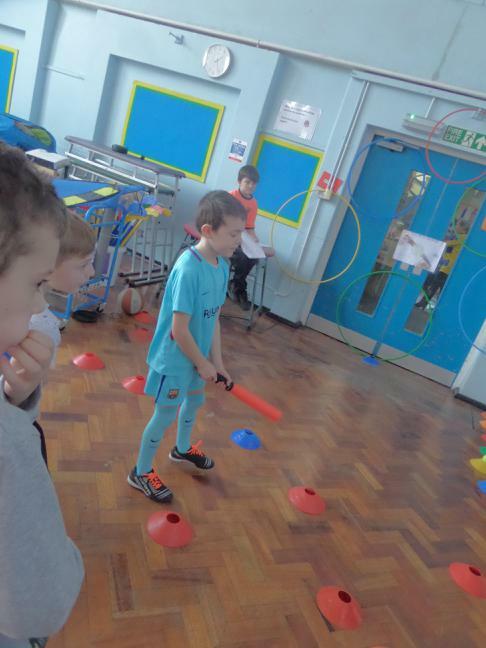 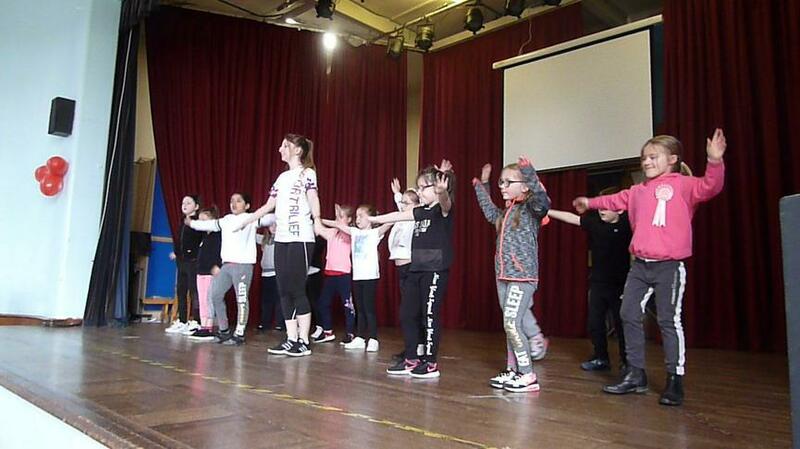 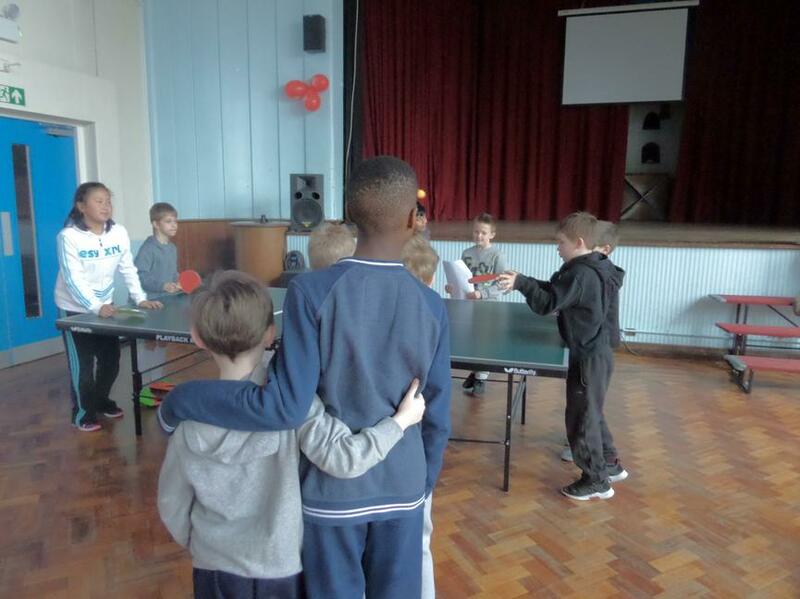 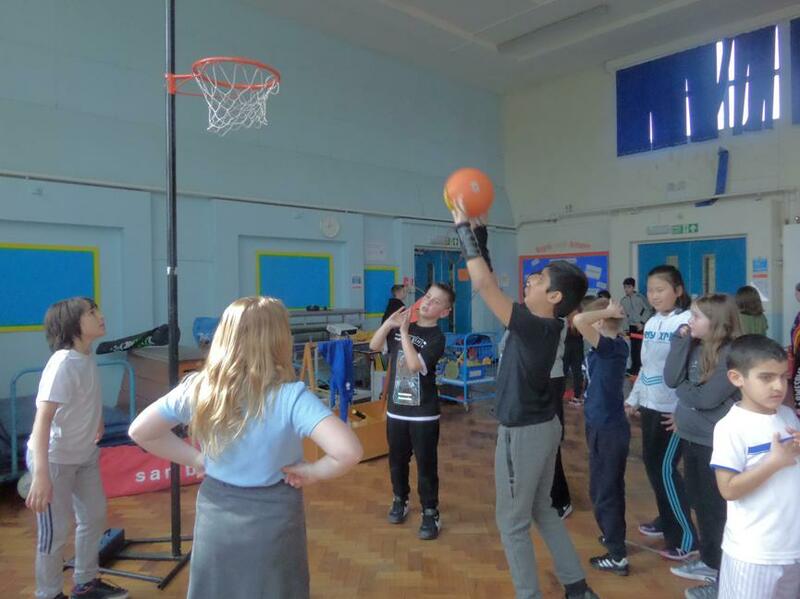 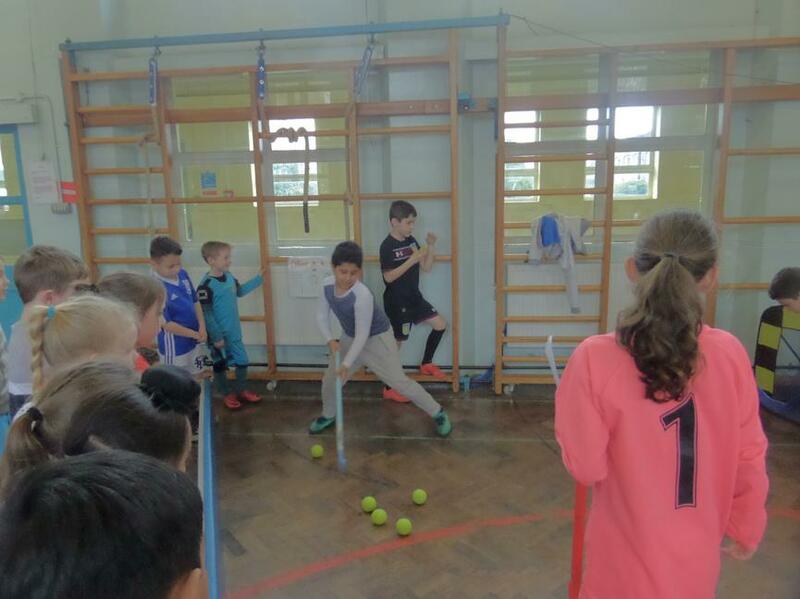 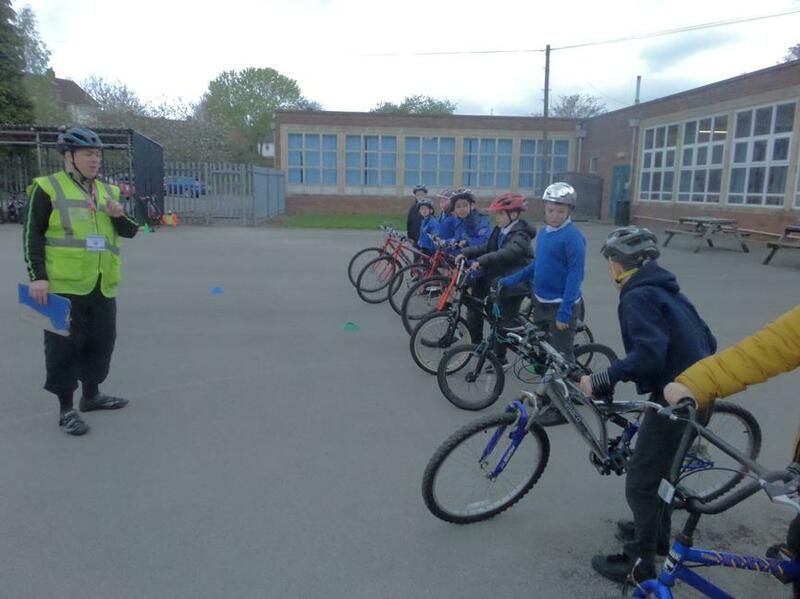 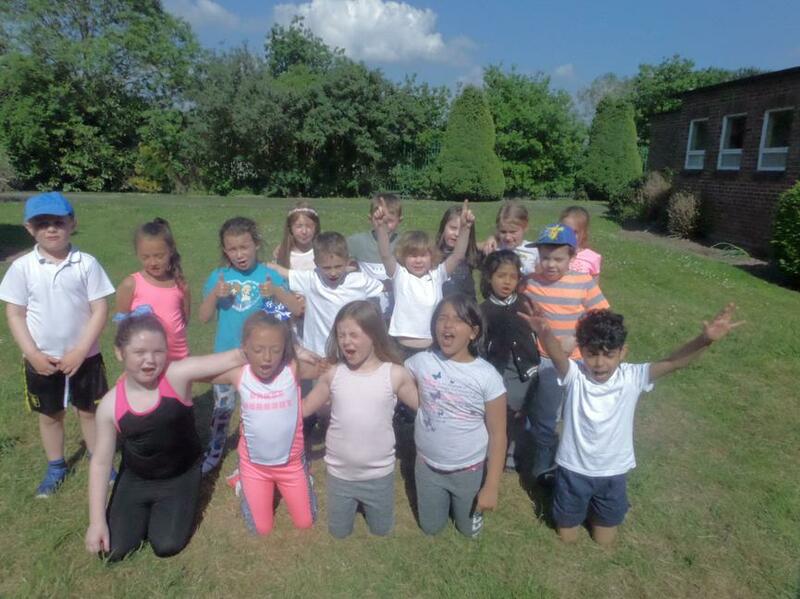 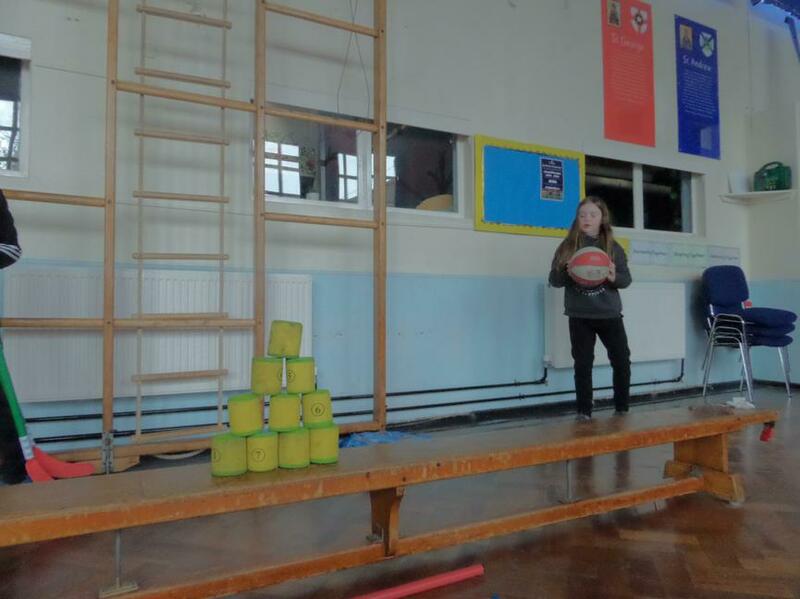 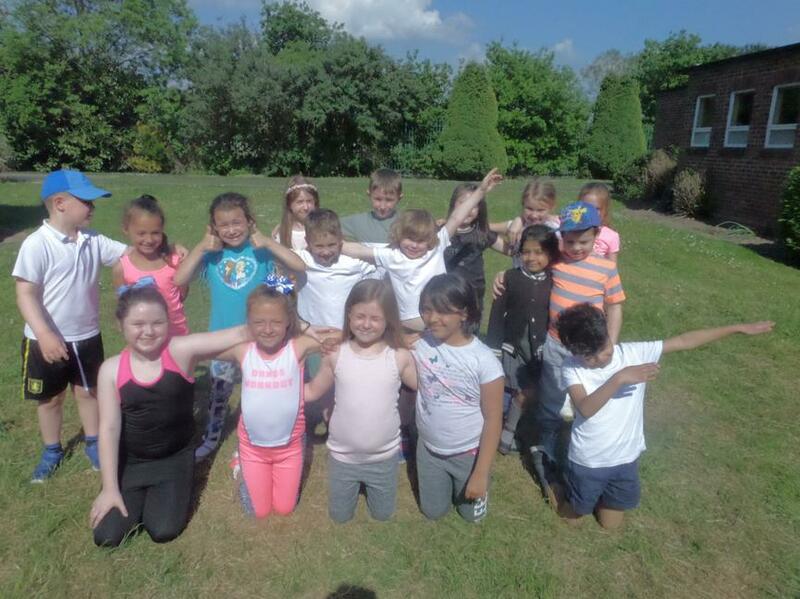 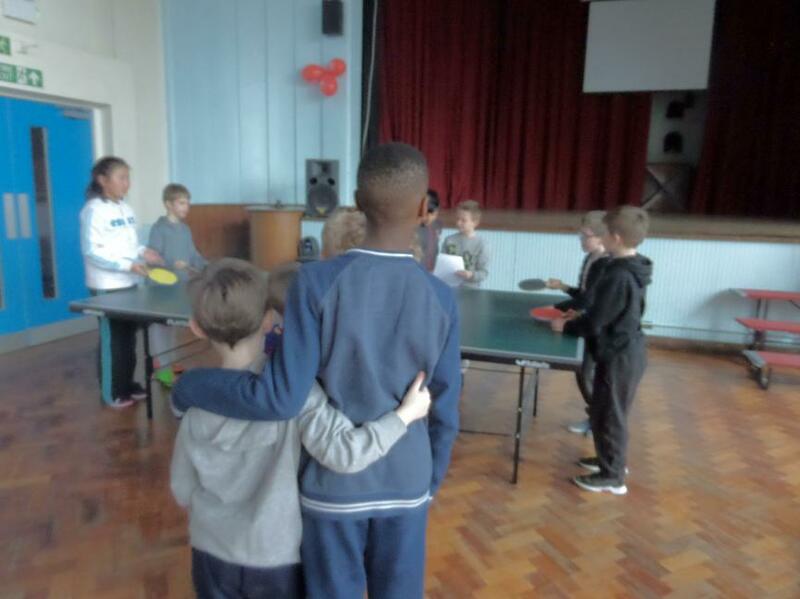 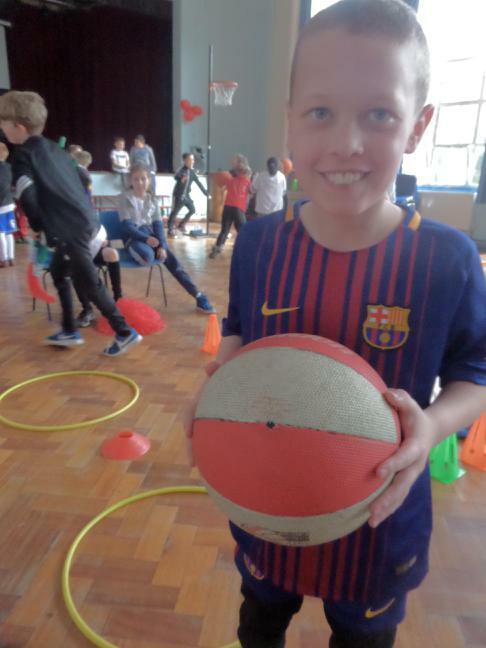 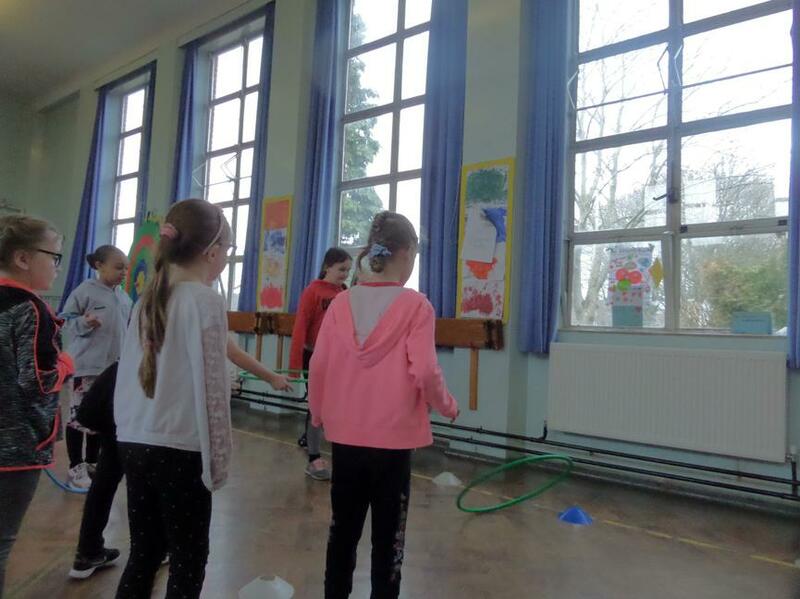 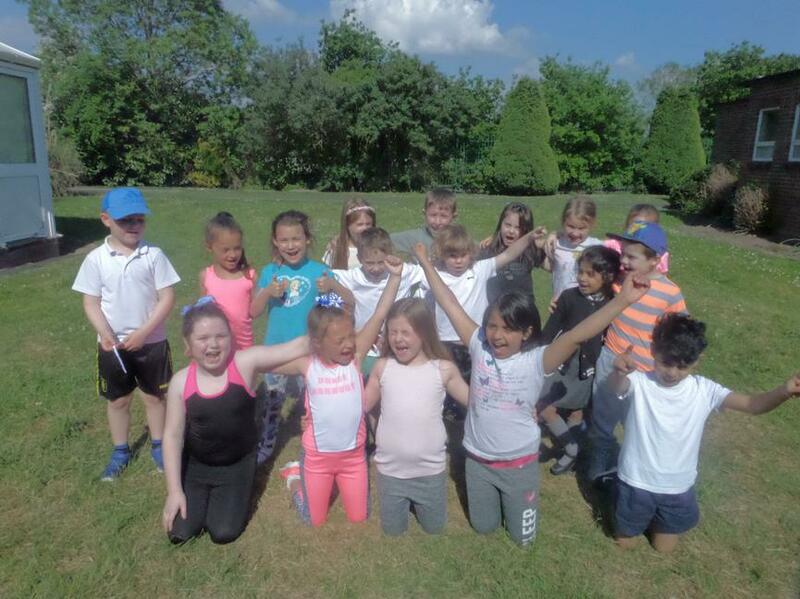 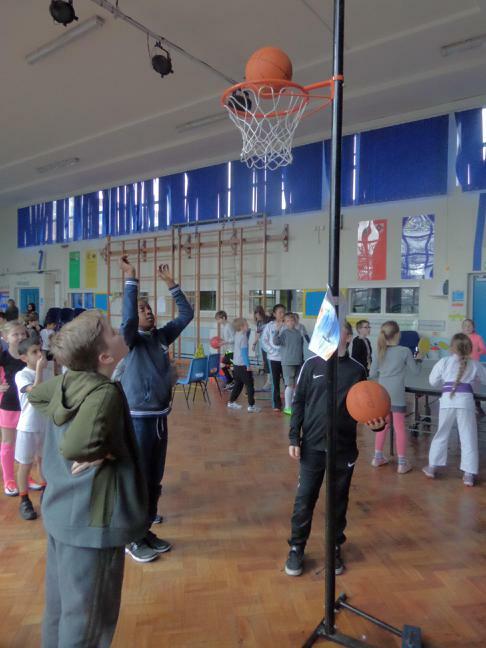 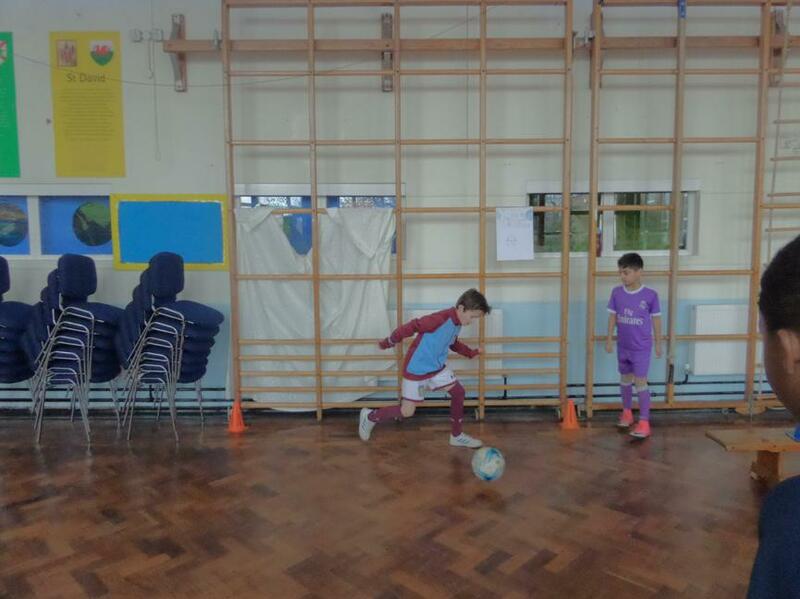 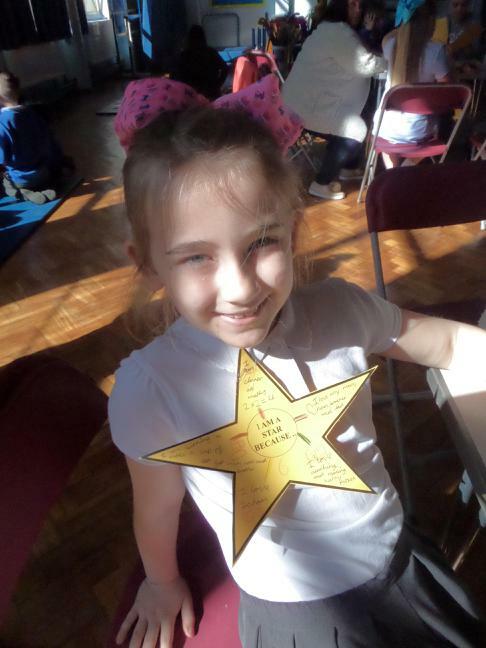 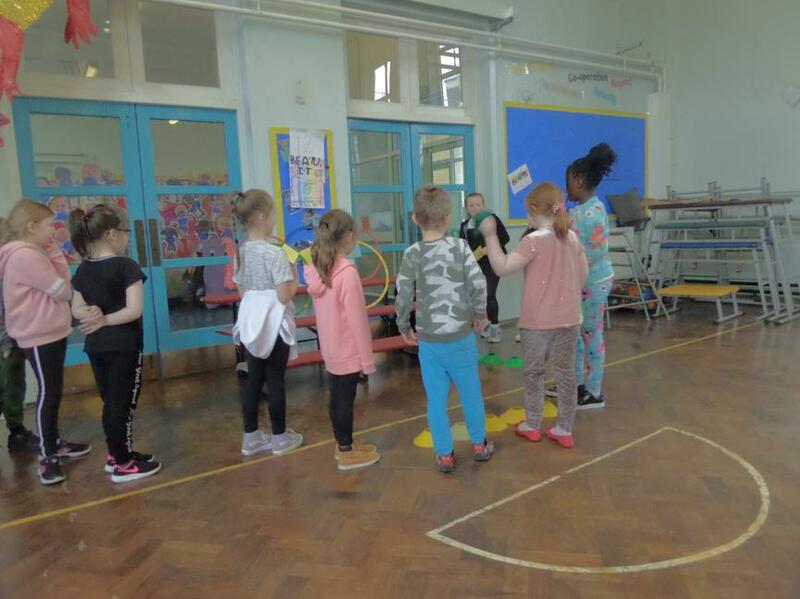 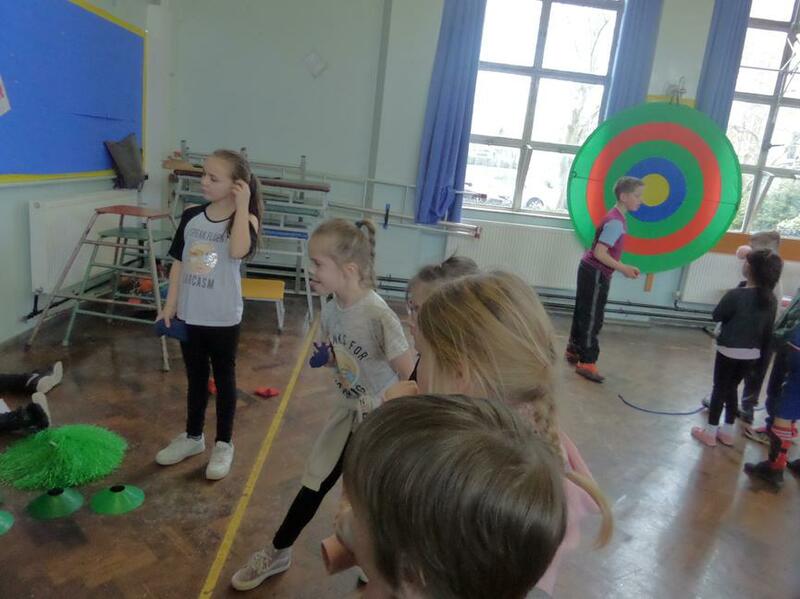 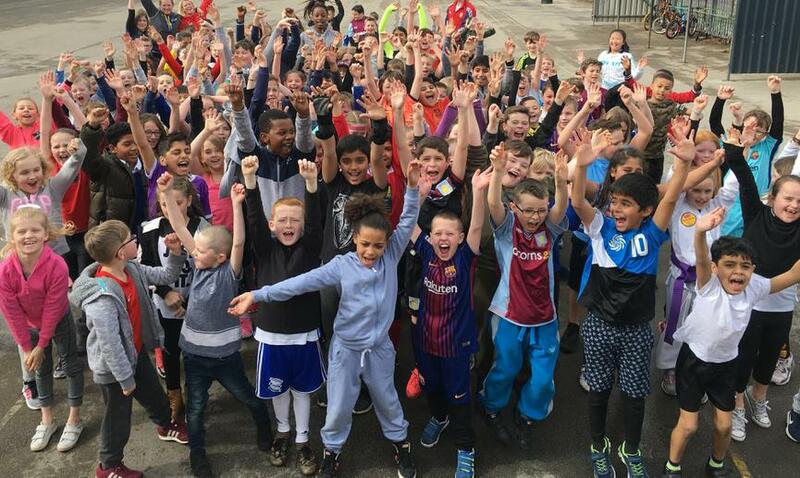 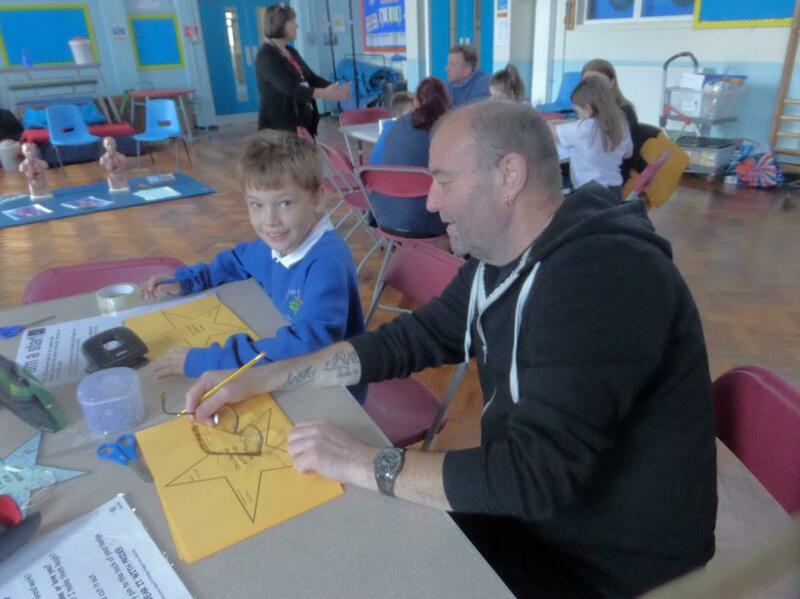 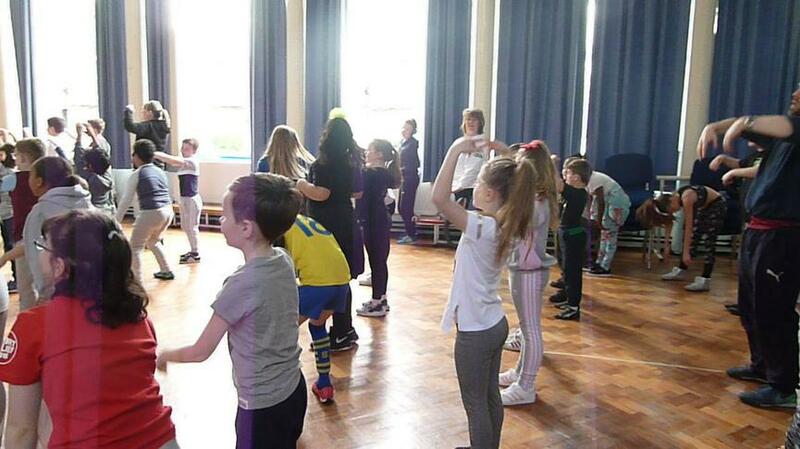 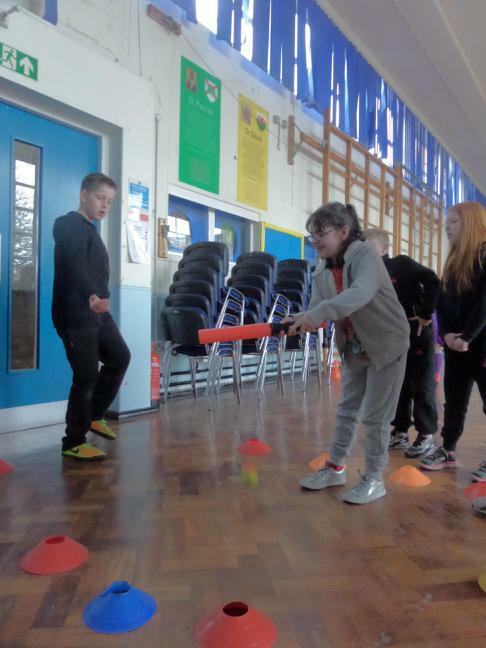 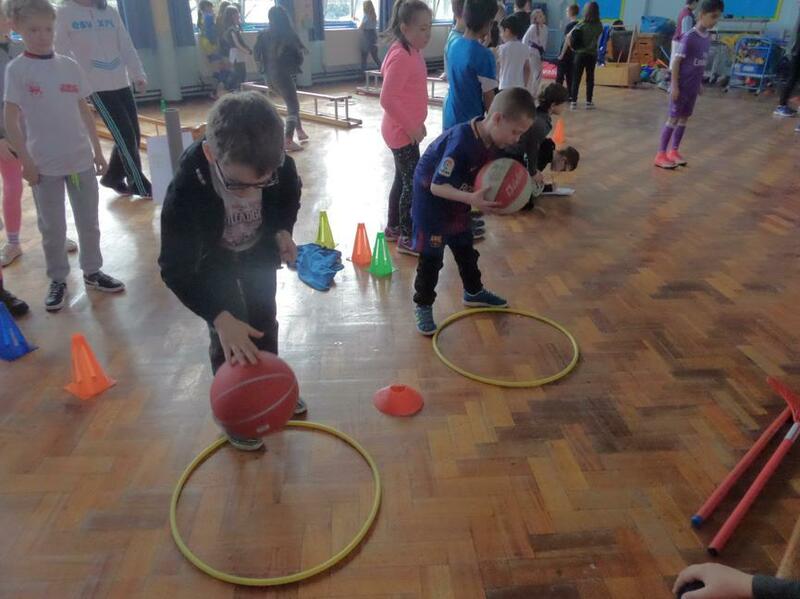 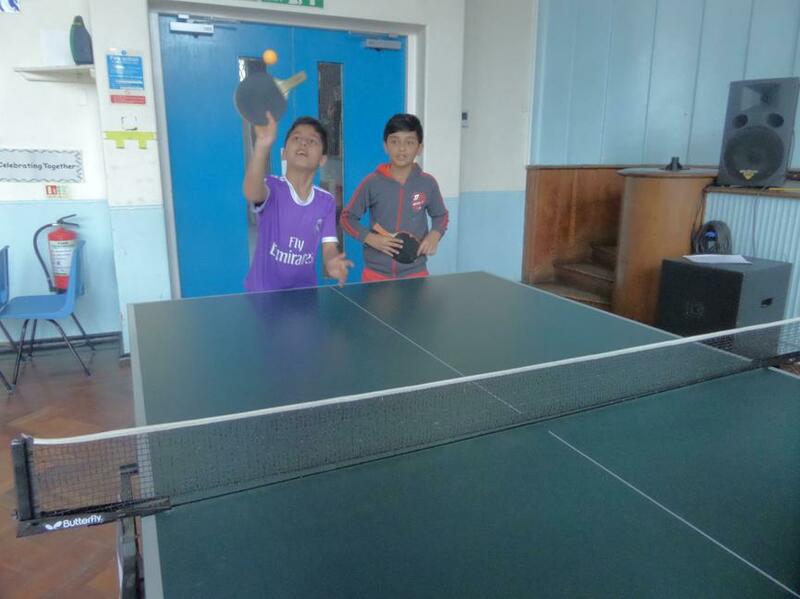 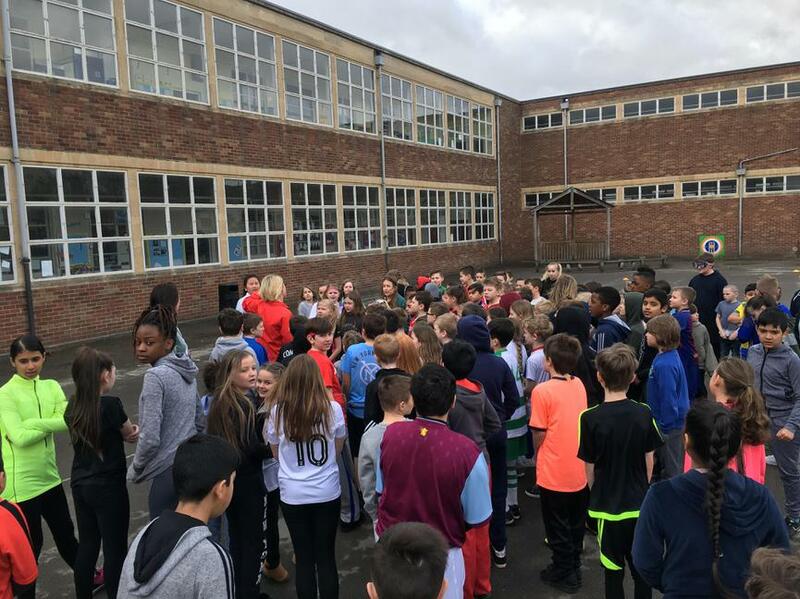 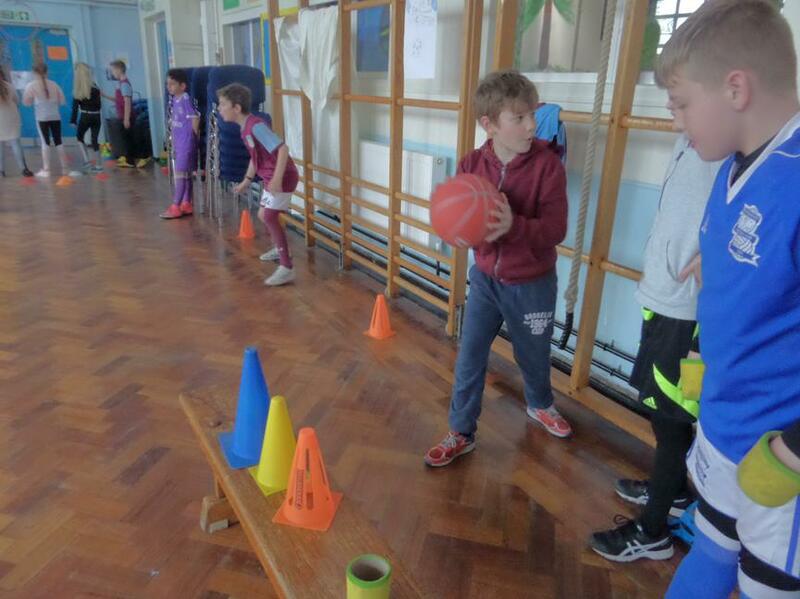 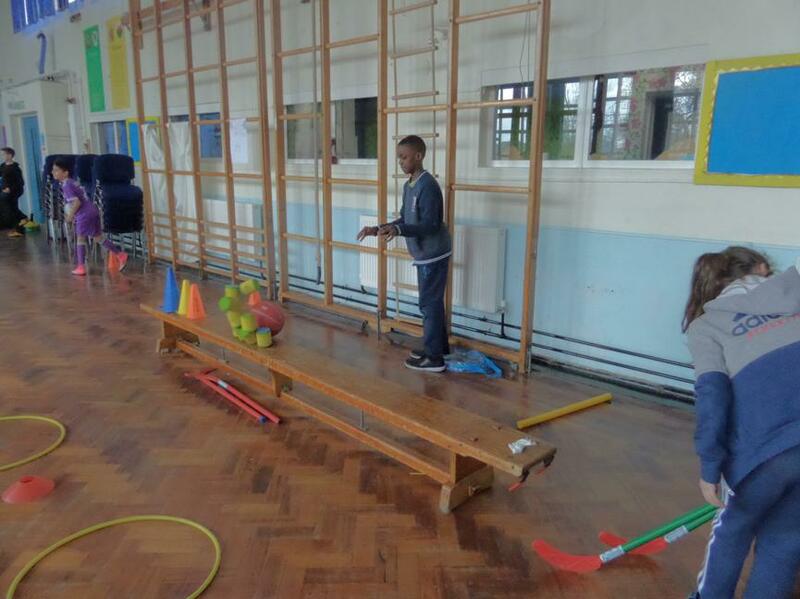 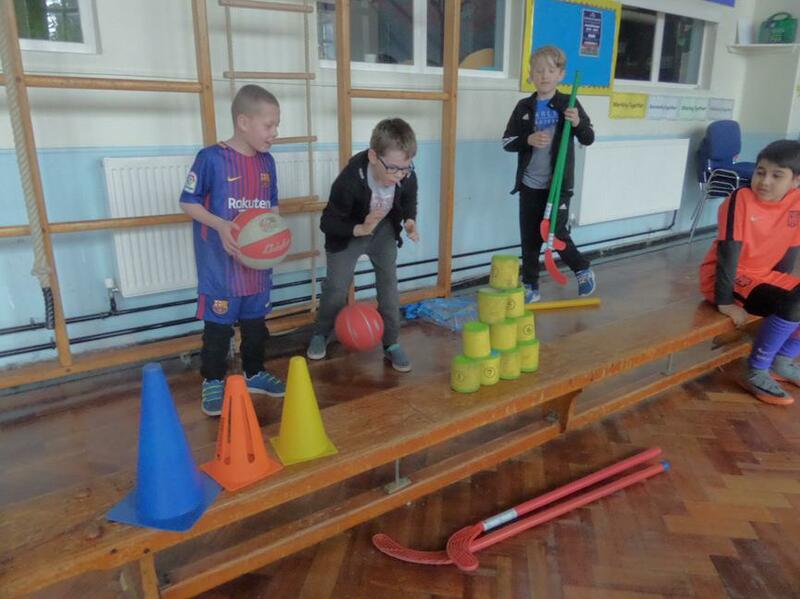 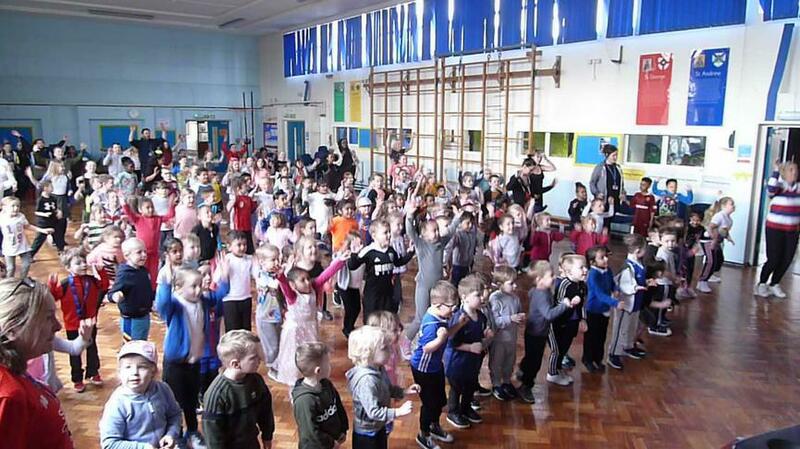 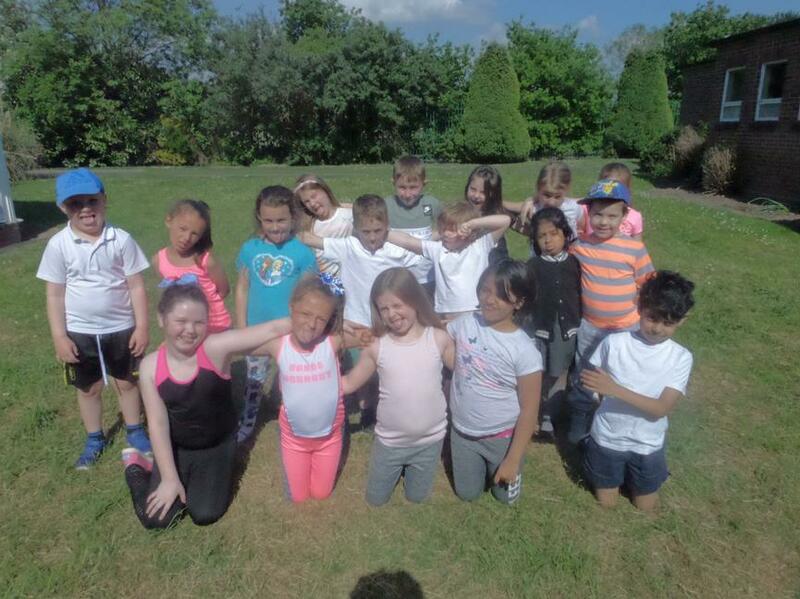 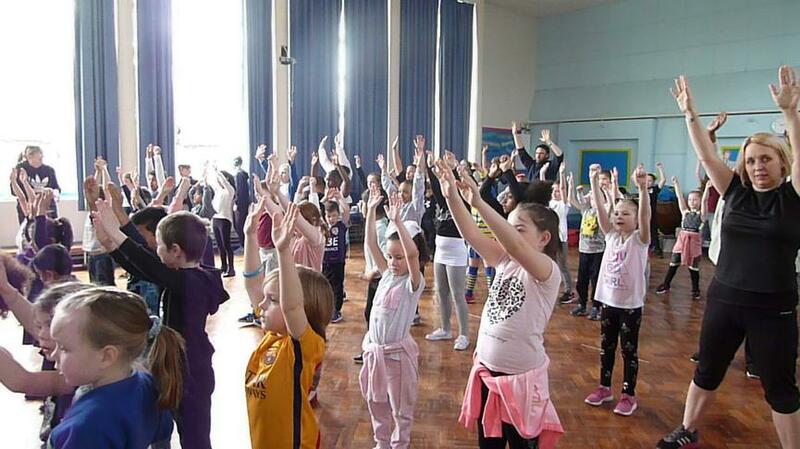 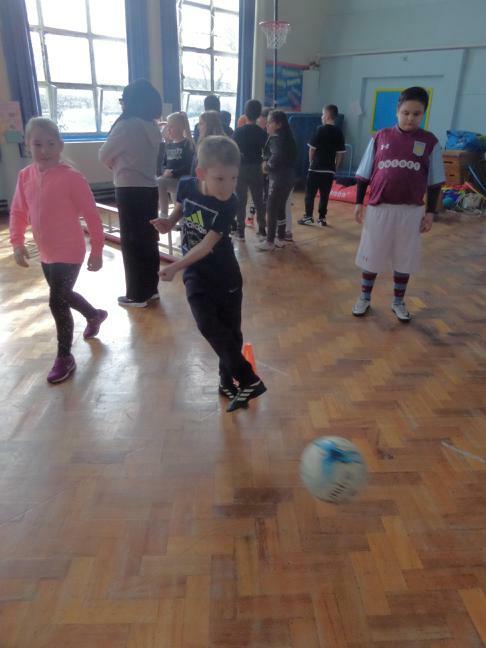 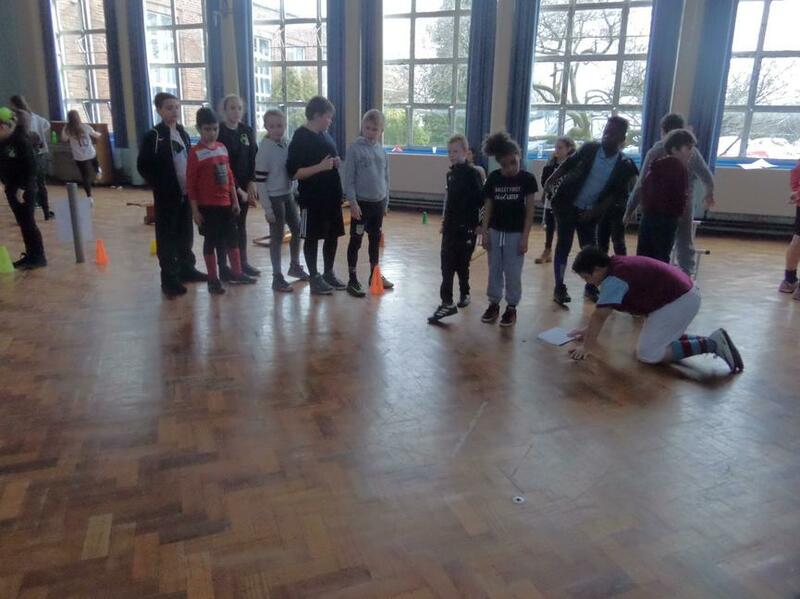 They participated in a range of activities including aerobics, a mile run and sporty games. 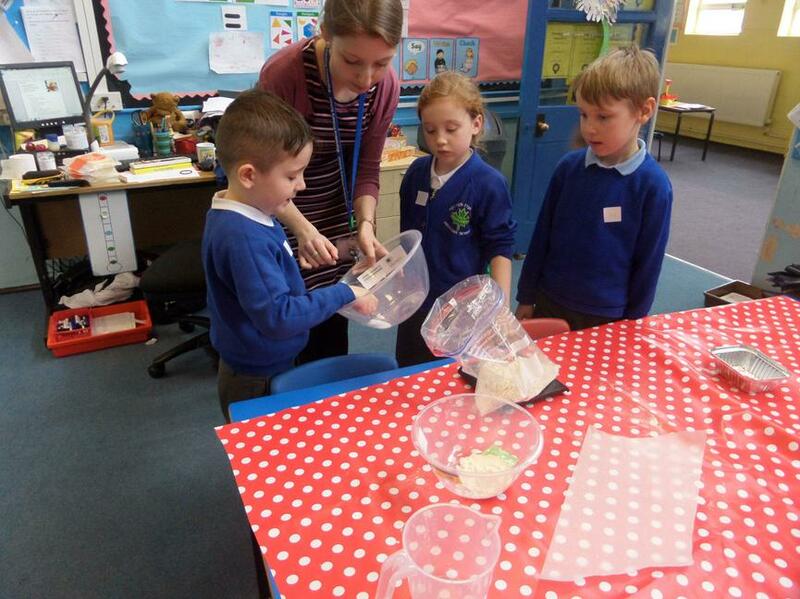 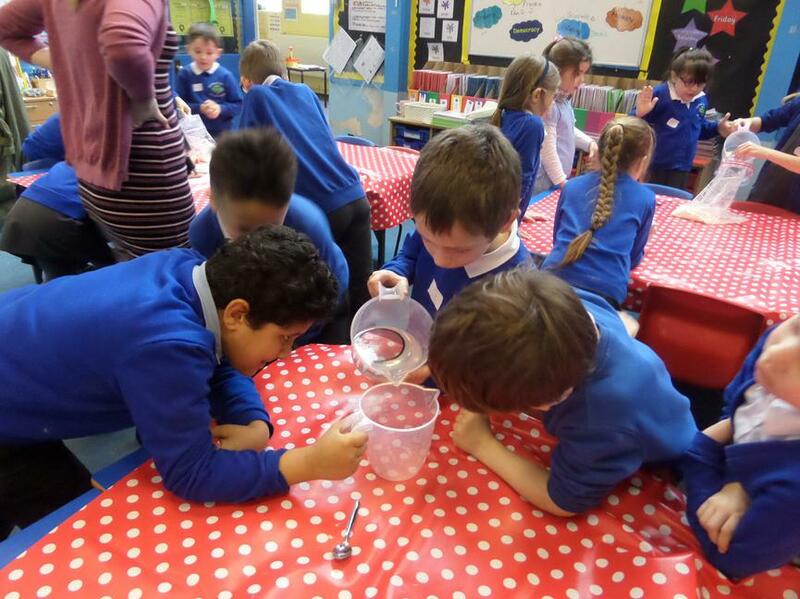 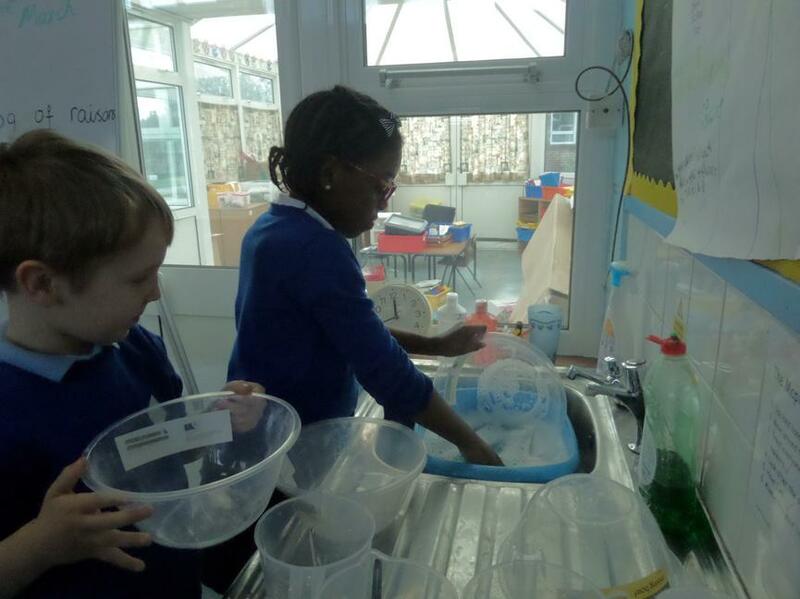 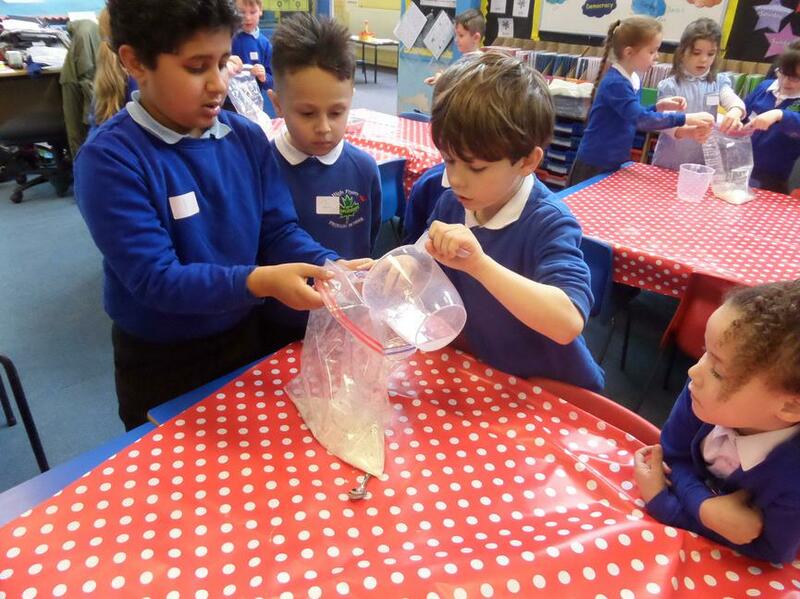 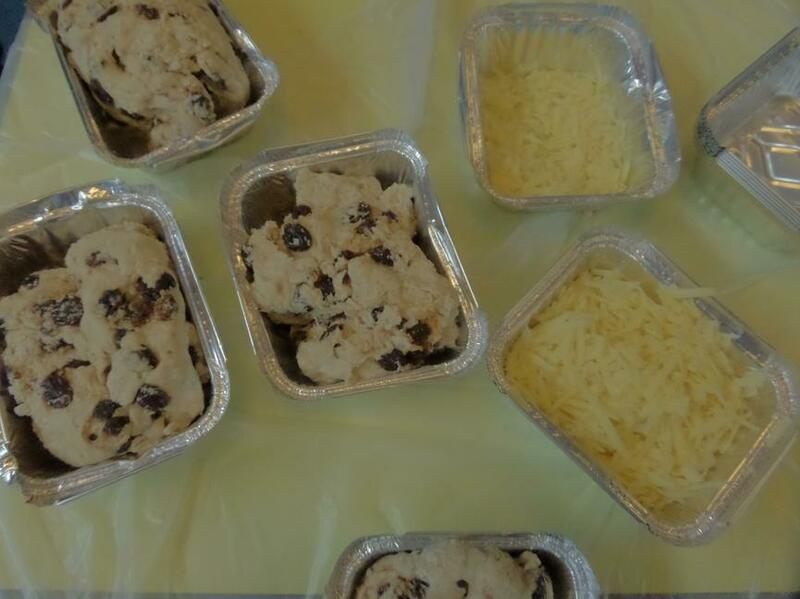 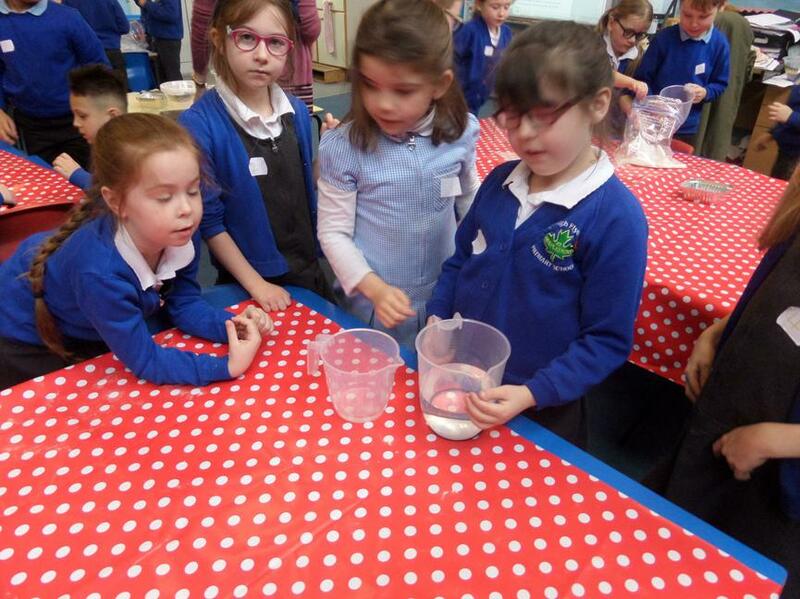 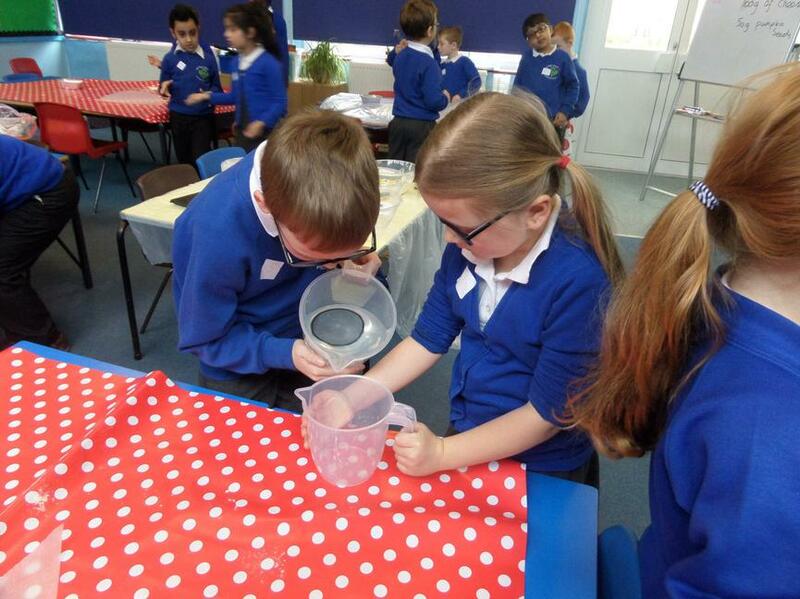 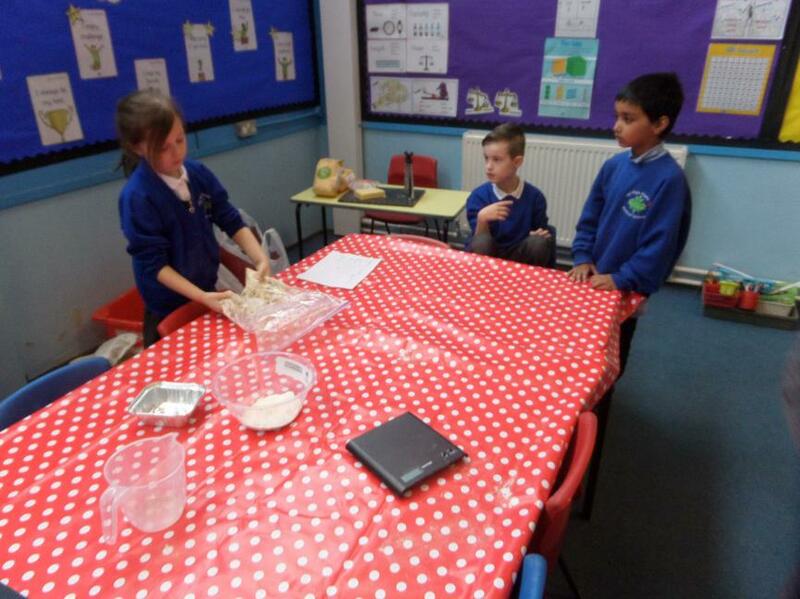 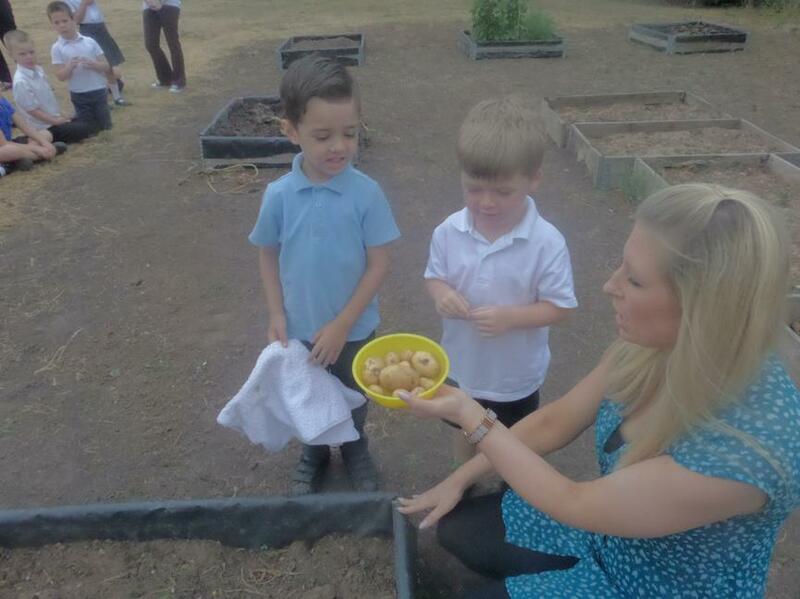 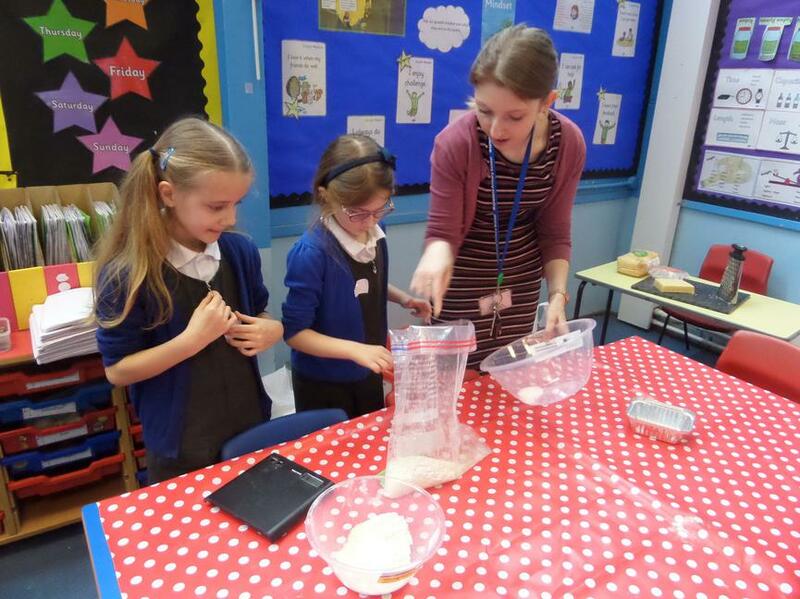 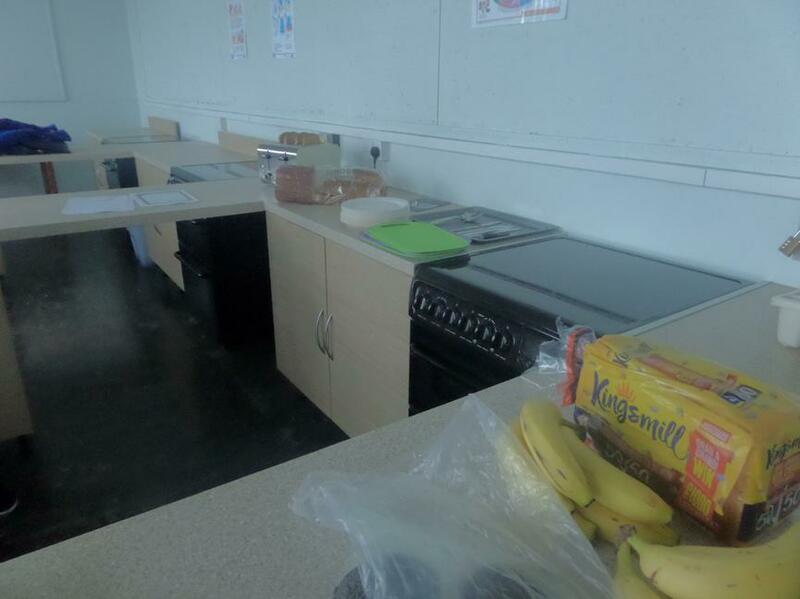 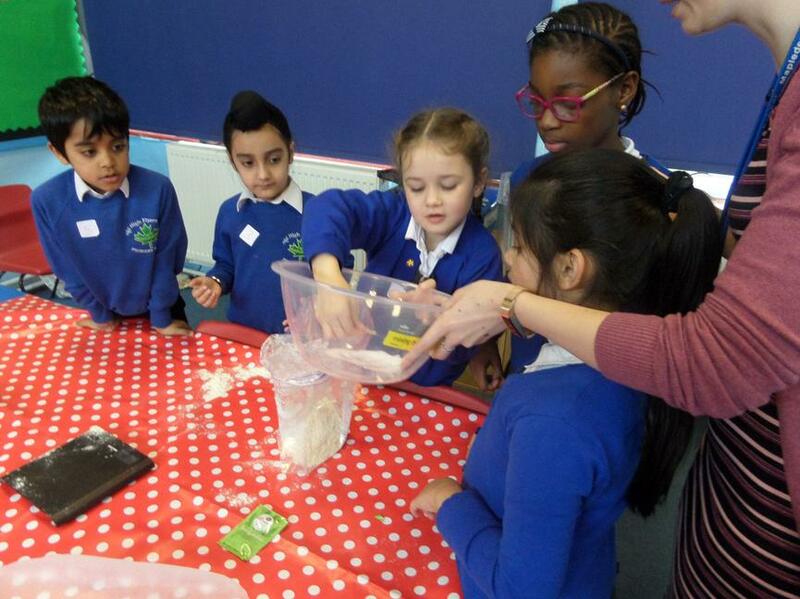 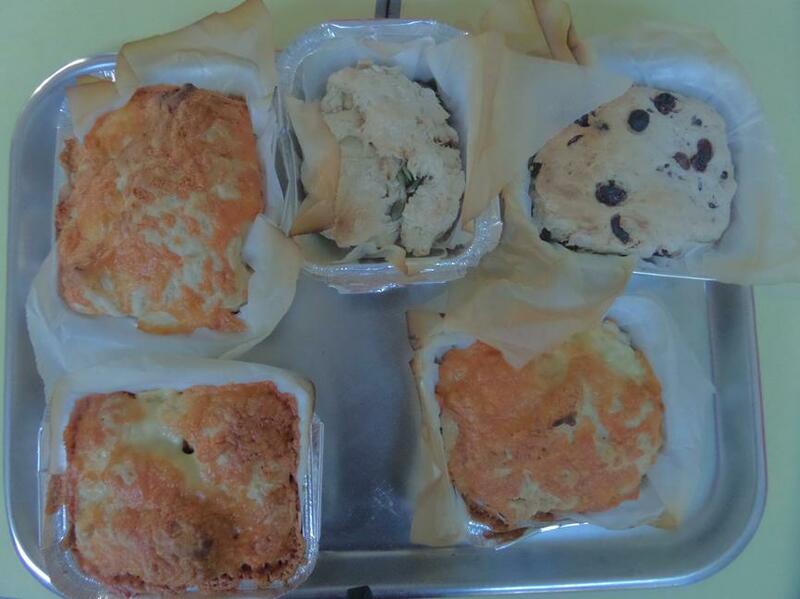 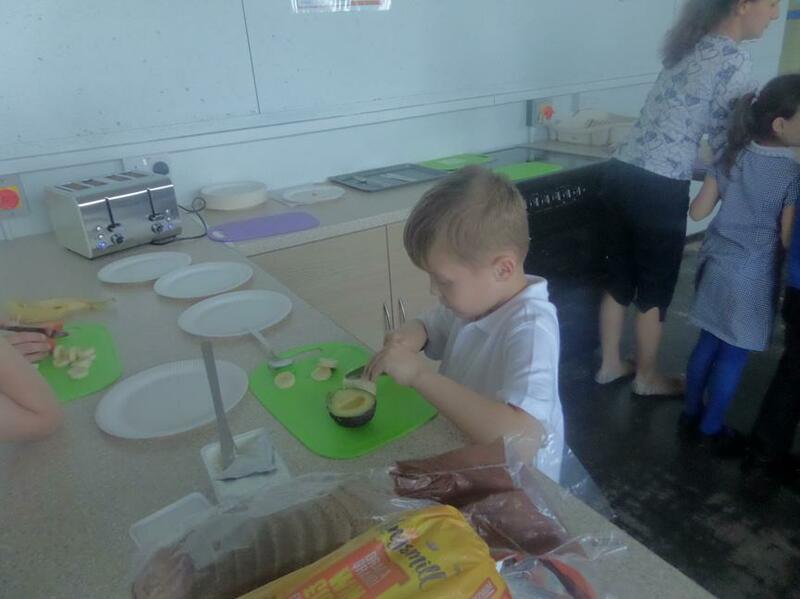 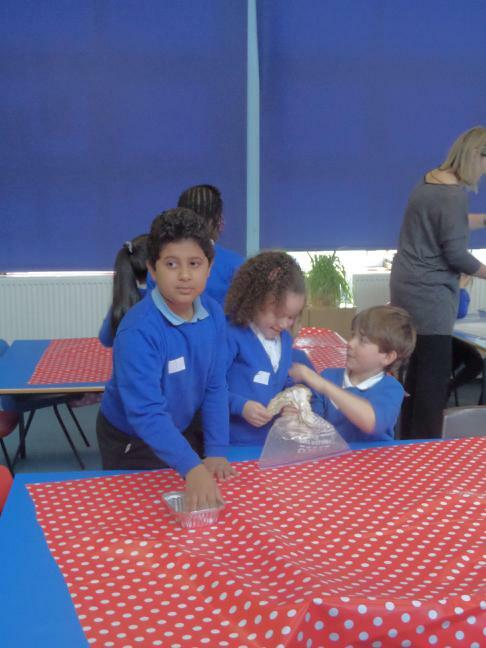 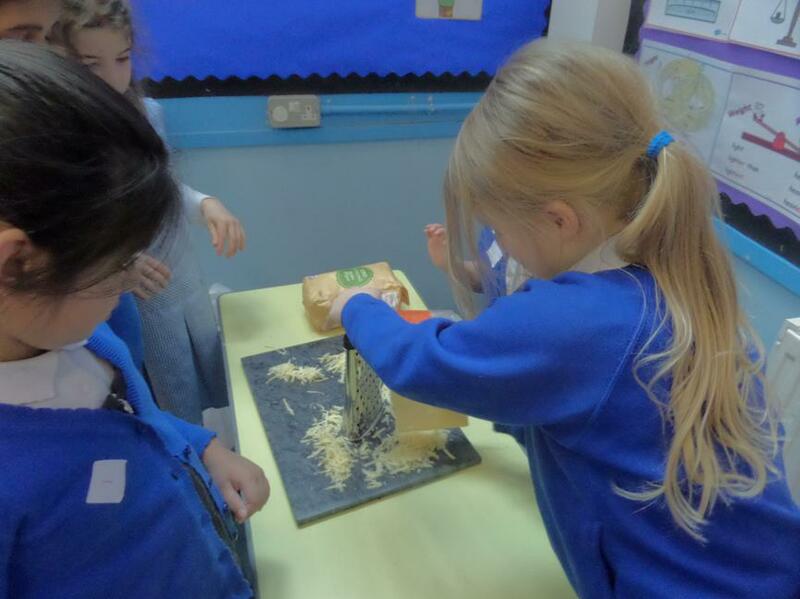 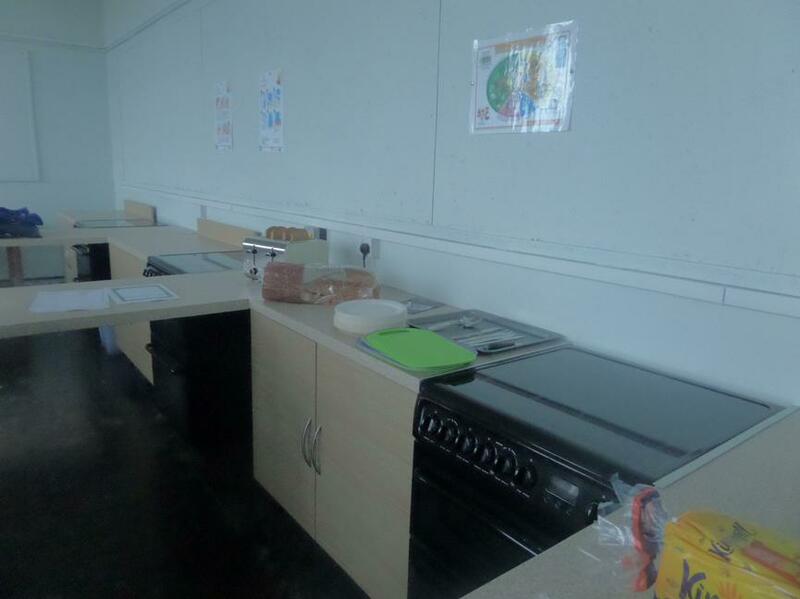 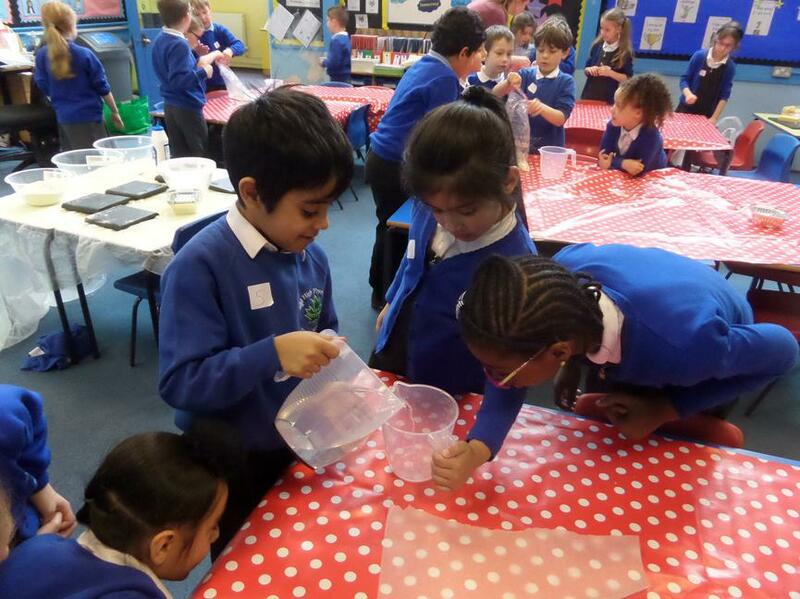 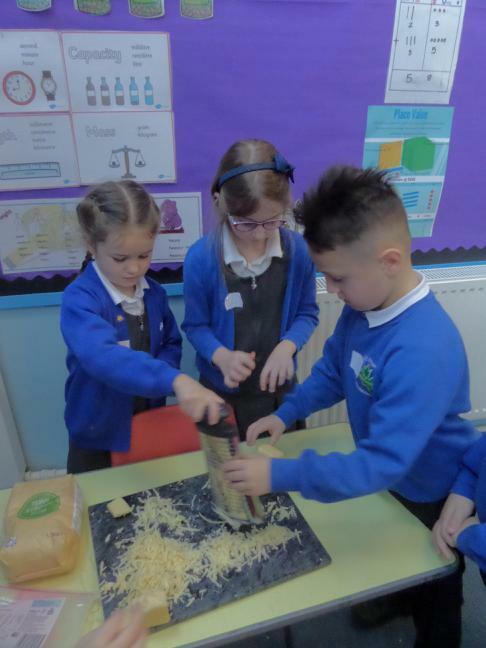 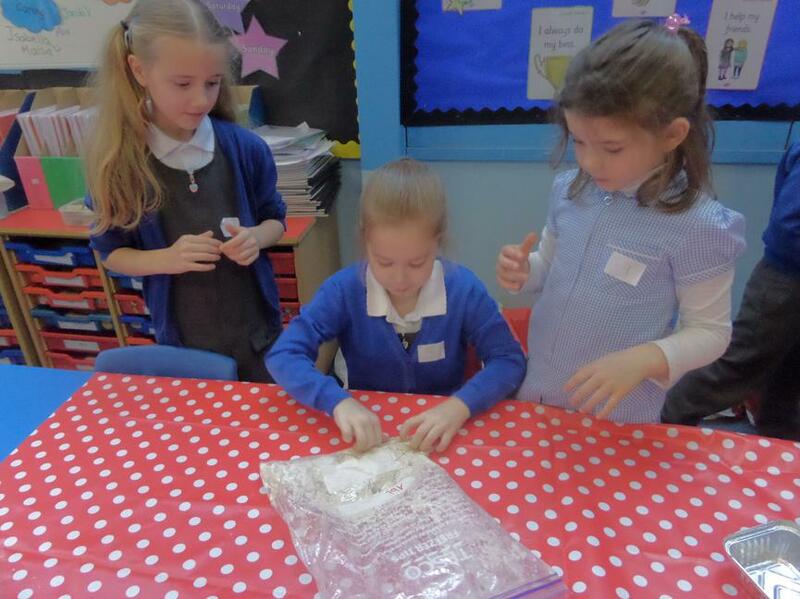 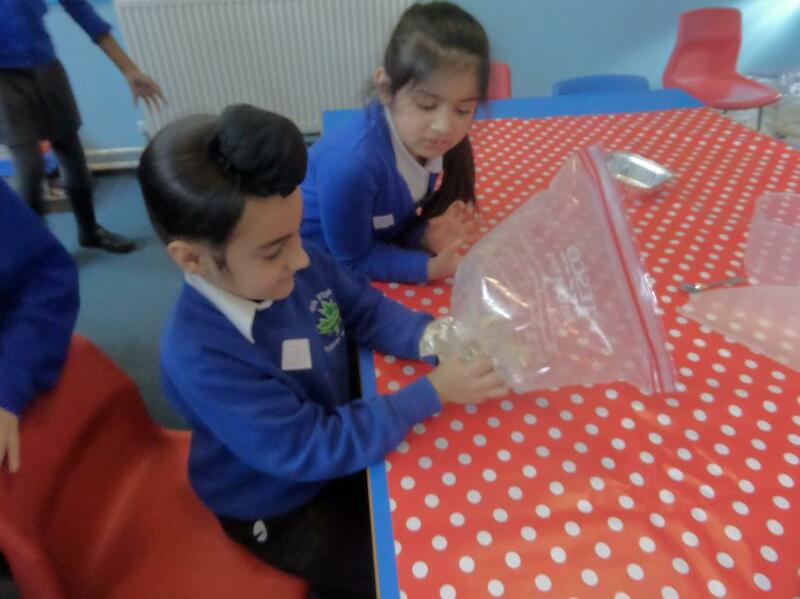 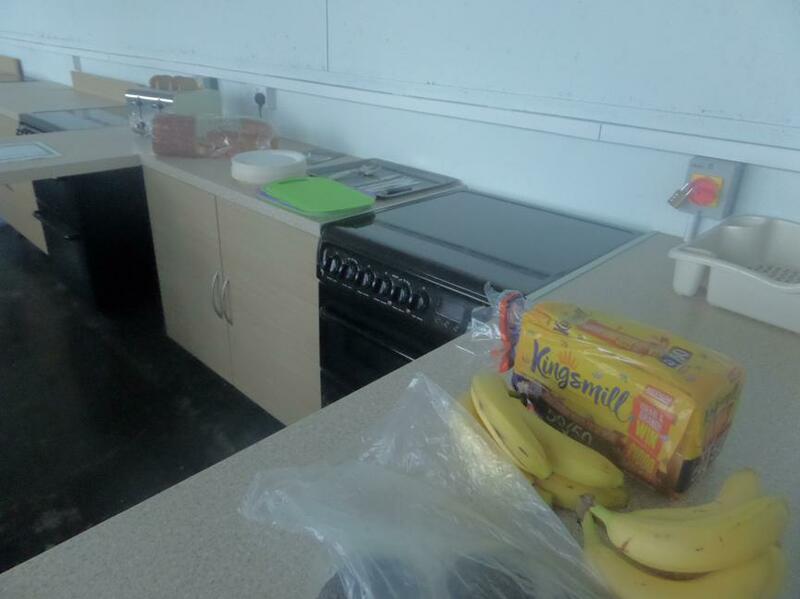 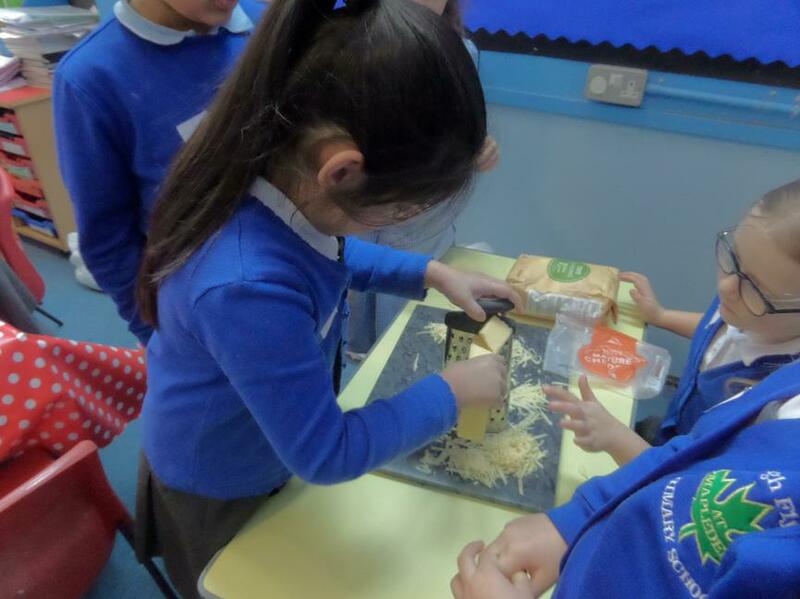 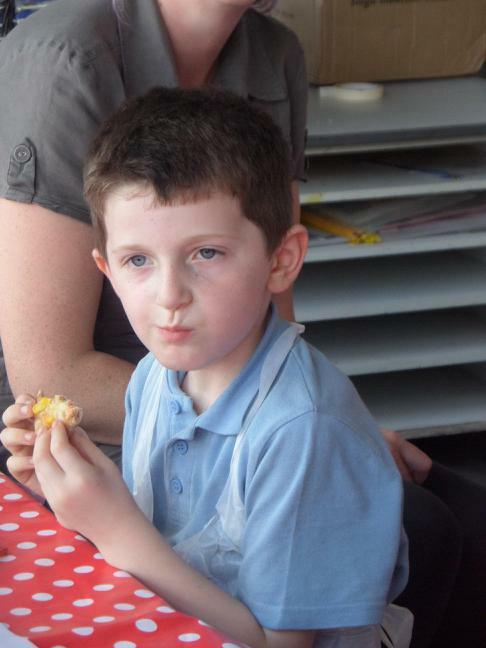 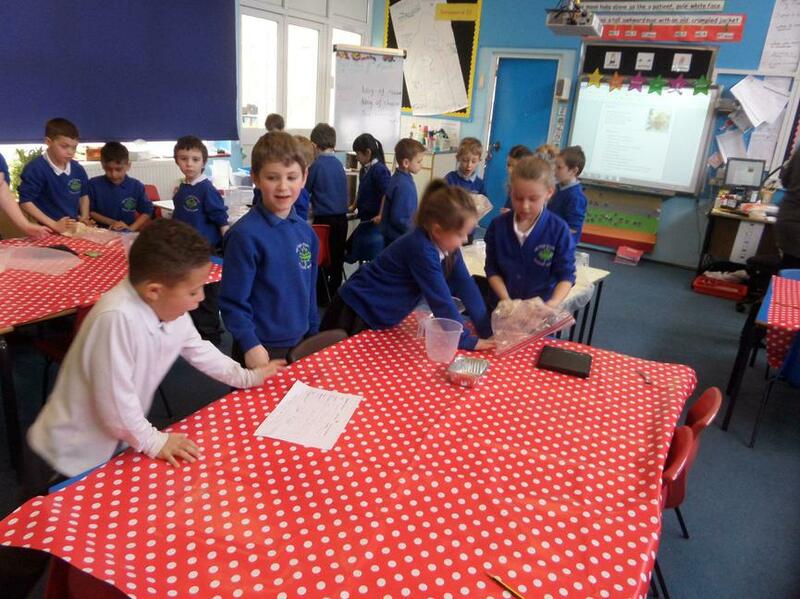 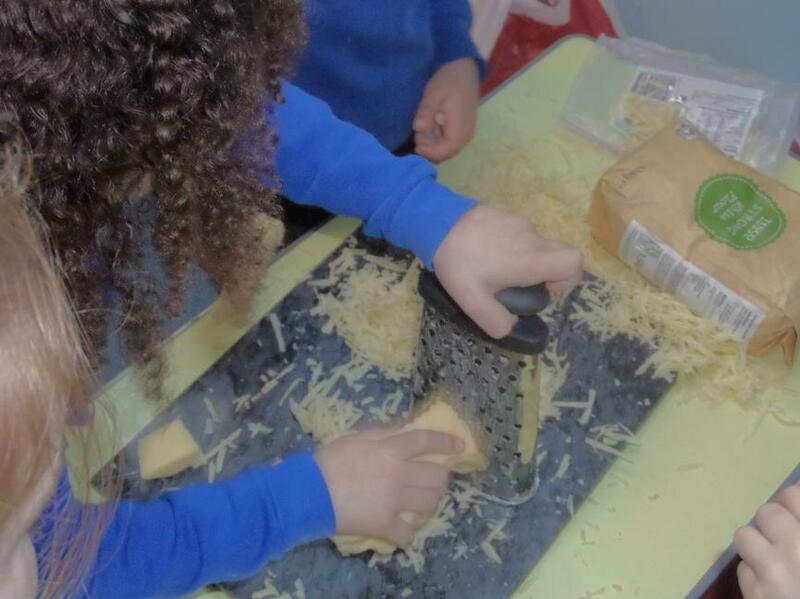 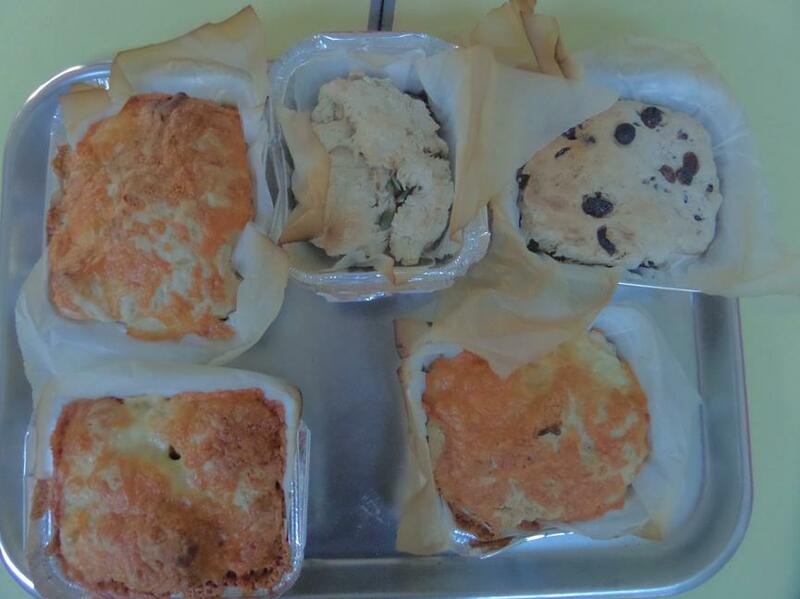 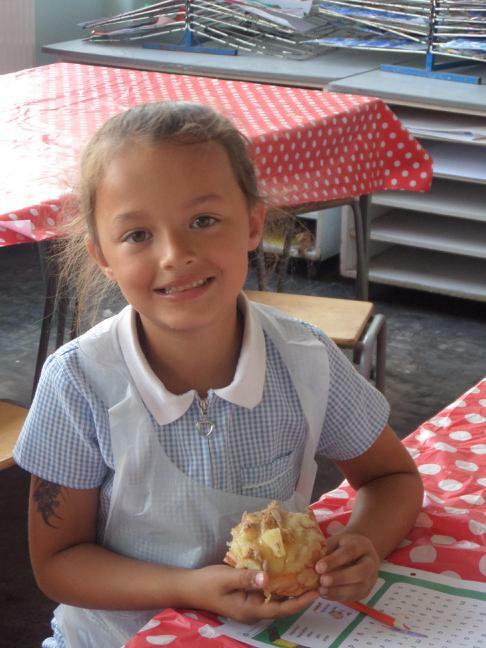 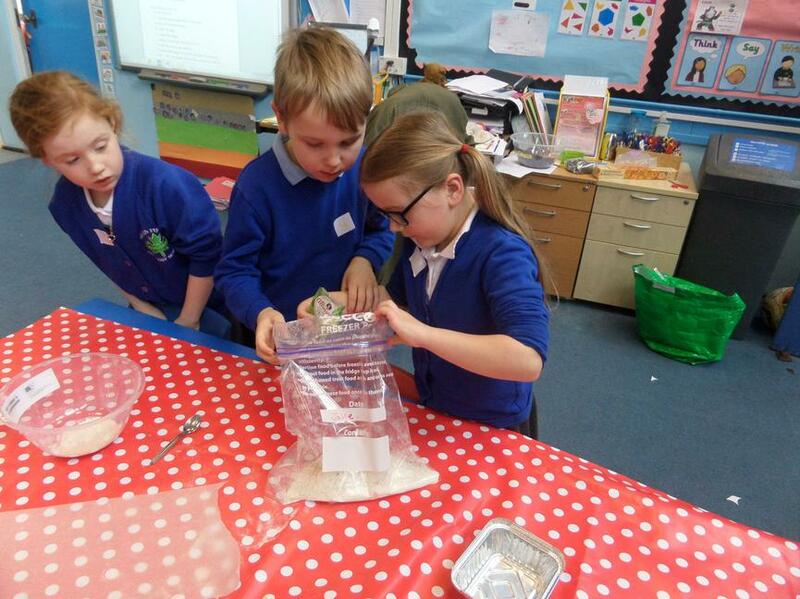 Year 2 were first to use some of our new cooking equipment to bake some bread for their Great Fire of London topic. 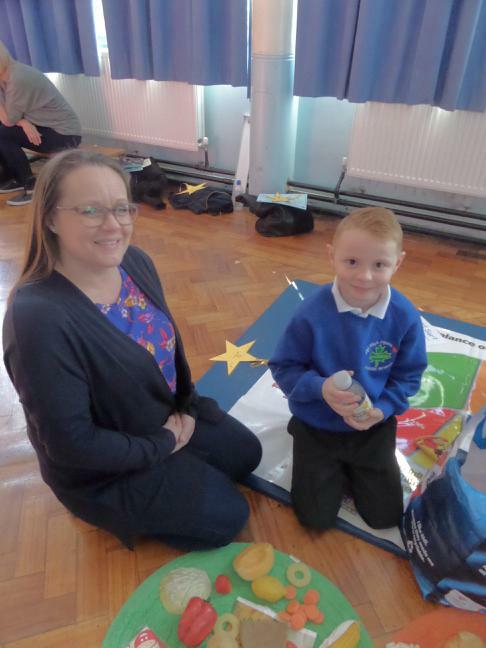 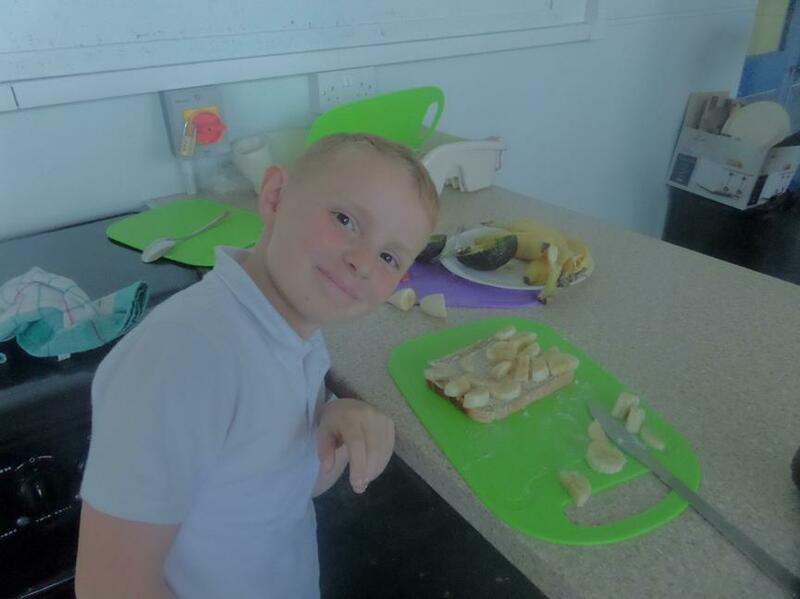 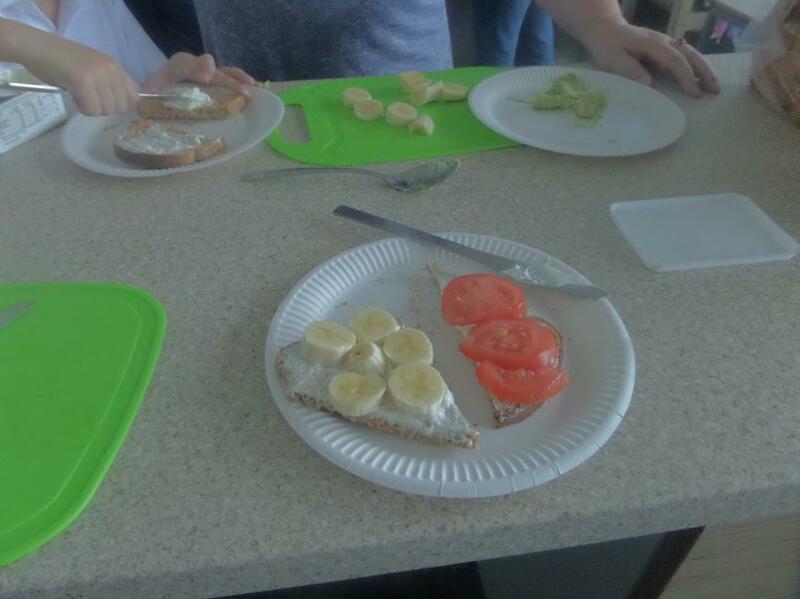 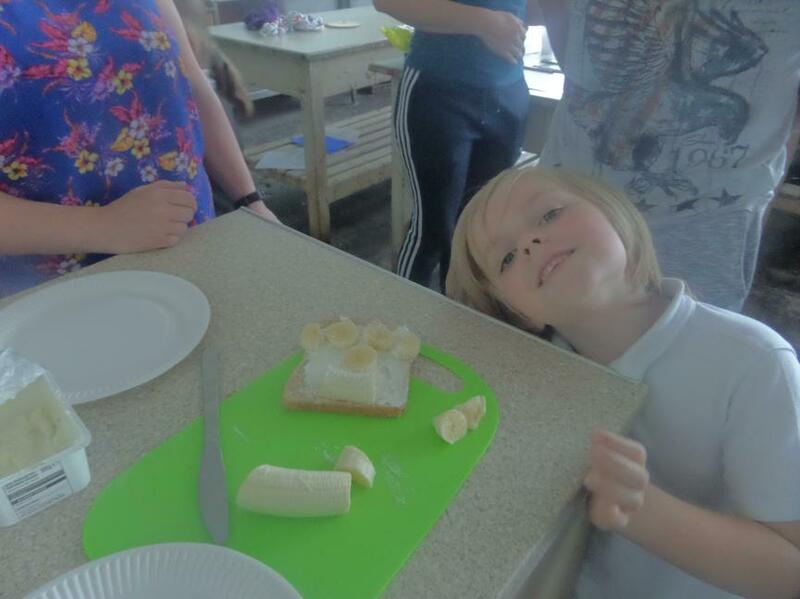 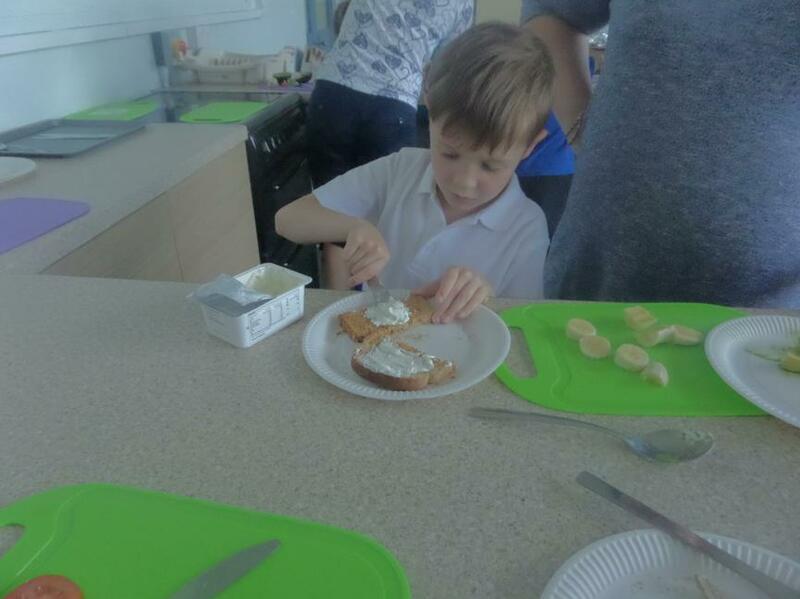 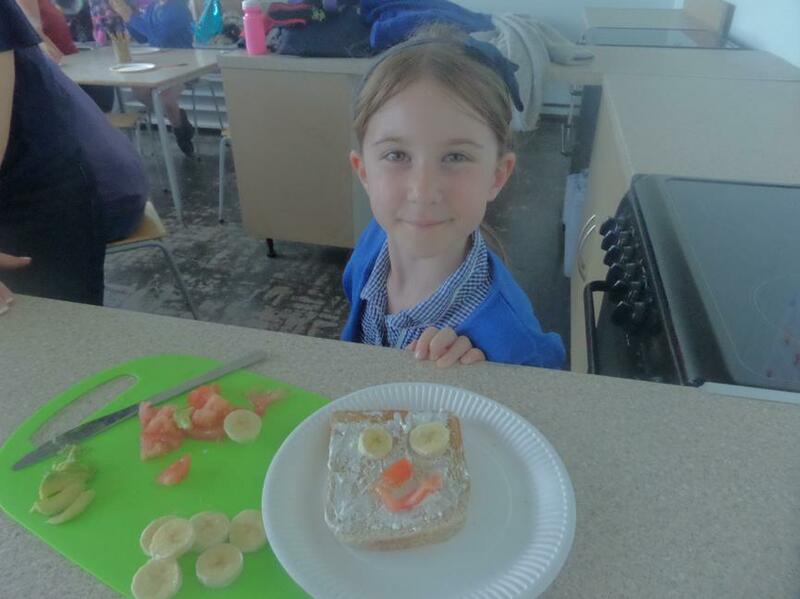 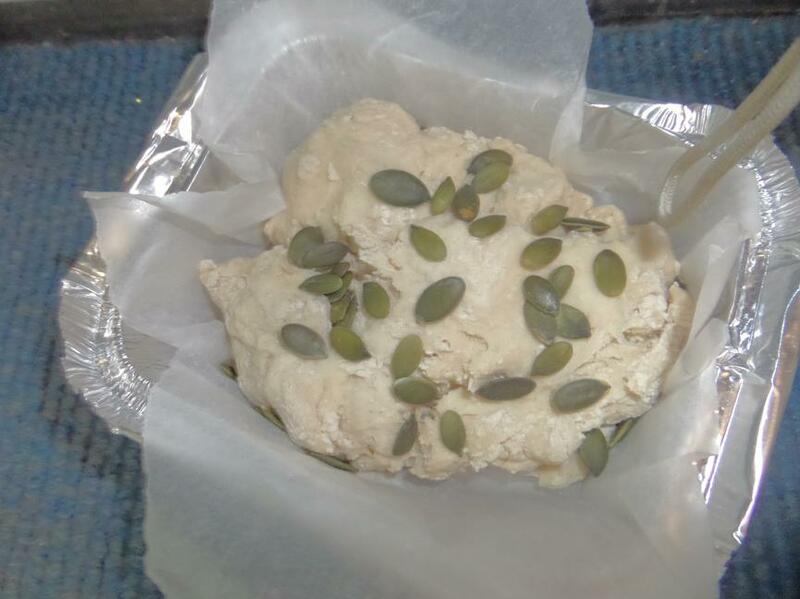 They had the option of adding cheese, pumpkin seeds or currents to their bread which are all considered part of a balance diet on the 'Eat Well Guide'. 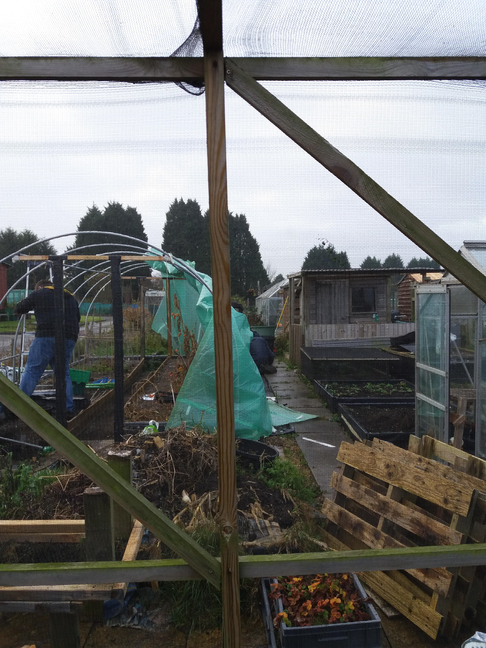 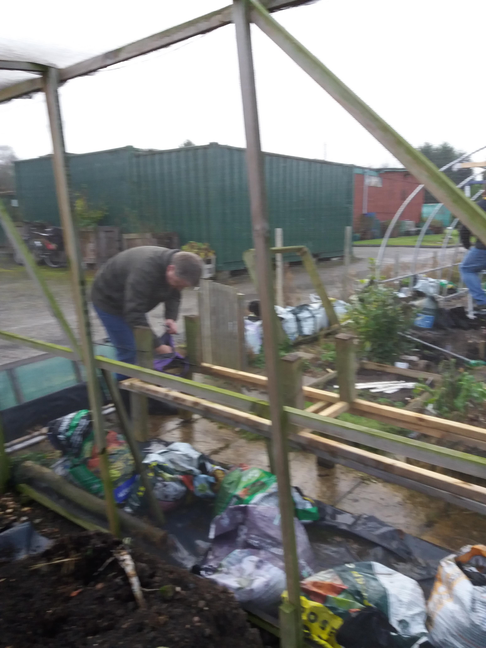 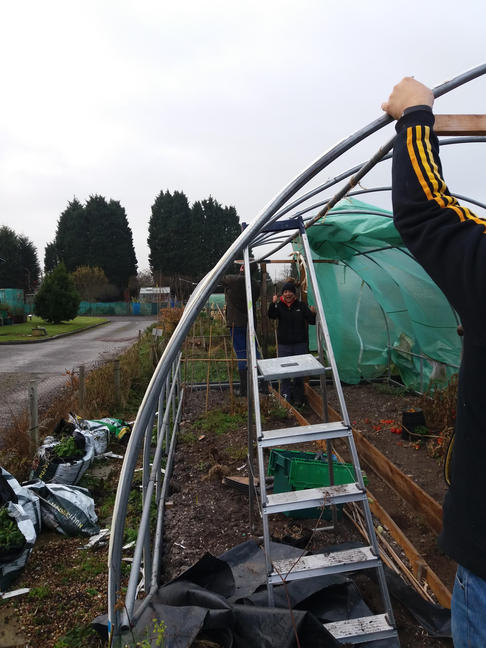 In early December (on a very cold day) our 'Allotment Task Force' went down to Hatchford Brook Allotment to disassemble a variety of garden equipment that were kindly donated by a family at a school. 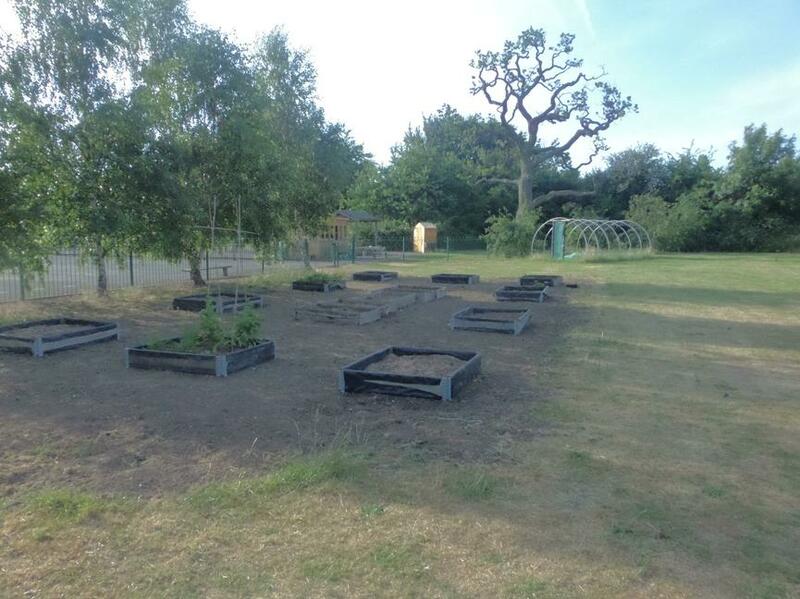 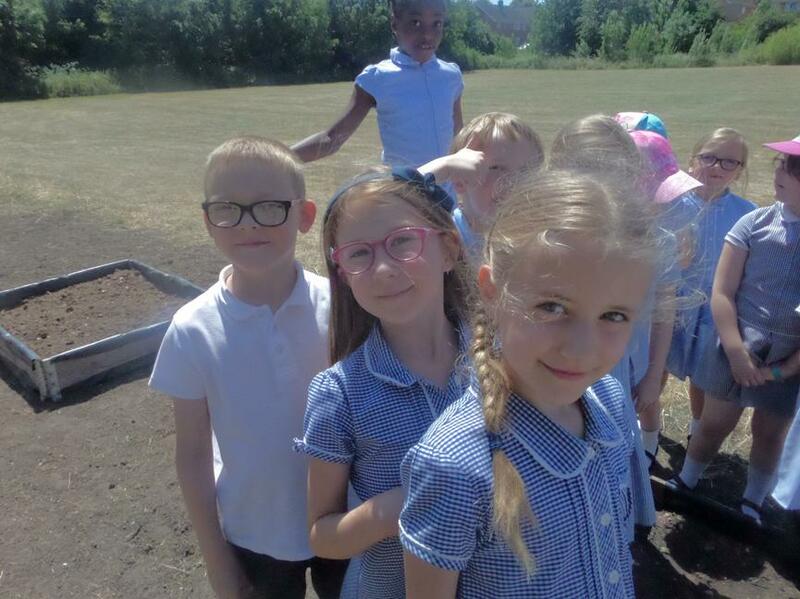 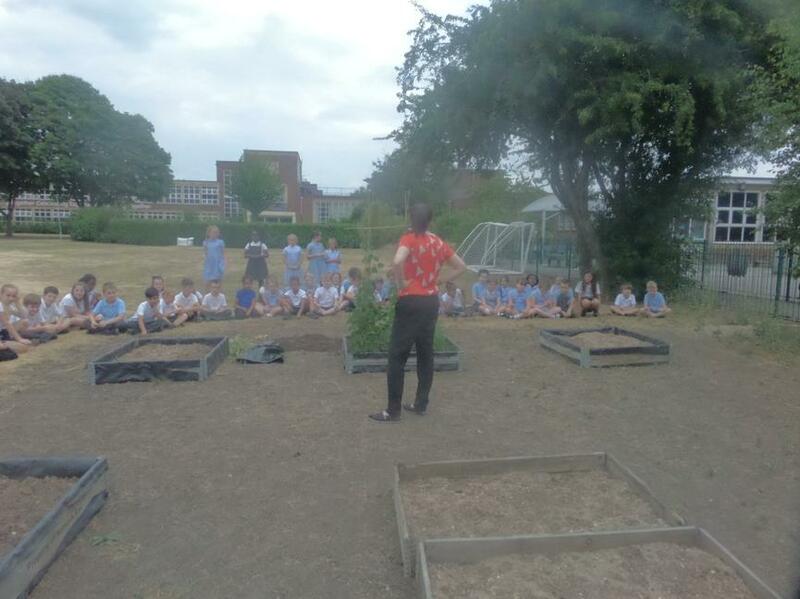 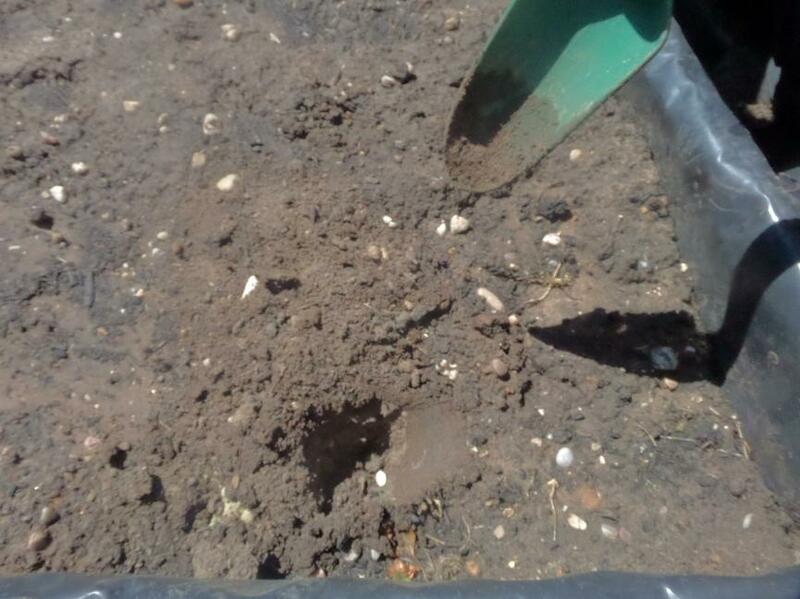 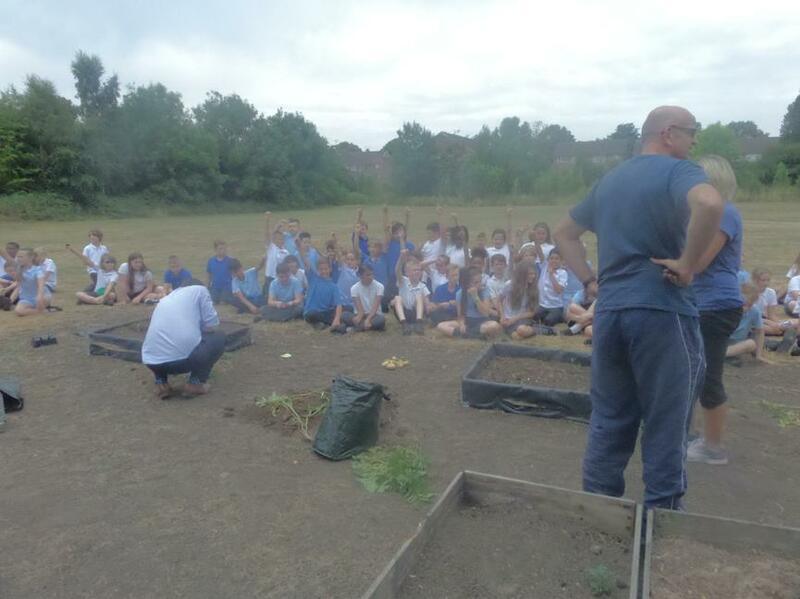 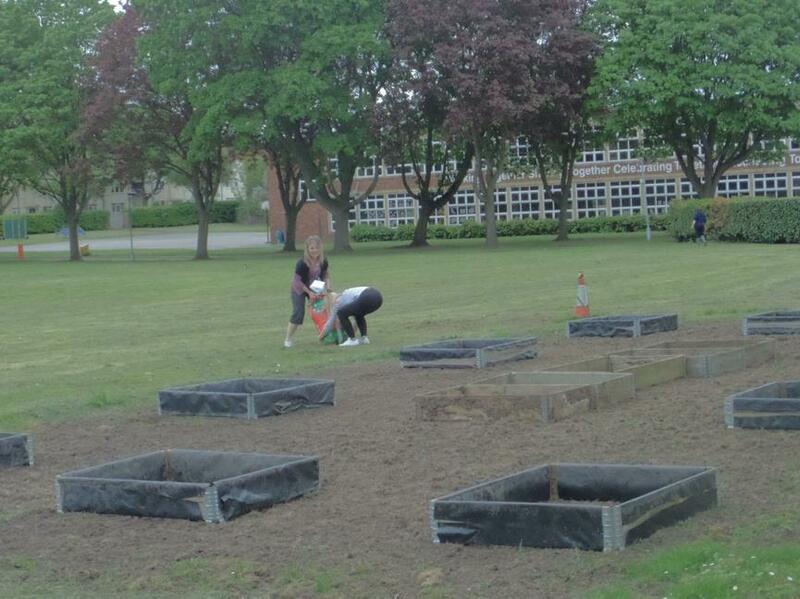 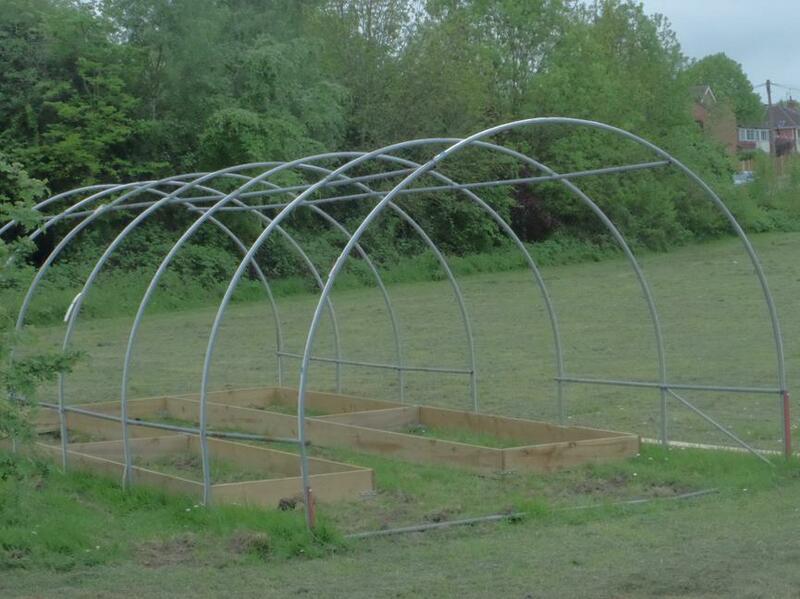 Keep your eyes peeled for the progress of our own allotment that will be on our school field over the Spring/Summer terms! 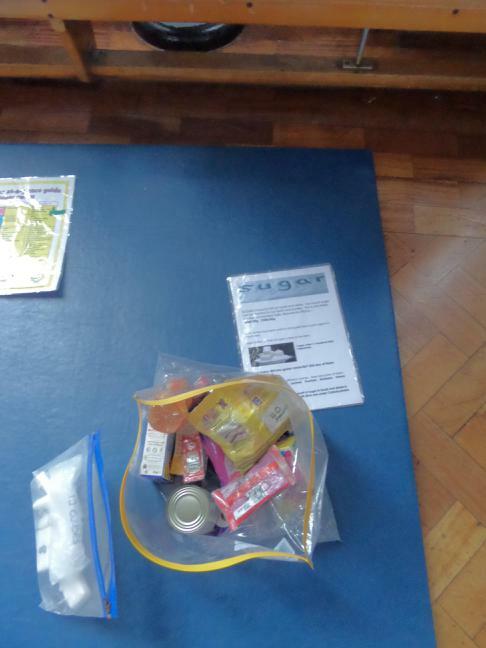 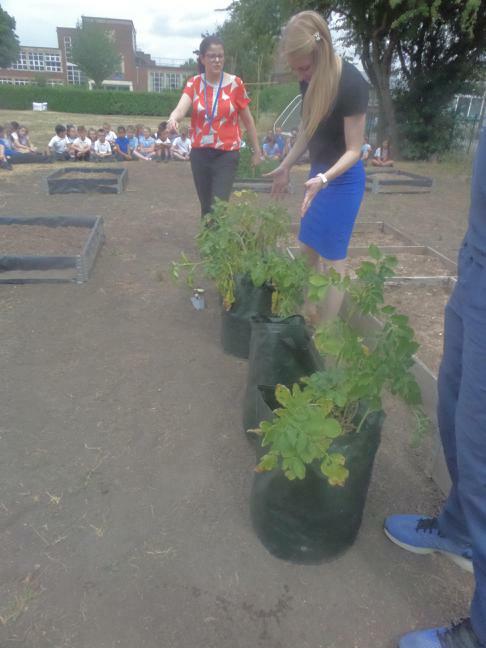 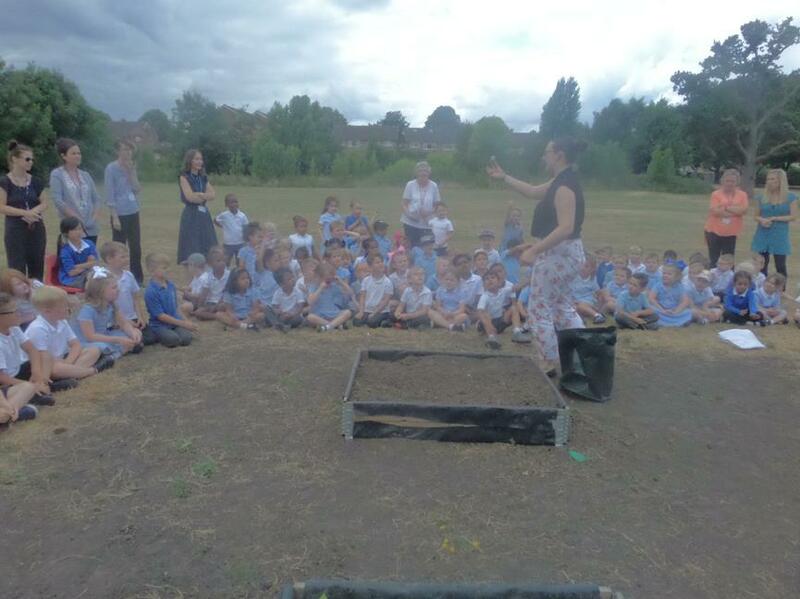 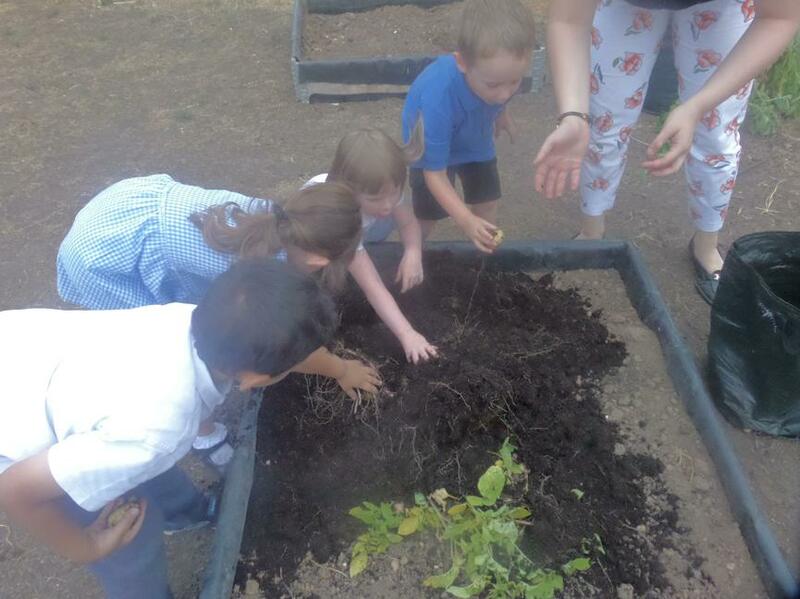 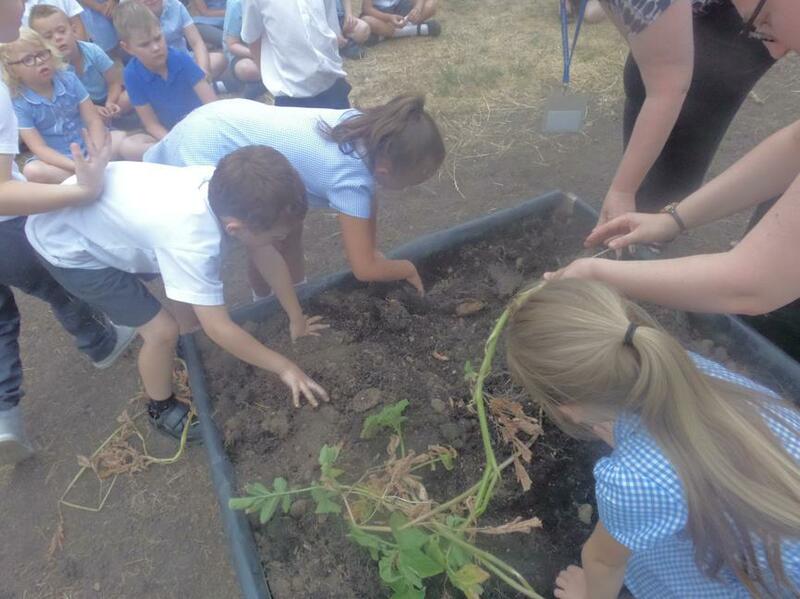 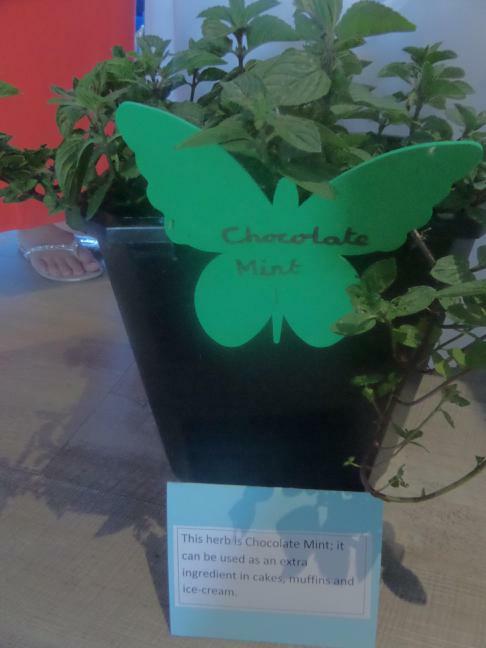 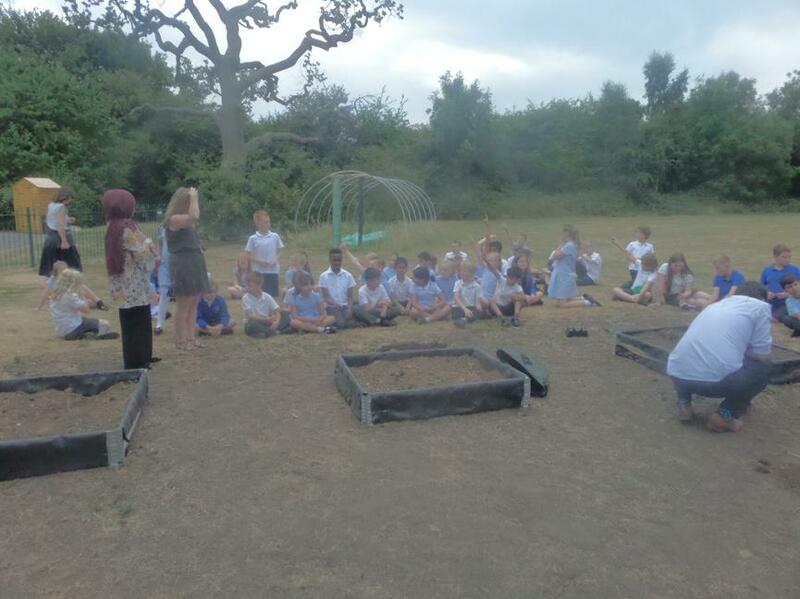 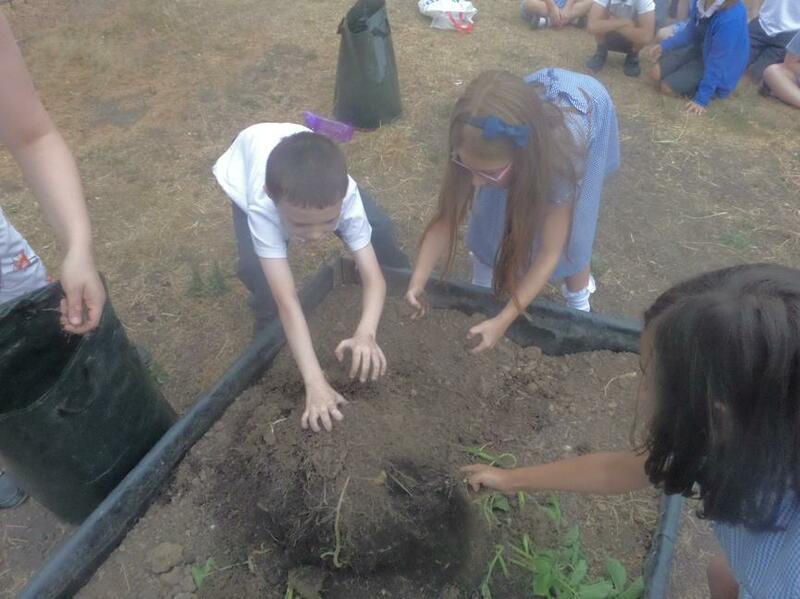 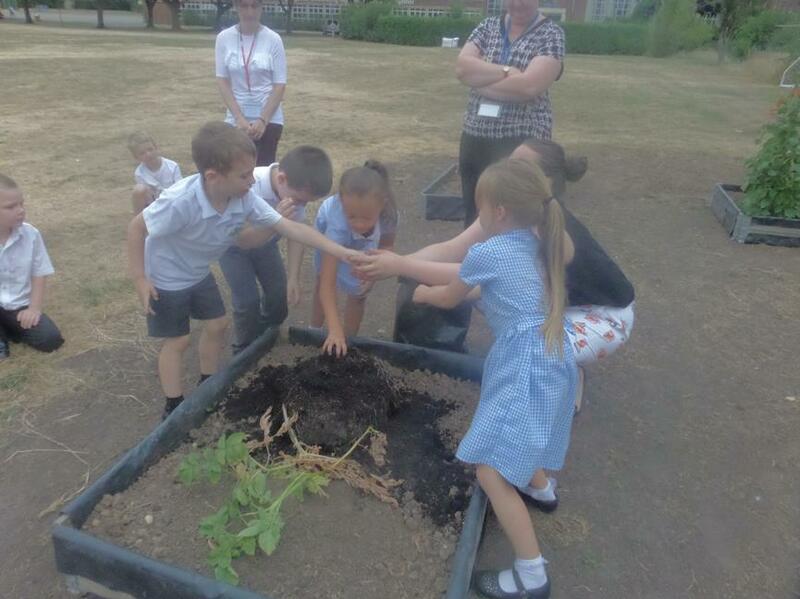 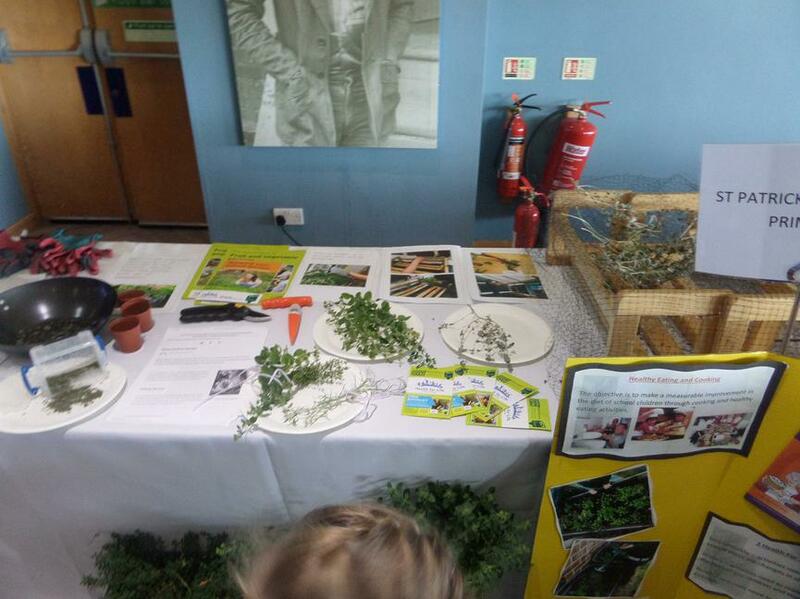 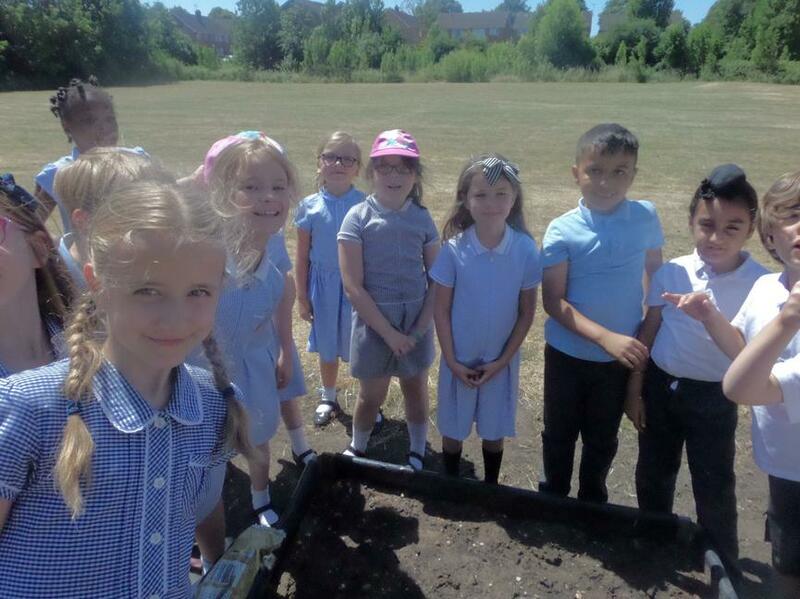 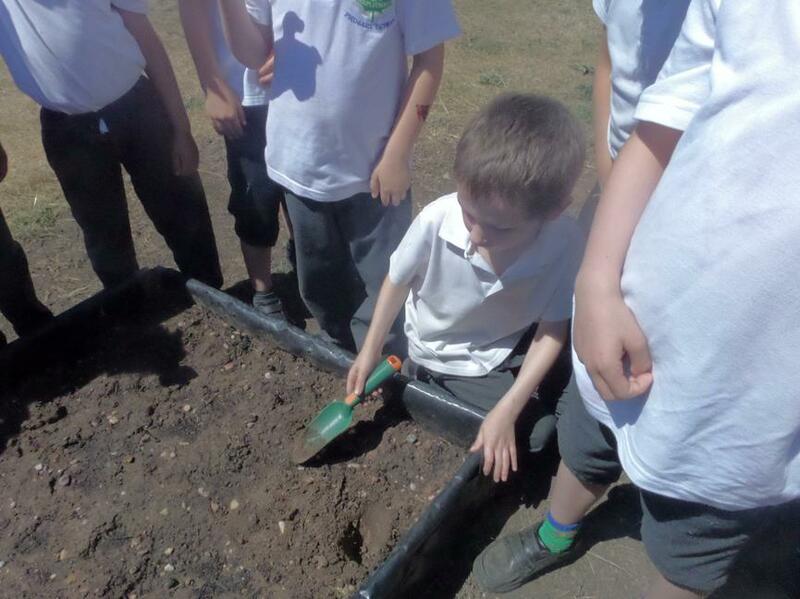 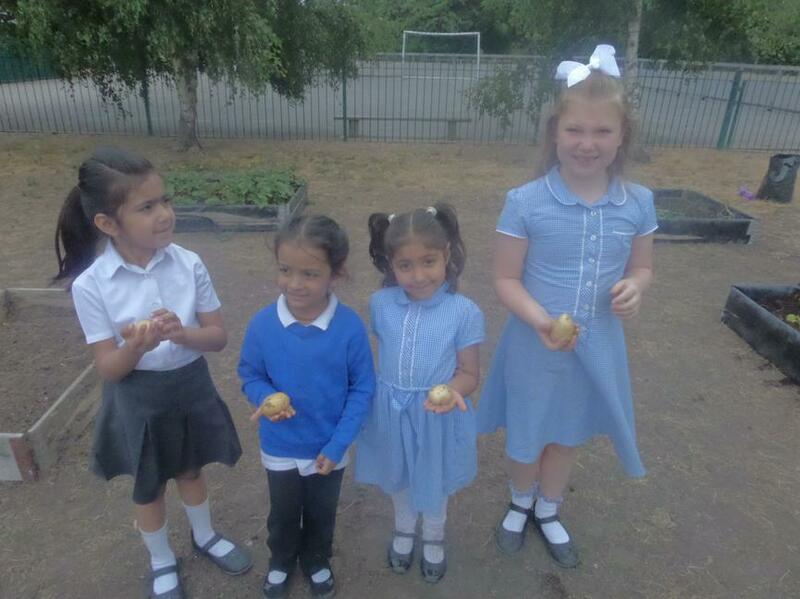 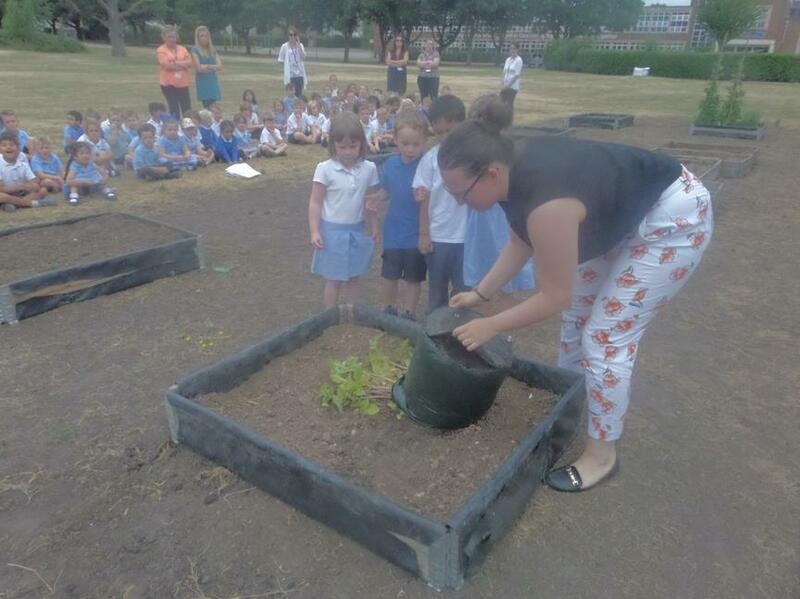 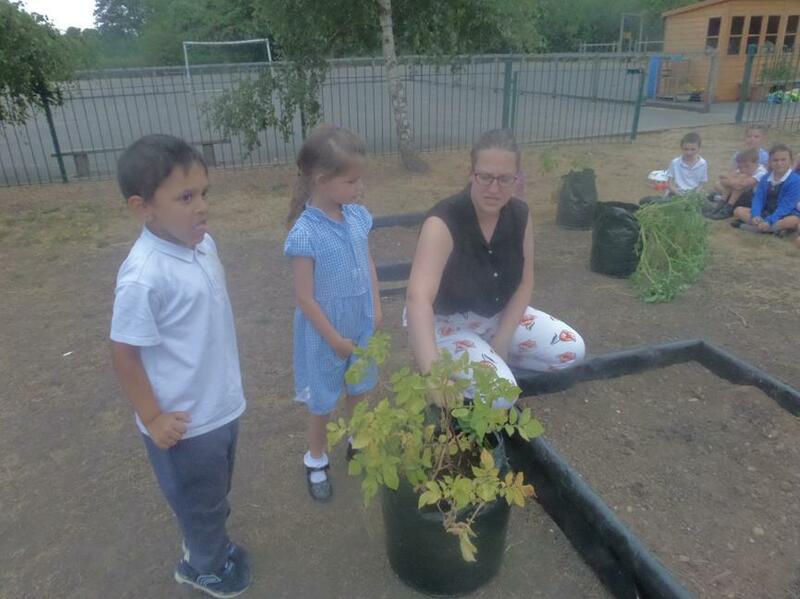 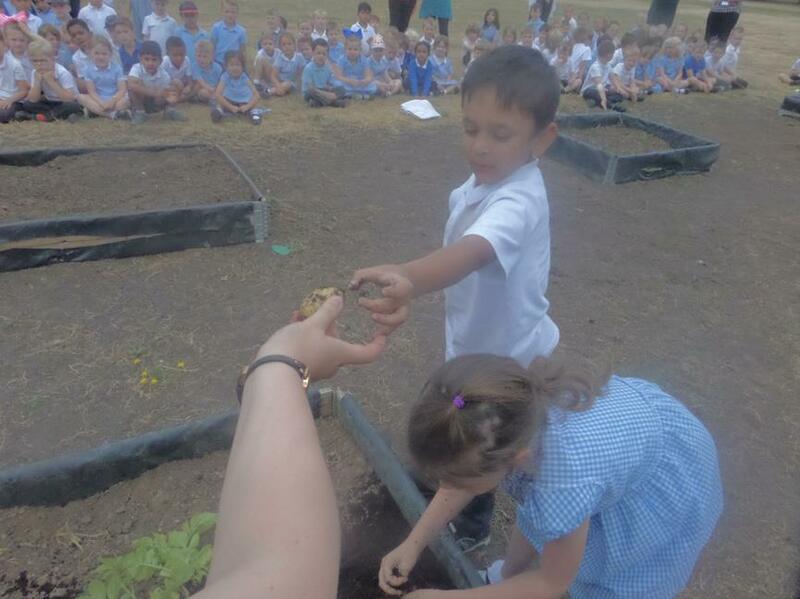 Thank you to all of the children that came dressed as a gardener and donated items for our upcoming allotment.